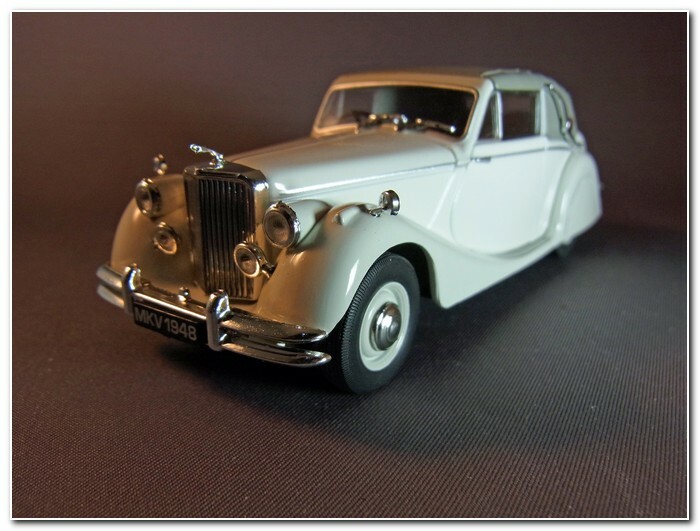 Photographs by Jane Jones, a member of the Oxford Diecast Collectors Facebook group. 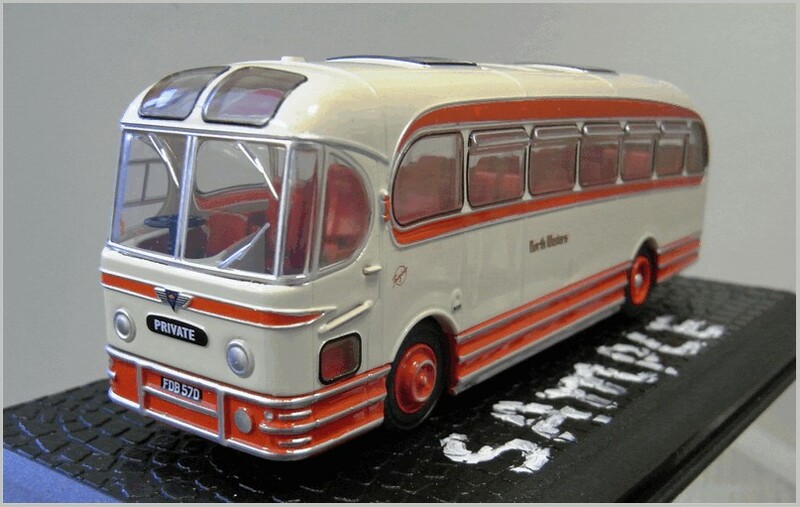 Text copyright of the Author and Jane Jones. 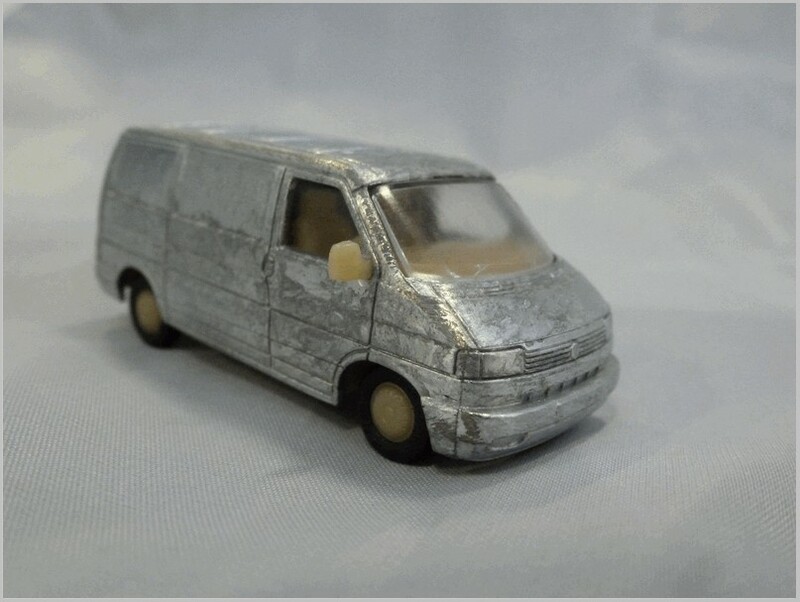 I make no apologies for returning to the subject of intergranular corrosion as it still seems to be affecting models from major diecast firms. 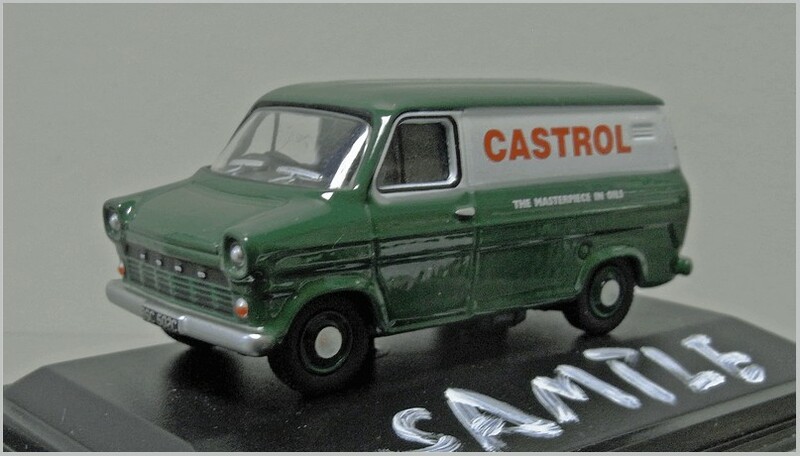 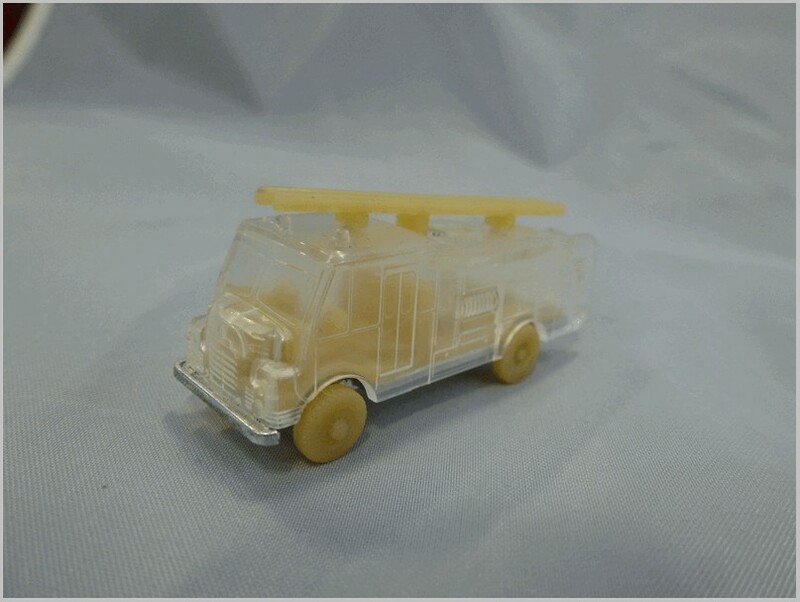 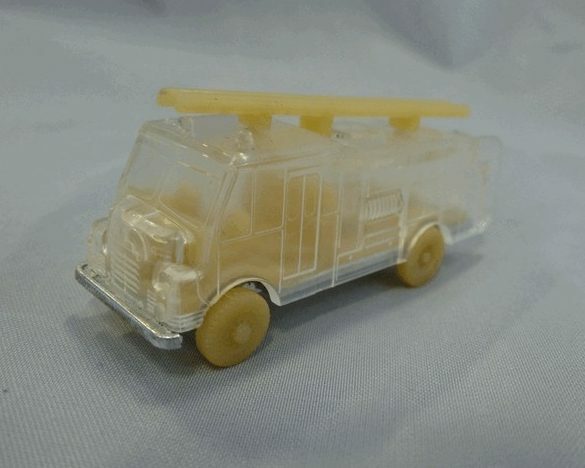 Collectors looking at stored models have come across models falling to bits from time to time, The Corgi Vanguards Transit Castrol van has a tendency to self-destruct as shown in MAROnline previously by Dave Turner. 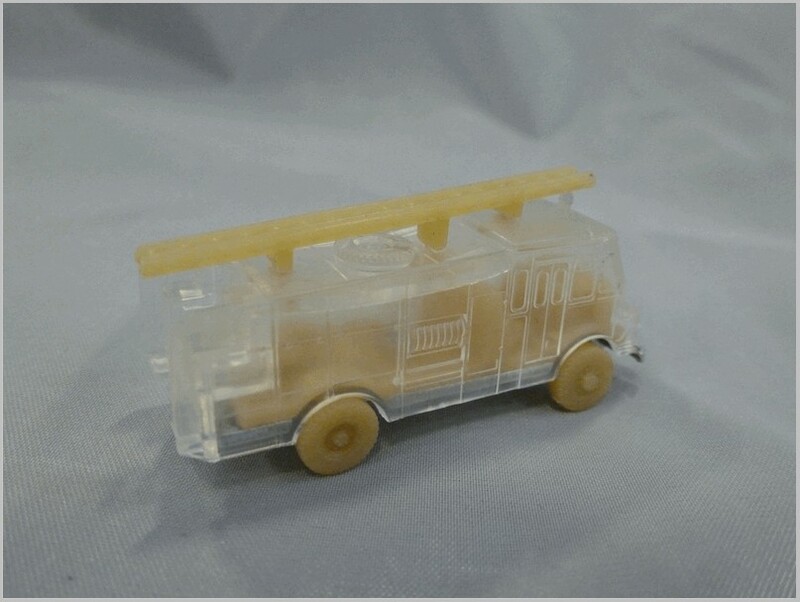 Whilst Photoetched parts popping on resin models can usually be remedied with glue and care intergranular corrosion has no cure. 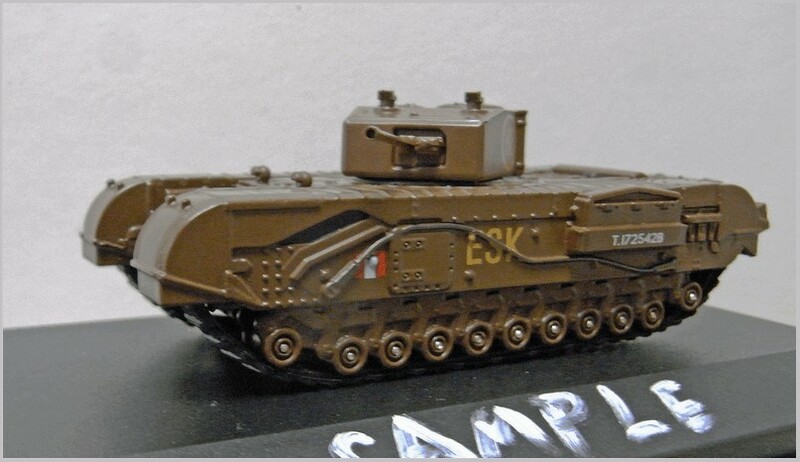 Some people have stabilised the models by flooding them with super glue and other binders but that just holds together a failed casting it is no cure. 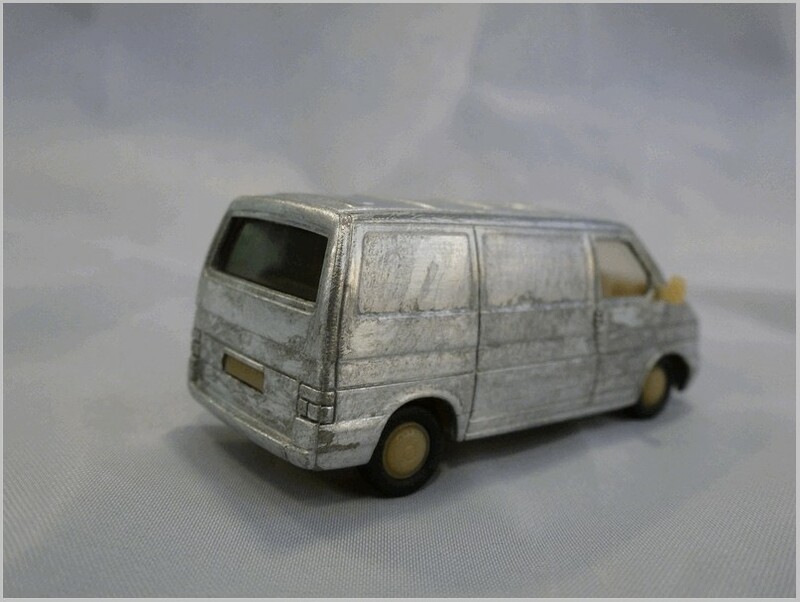 Intergranular corrosion of diecast models is commonly known by many descriptive names: Zinc Pest, Metal Fatigue, and Diecast Rot are some. 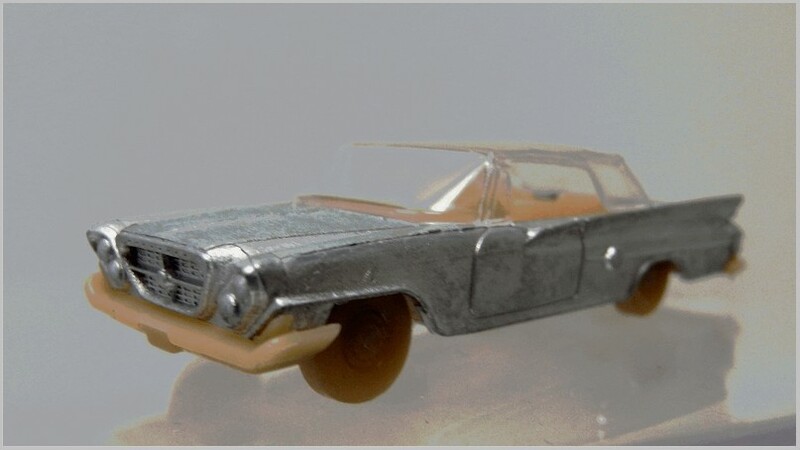 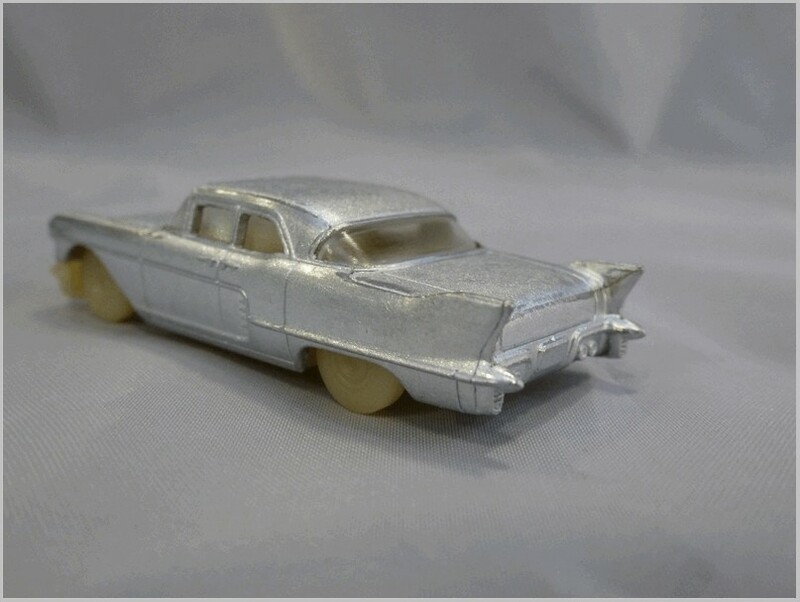 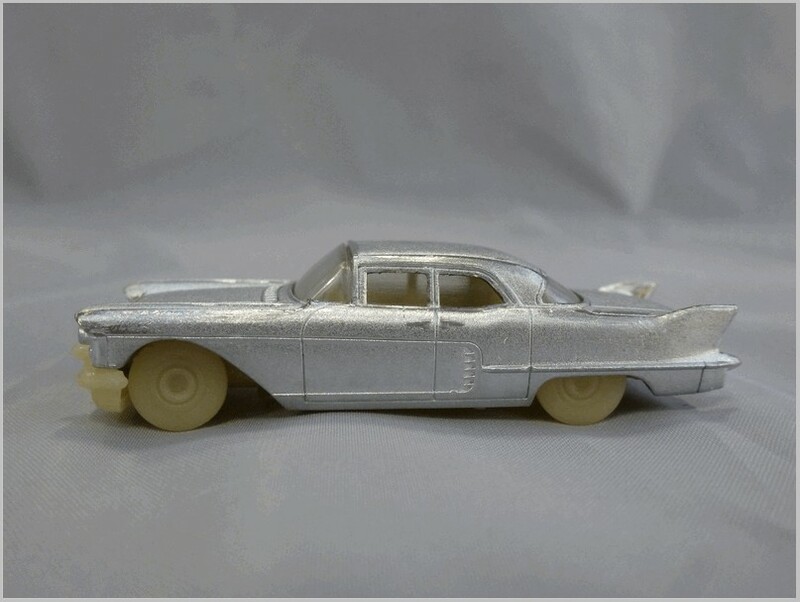 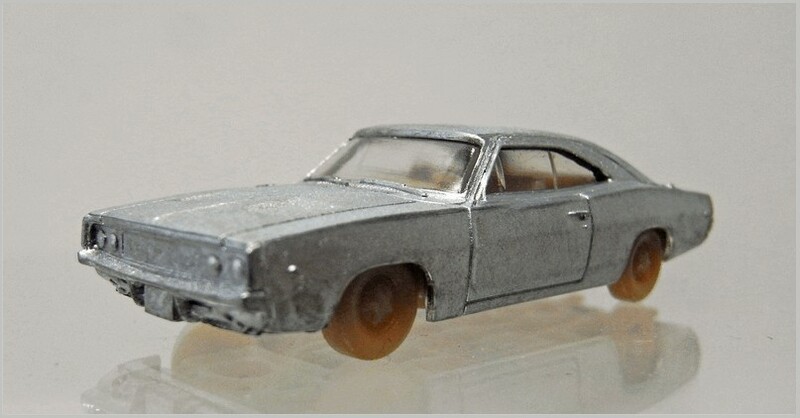 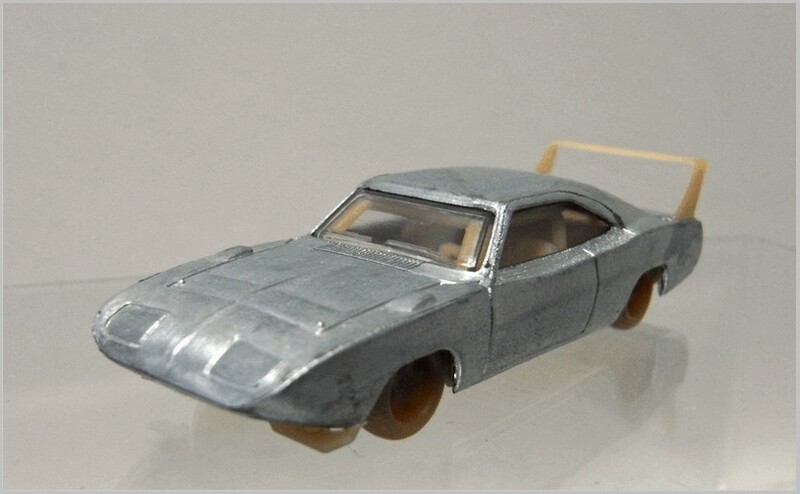 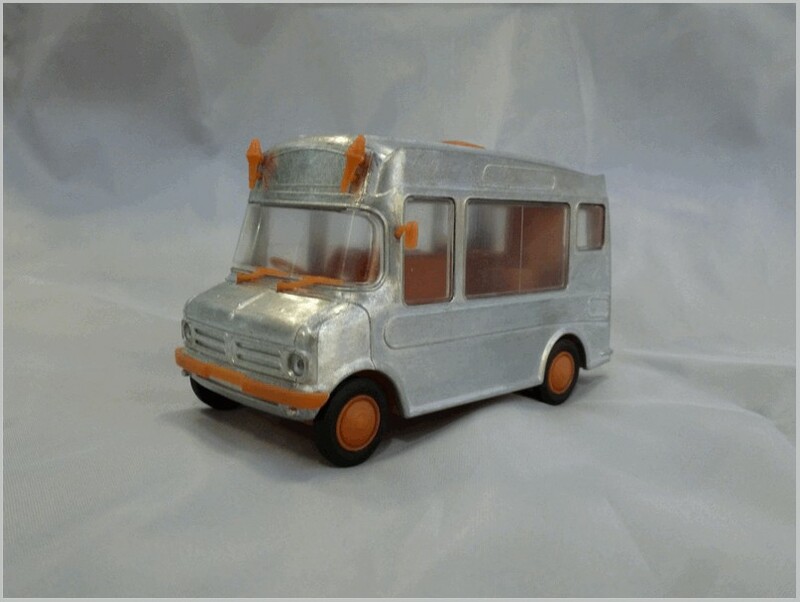 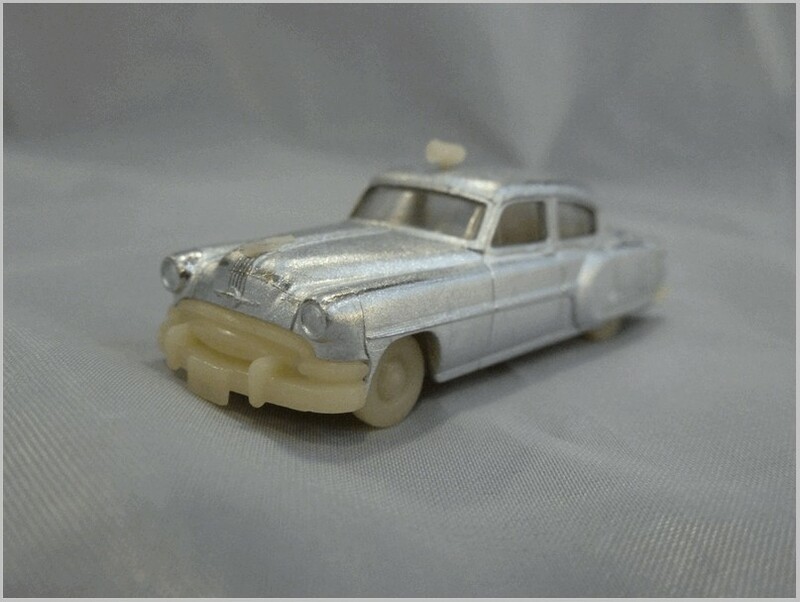 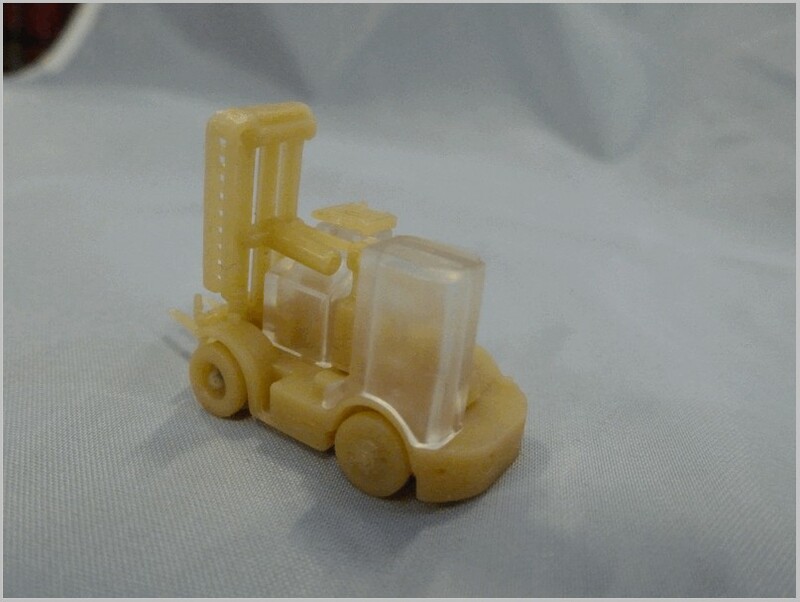 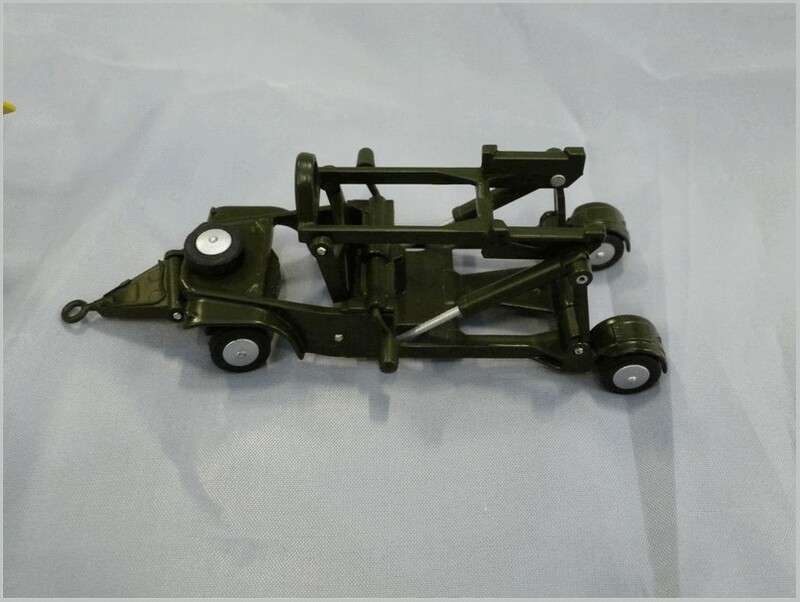 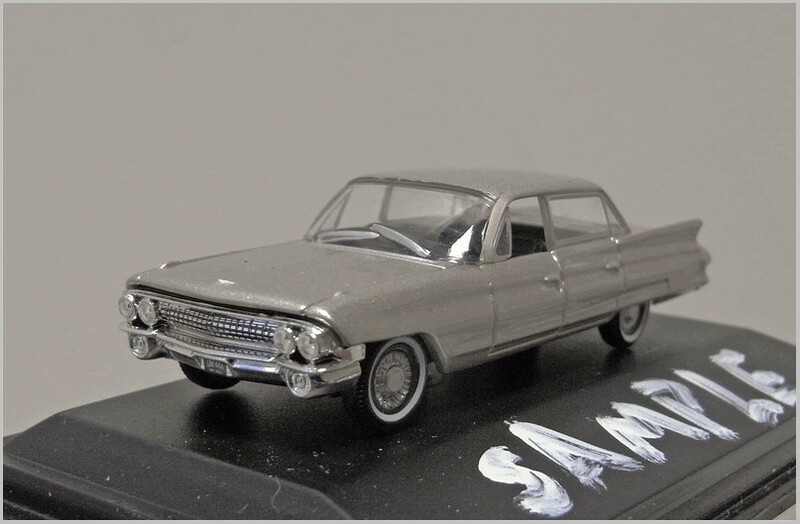 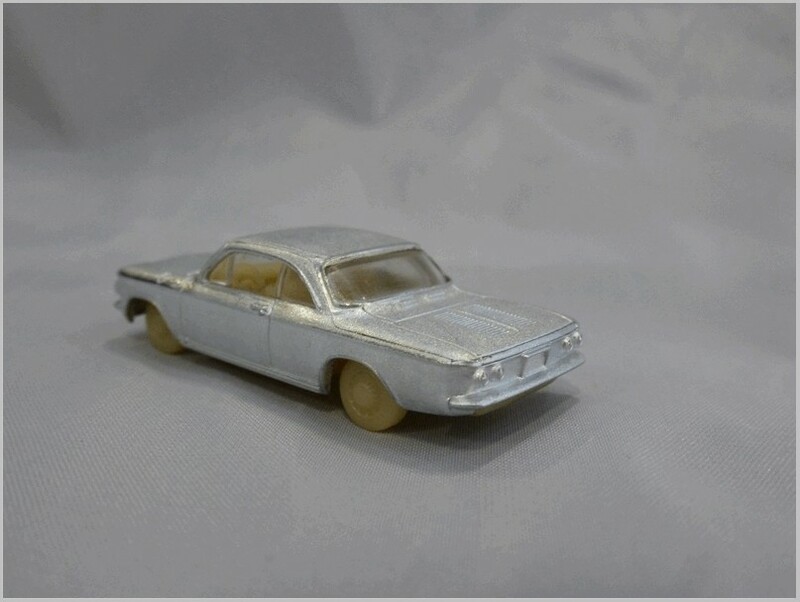 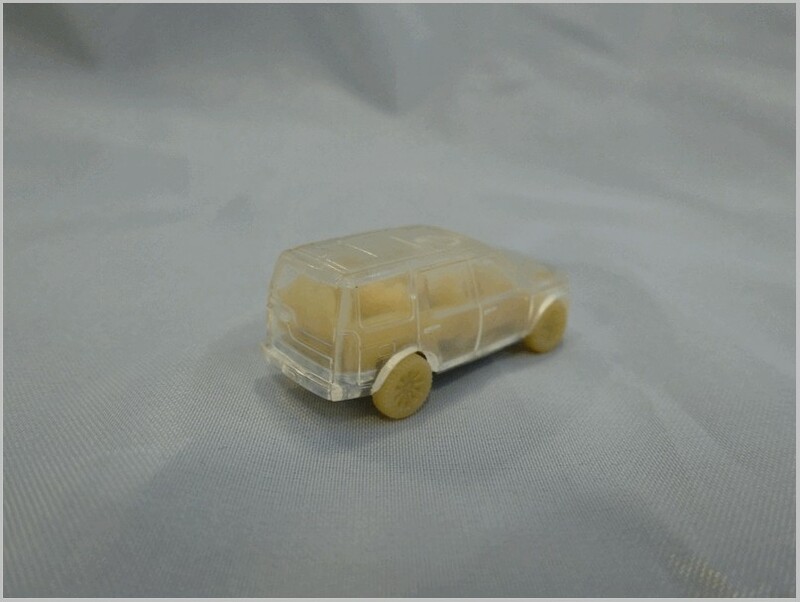 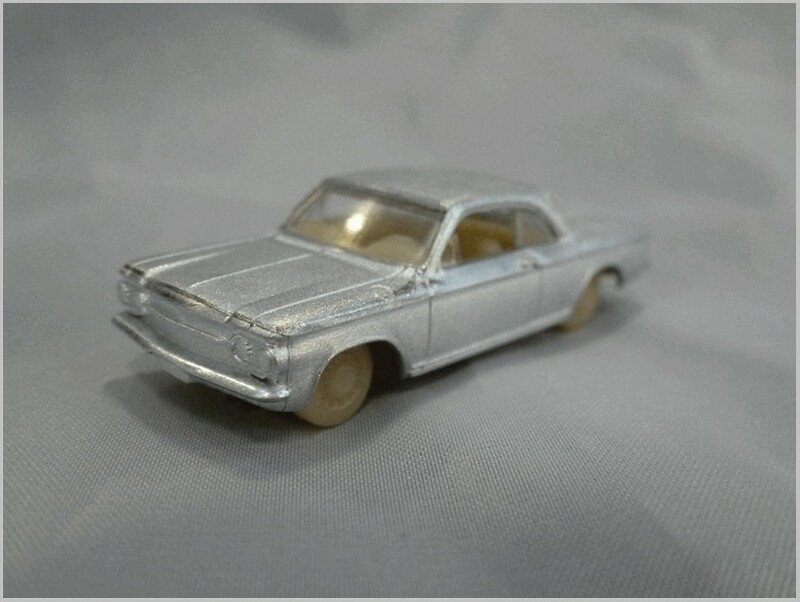 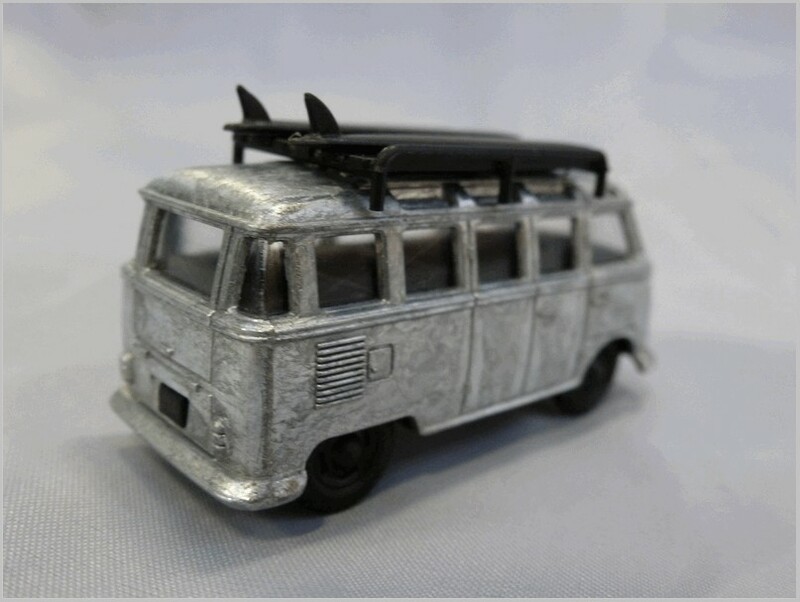 It is a destructive intercrystalline corrosion resulting from the Mazak (Zamak) used to make diecast models being contaminated with other substances. 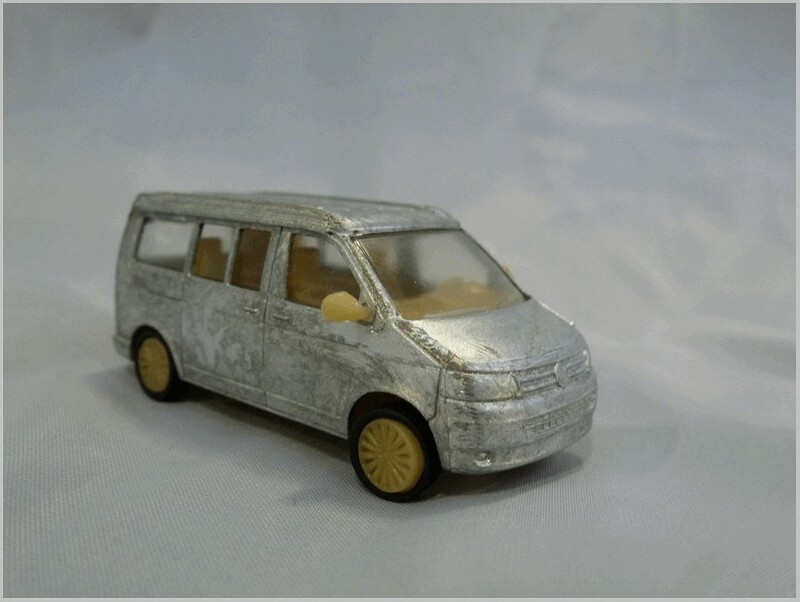 It leads to castings swelling and becoming misshapen. 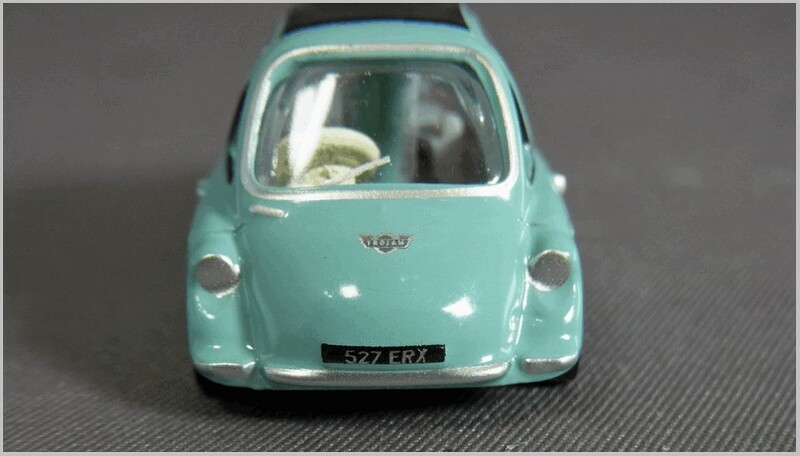 In later stages the castings may craze or develop cracks, ultimately even disintegrating. 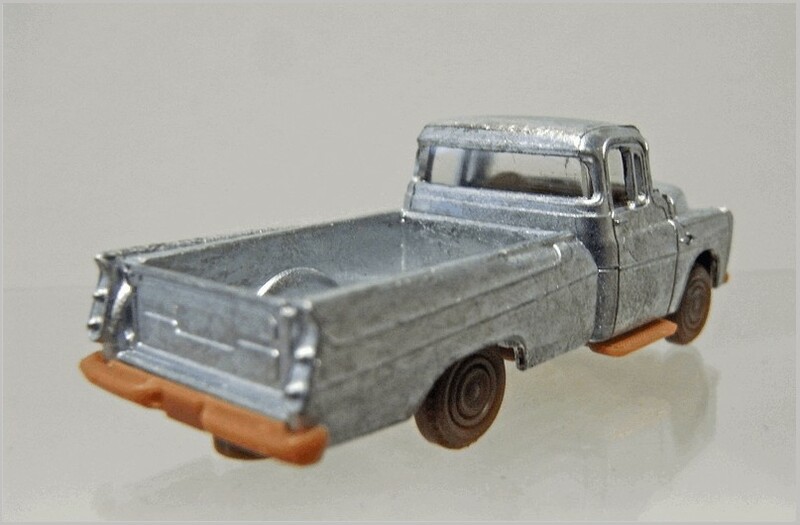 This was quite common in pre-war toys like early Dinky Toys where lead used elsewhere in the factory got into the mixture but according to Wikipedia this should not happen to items from the 1960s onwards as manufacturing controls should guarantee the purity of the metal. 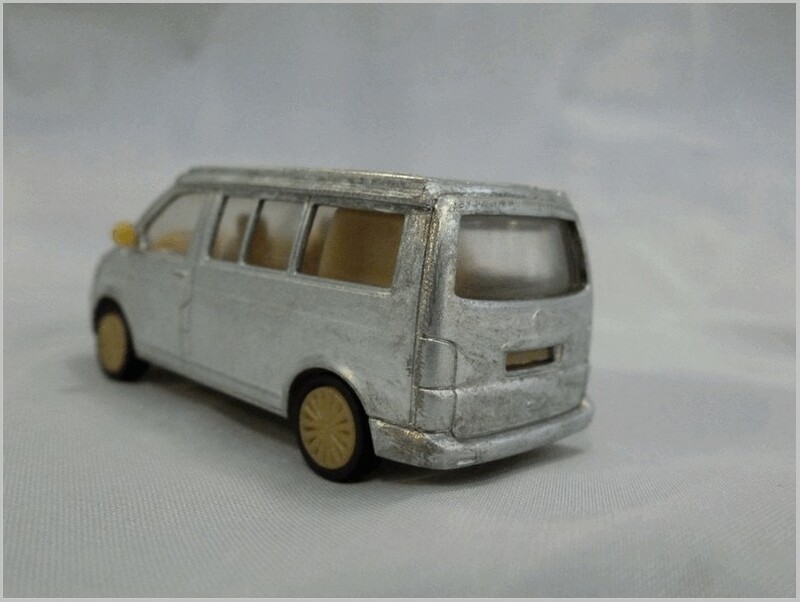 Impurities in metals used in current manufacturings could be caused by suppliers shipping metal which already contains impurities or contaminants, or it can happen in the plant where the metal for diecasting is melted and mixed and where impurities may be inadvertently introduced. 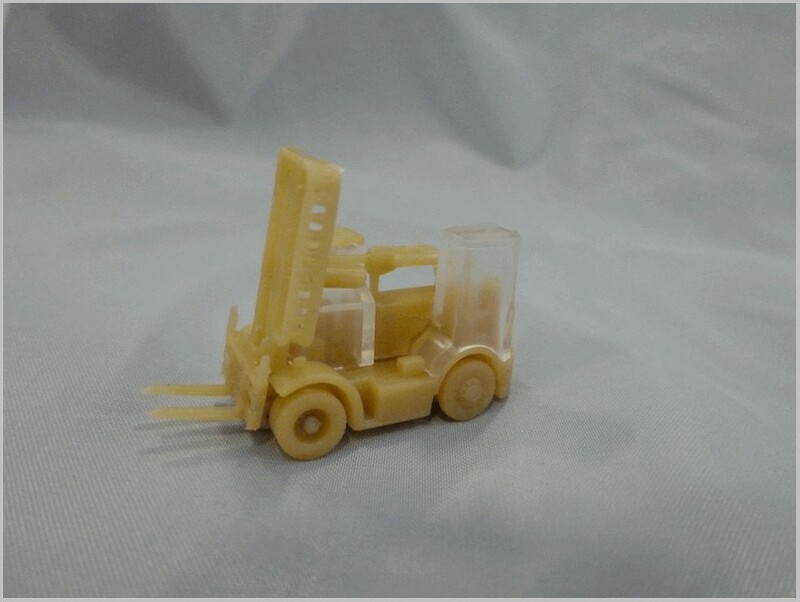 It is impossible for us to determine whether it is poor raw materials or poor manufacturing processes that are the root cause as either end up with the model suffering in the same way. 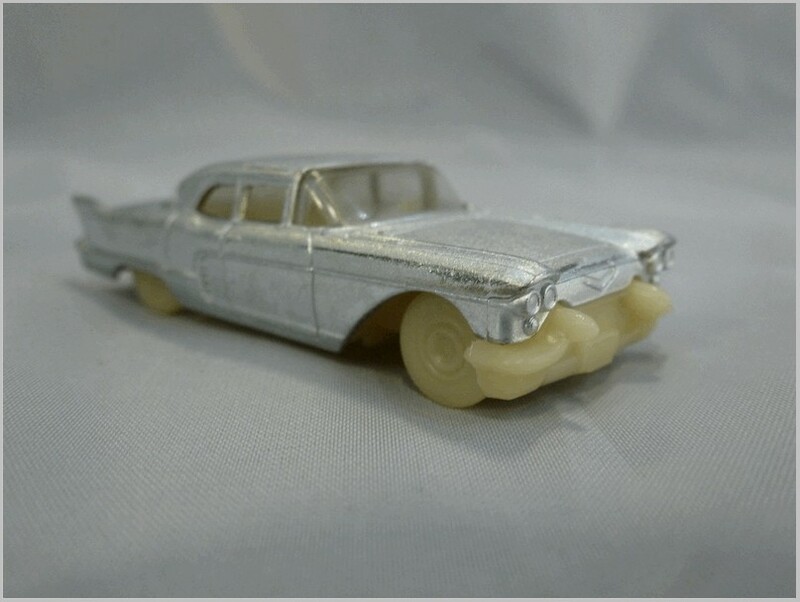 But as I read comments on the Internet that many model makers have suffered from this problem, including PCT Industries, Norev, Corgi and others, it clearly needs to be taken more seriously by people producing the castings. 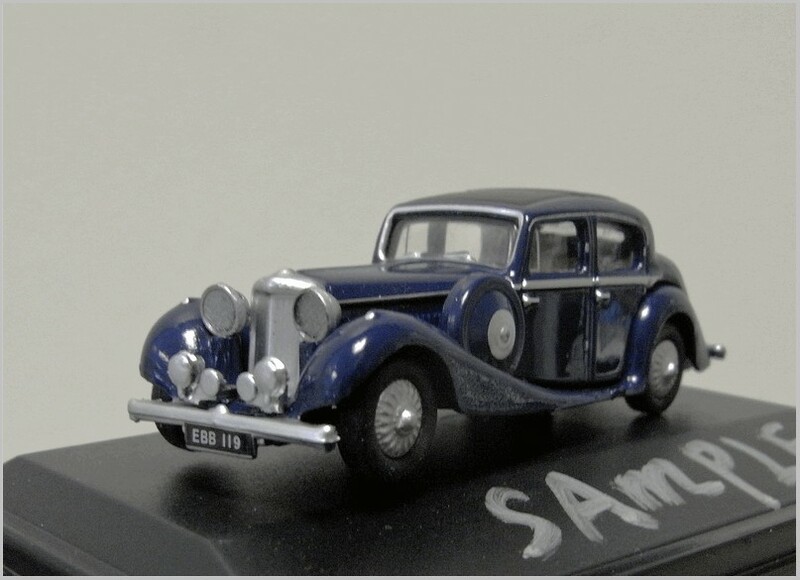 I had previously heard that Oxford Diecast too had this problem but had never seen direct evidence that this was the case. 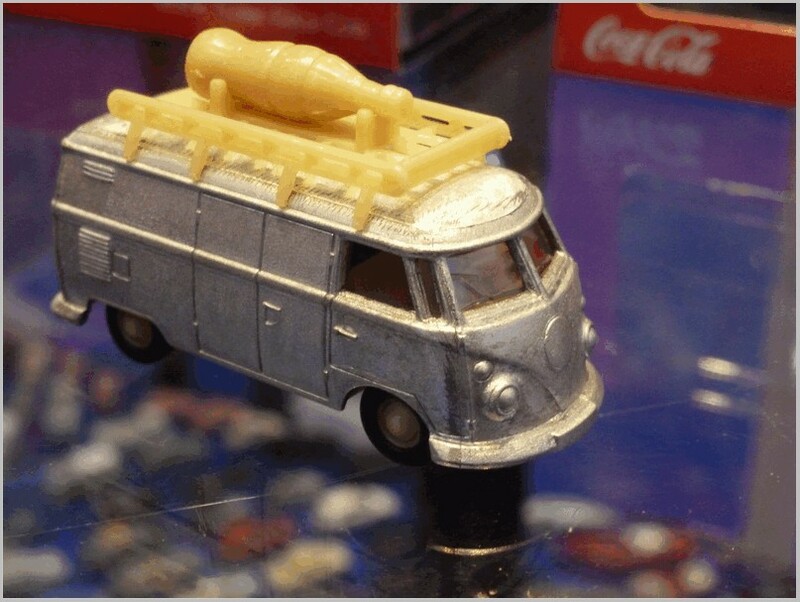 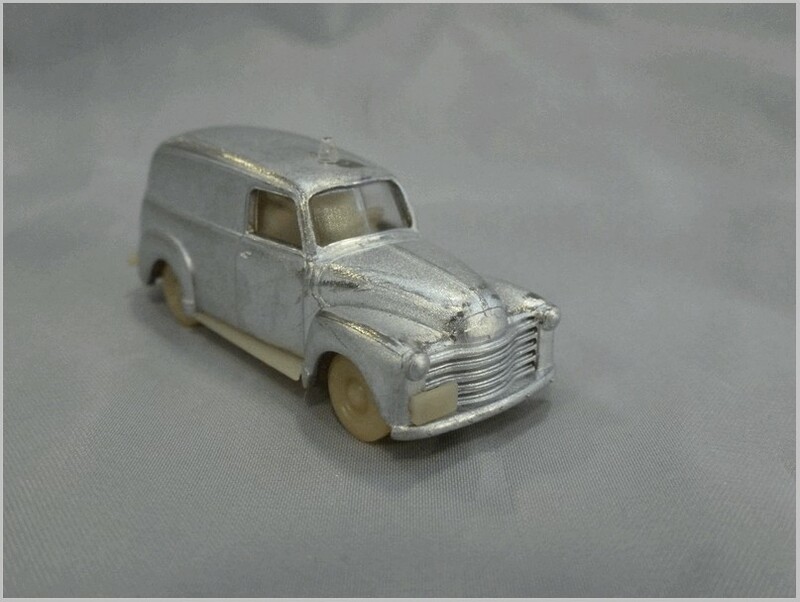 However, a recent post on the Oxford Diecast Collectors Group on Facebook by Jane Jones shows a destructive case of intergranular corrosion as you can see from her pictures below. 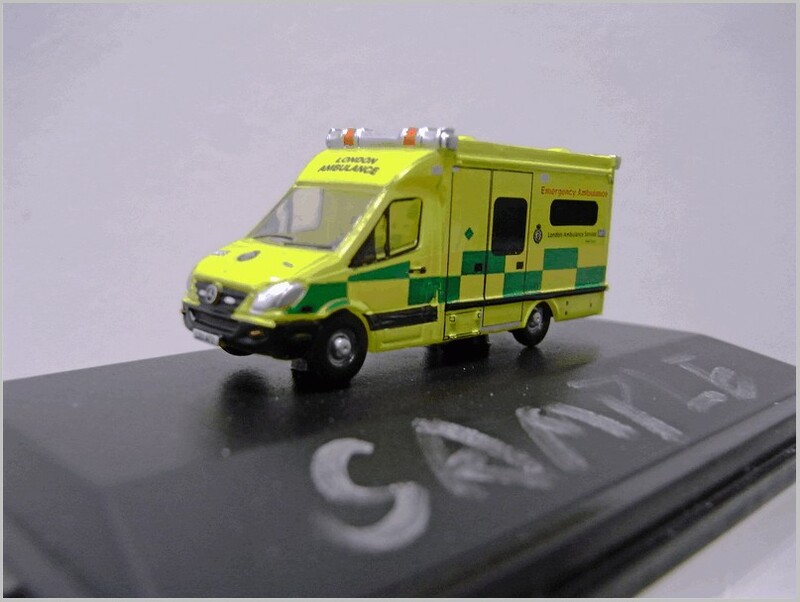 Jane posted: ‘I made a worrying discovery today. 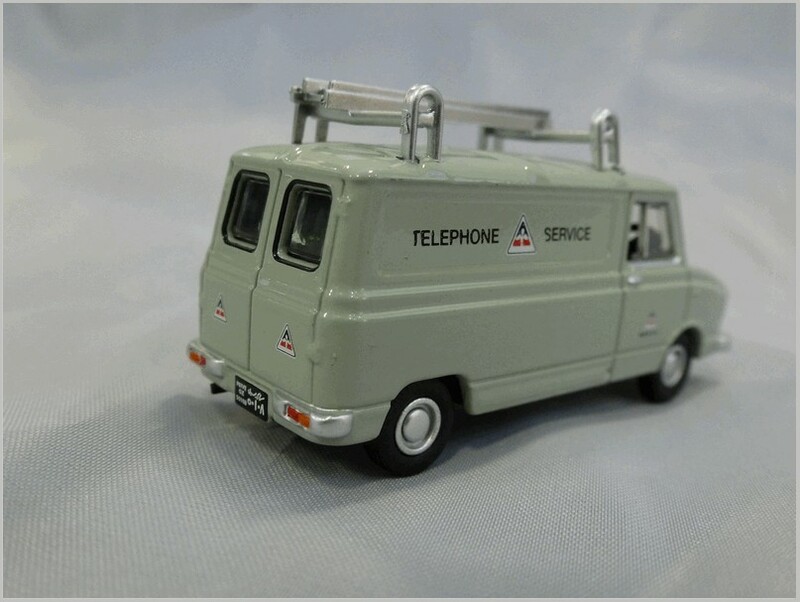 I noticed that the rear of this GPO telephones Morris 1000 was bowed, and comparing it to other Morris 1000 vans, it as almost a mm longer. 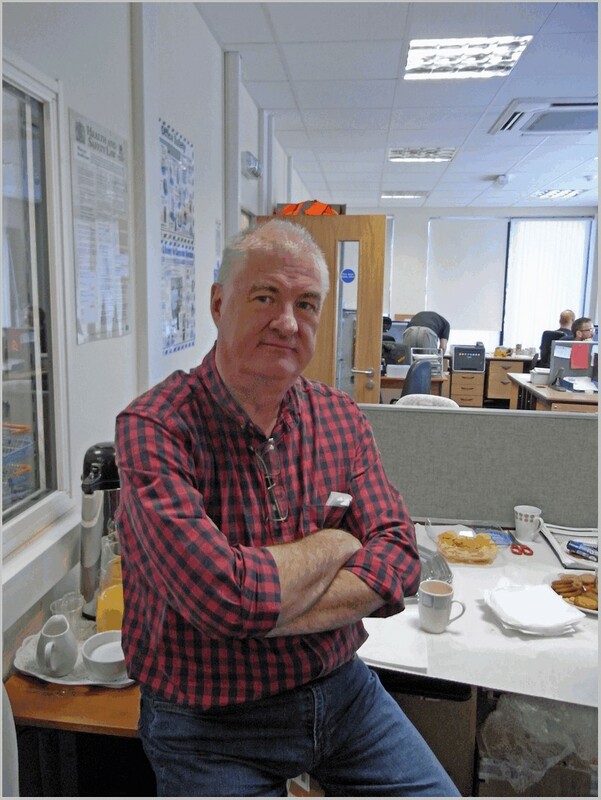 Closer examination showed that the offside was bowing out and beginning to crack . 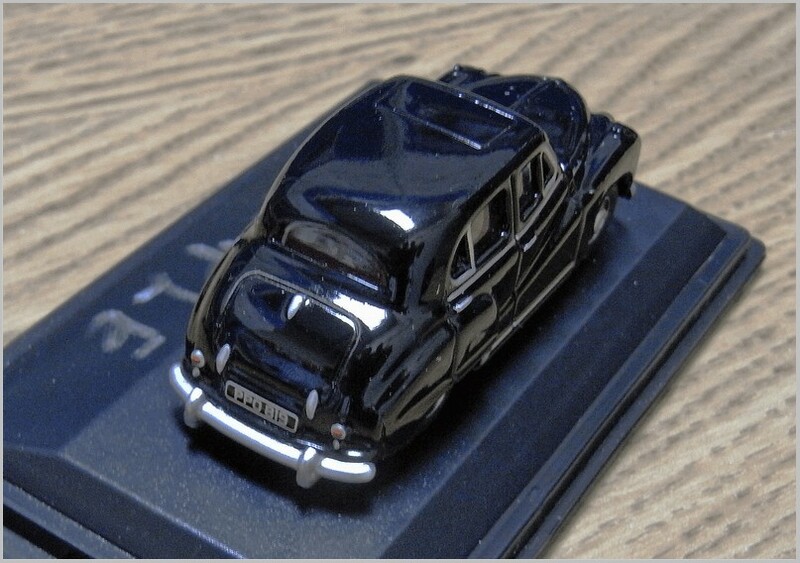 No other model that I have examined seems to have the same issue. 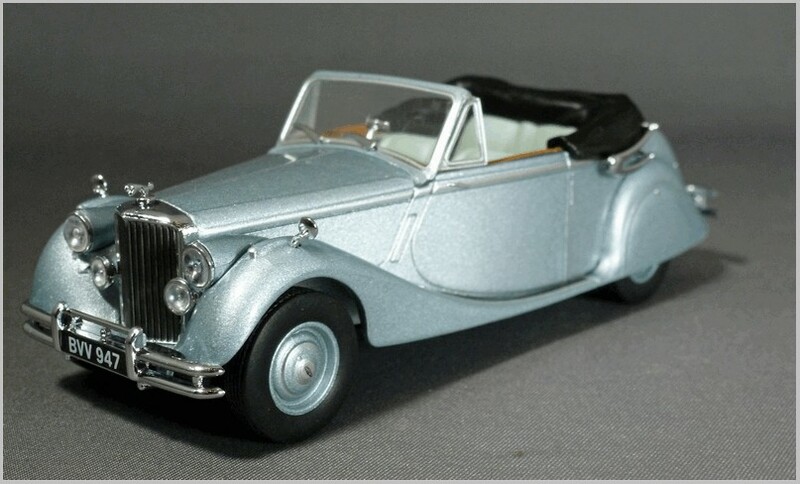 Hopefully its an isolated case??‘. 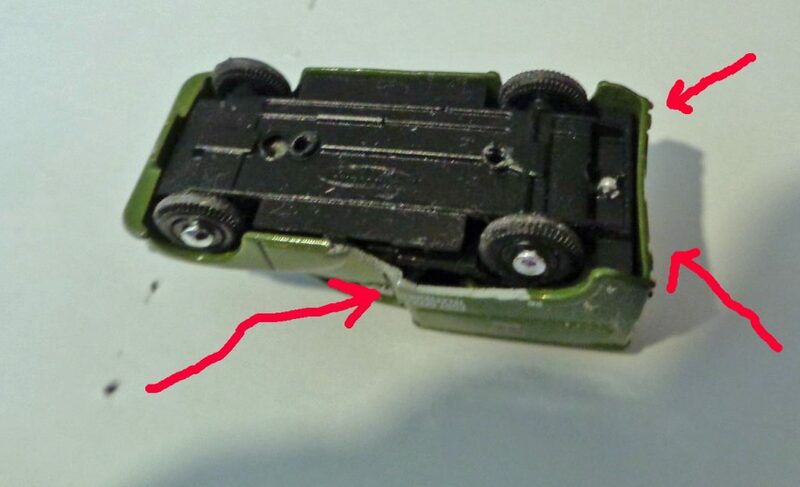 Janes’ photograph is shown below with my added arrows highlighting the extensive areas of distortion. 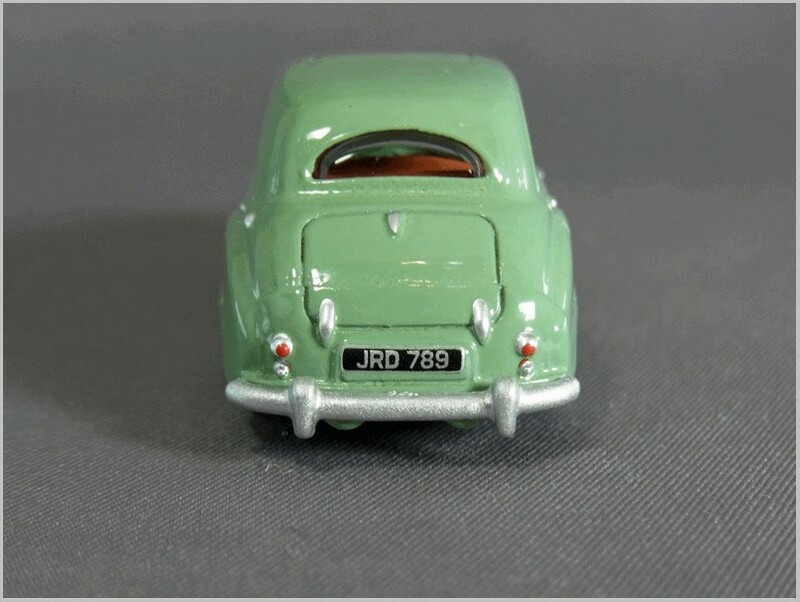 Jane added: ‘Lookout for the rear distorting. 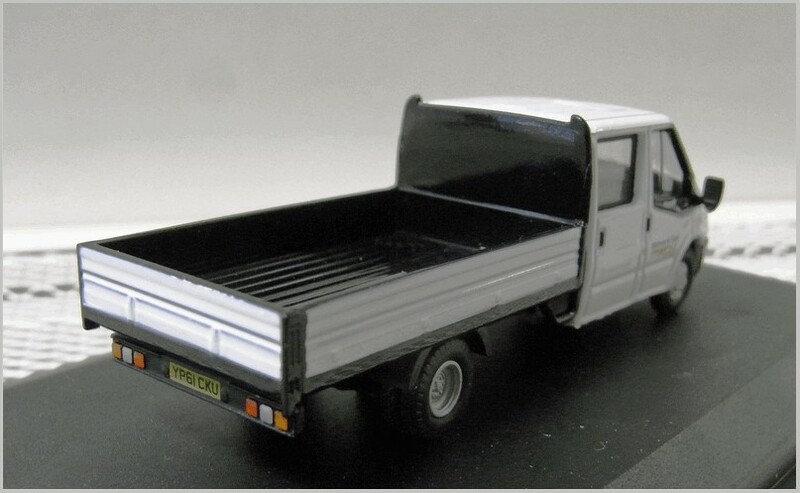 That indicates that the body has elongated because the zinc rot causes microscopic cracks‘. 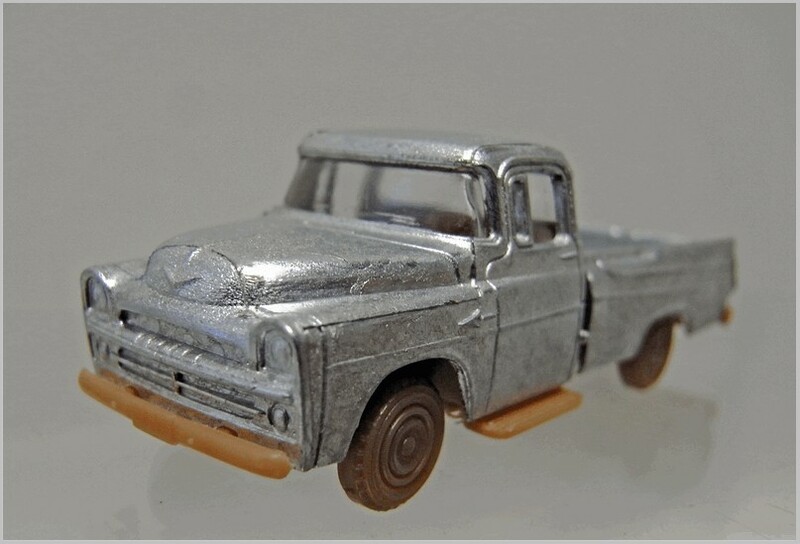 Sadly Janes’ second photograph shows the inevitable result when the corrosion is as bad as that shown above. 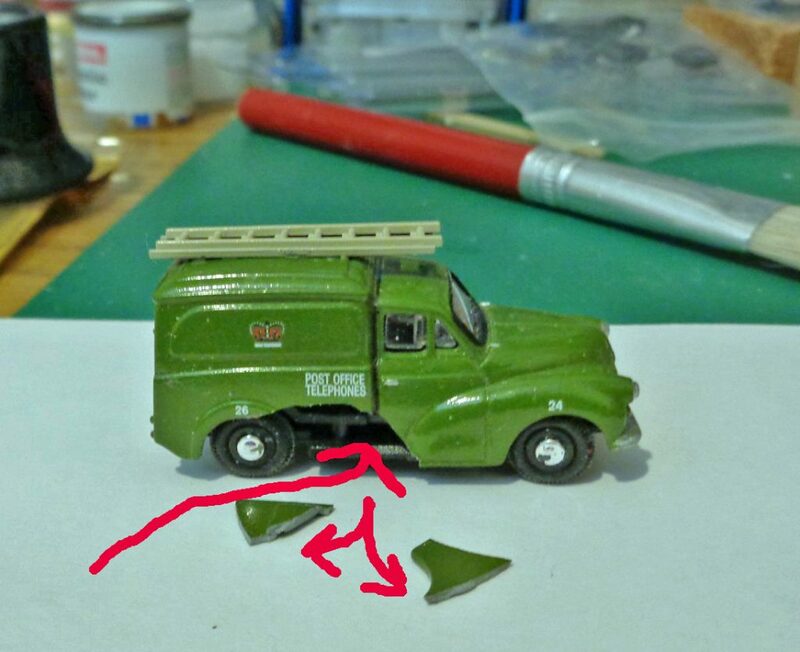 Again my arrows have been added to highlight where the ‘bowing’ sections have broken away from the van. 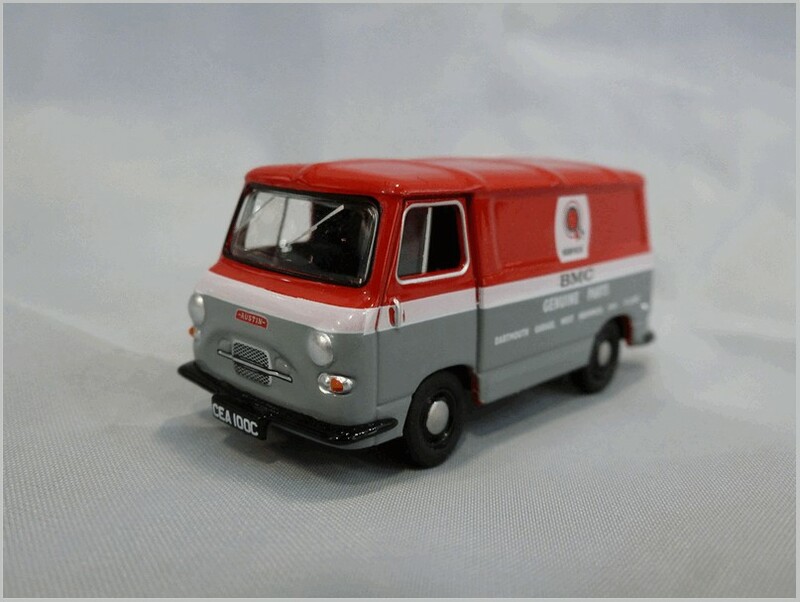 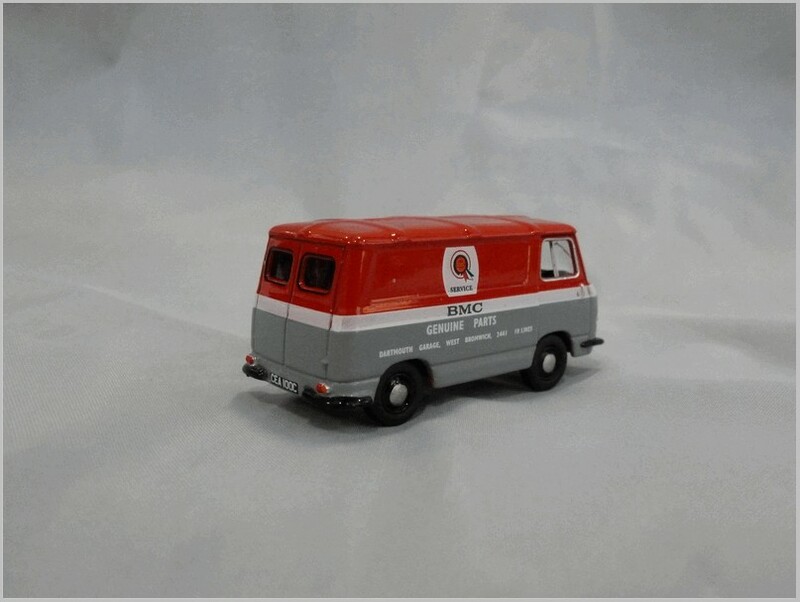 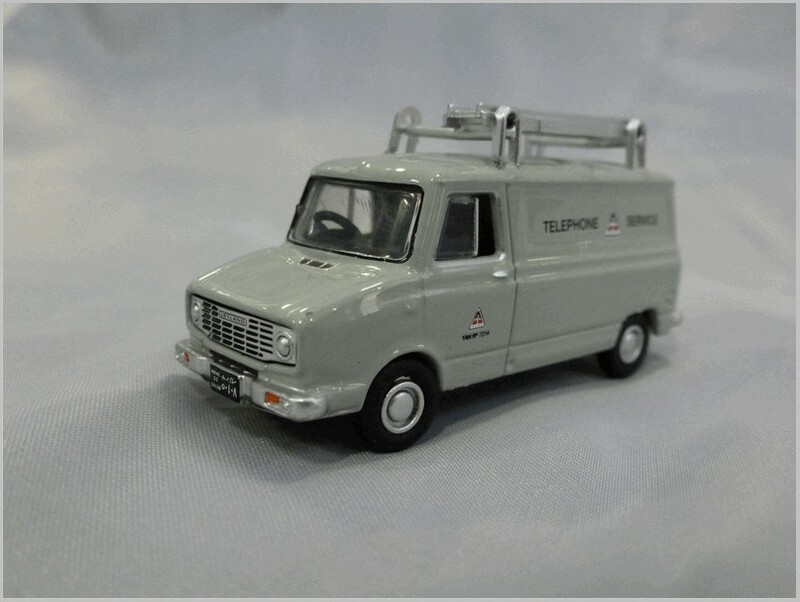 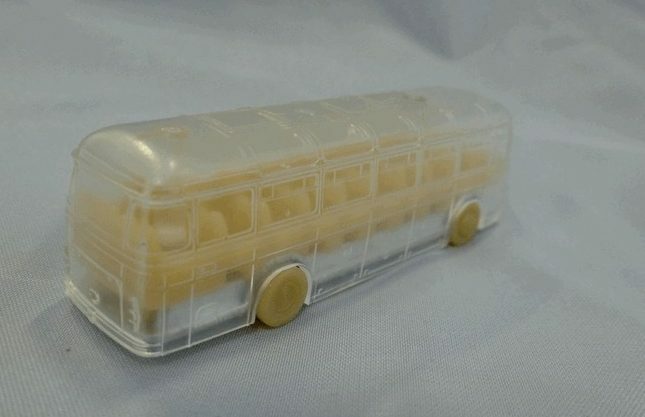 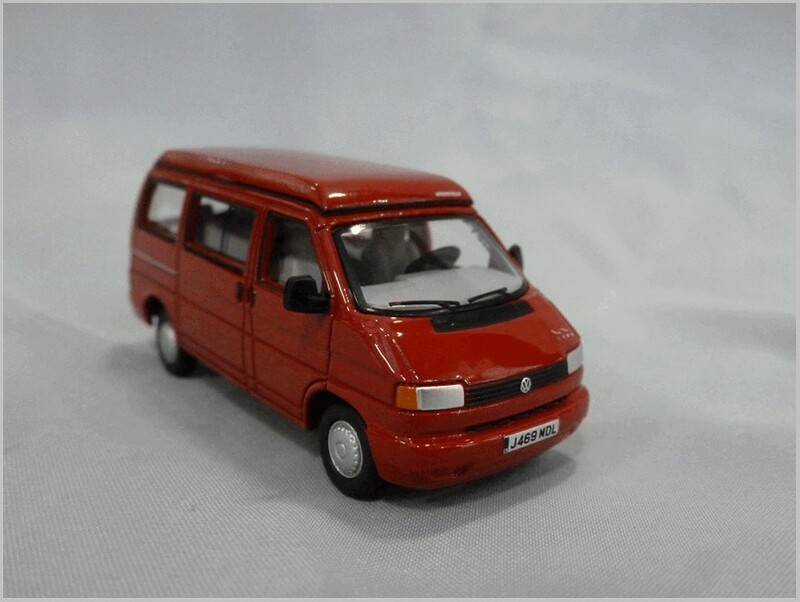 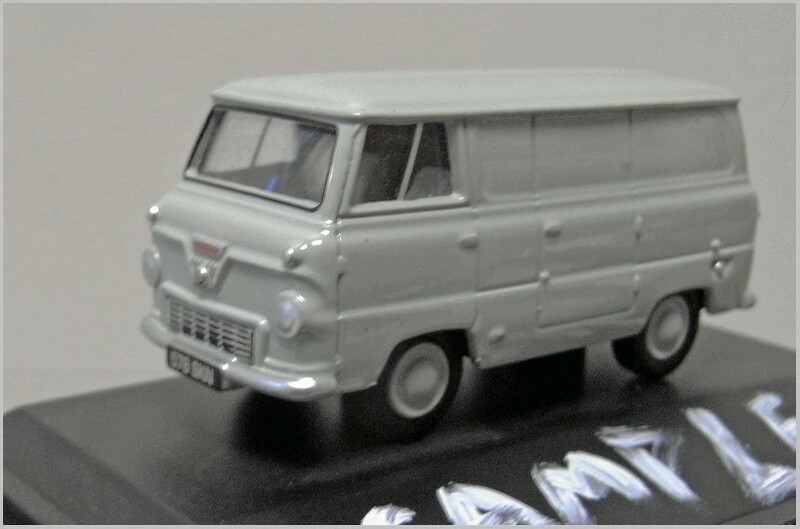 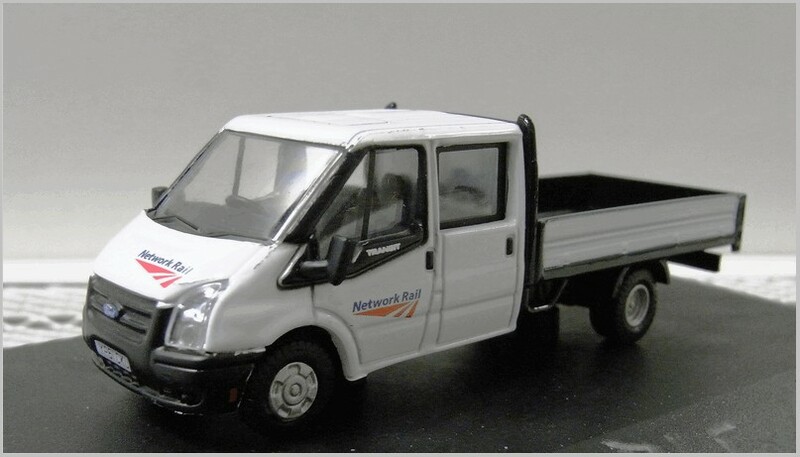 So if you have this Oxford Diecast van it may well be worth checking it. 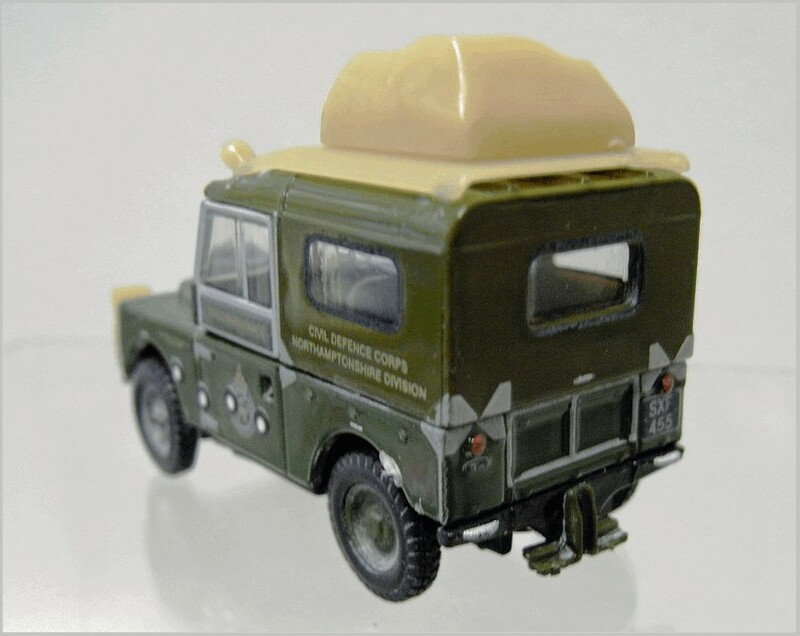 I suspect that this is not an extensive problem for Oxford Diecast collectors or the internet would be full of many more comments. 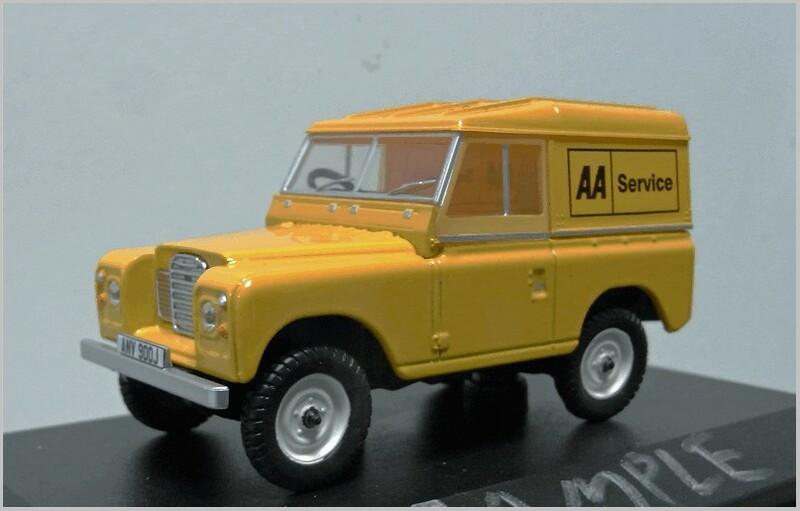 It is a great shame though for those who find their models like this as it inevitably takes several years to come to light and by then the manufacturer is in no position to replace clearly faulty goods. 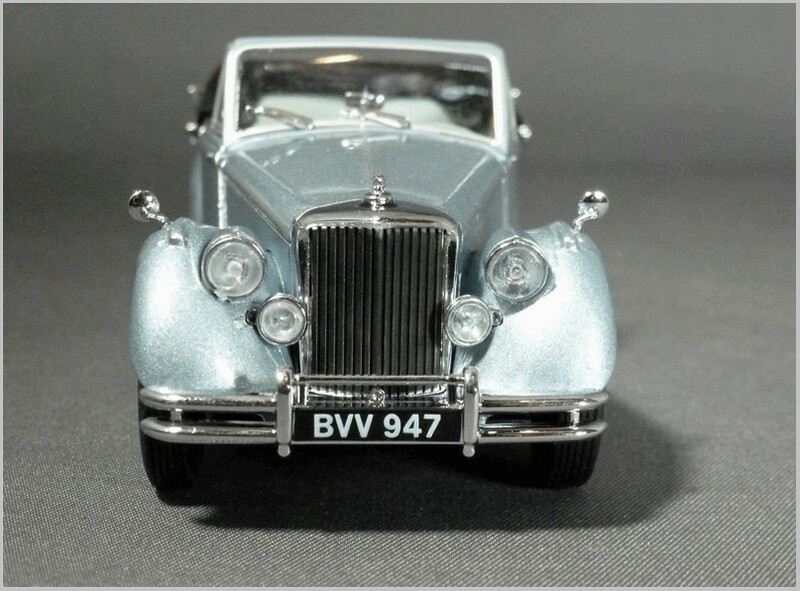 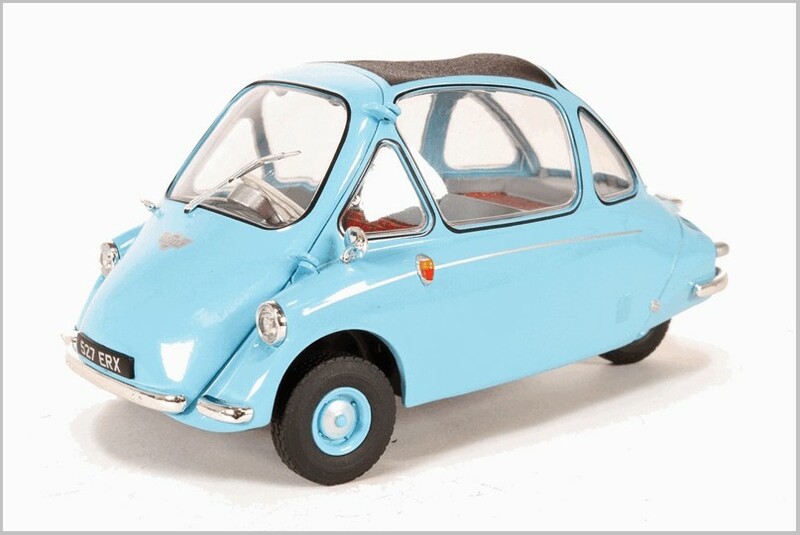 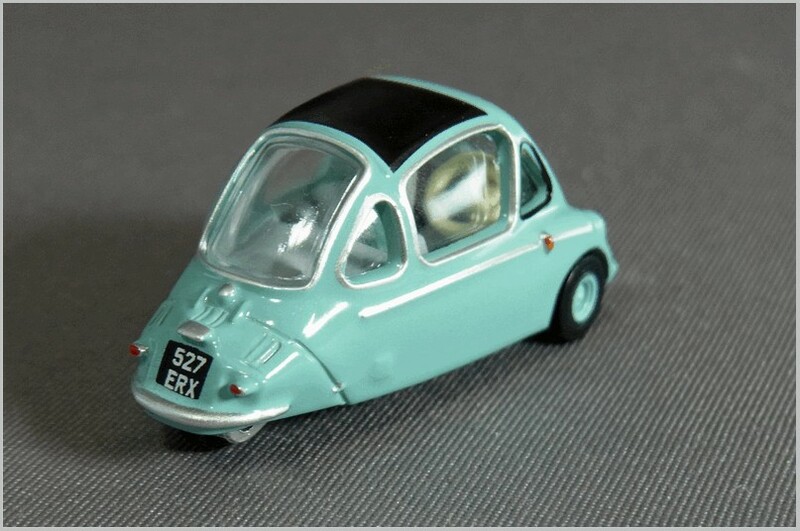 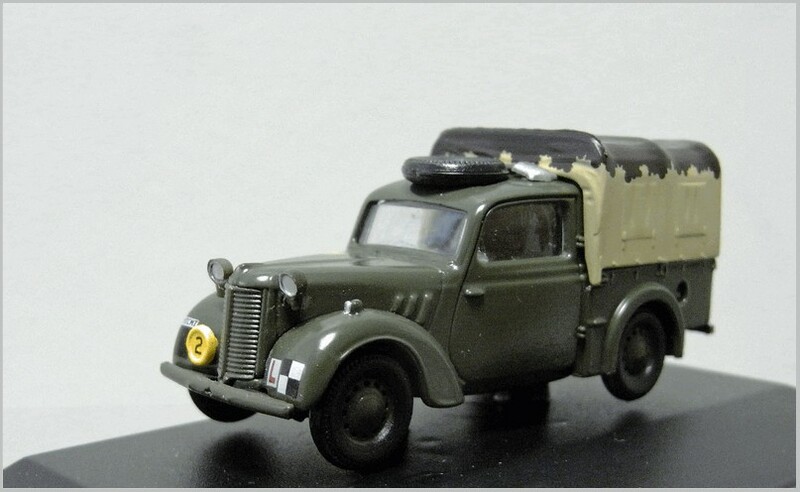 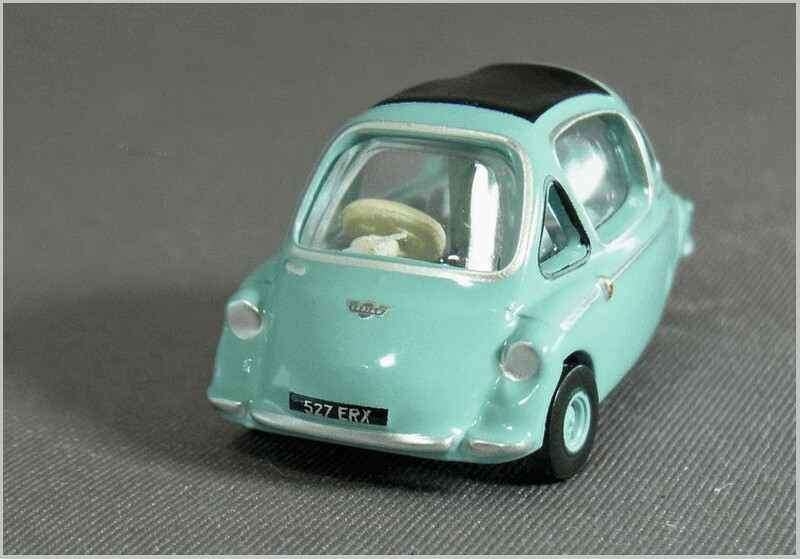 The Oxford Diecast 1:43 scale diecast Jowett Jupiter 43JUP001 has now arrived from China and reached the shops. 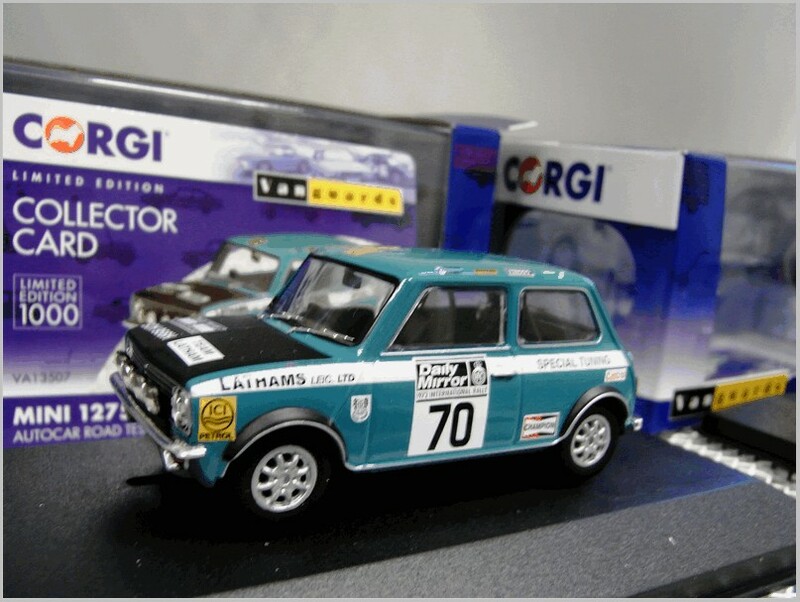 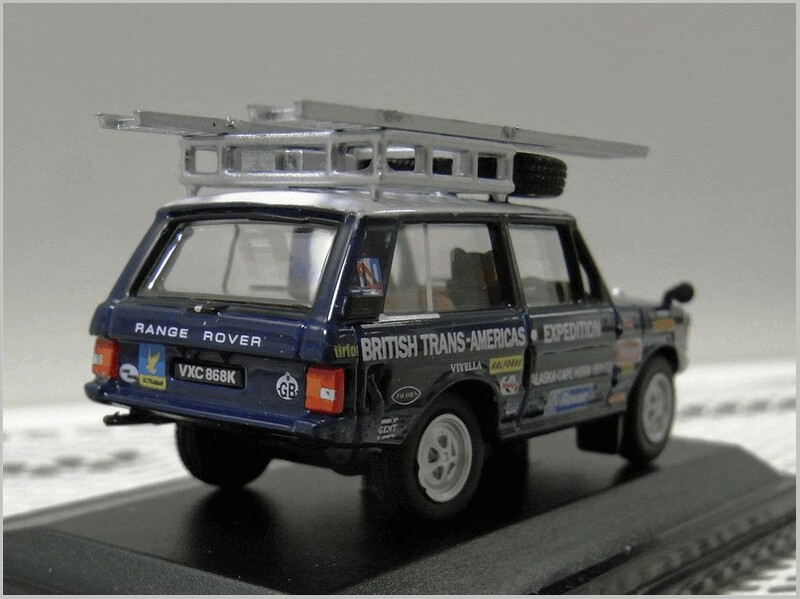 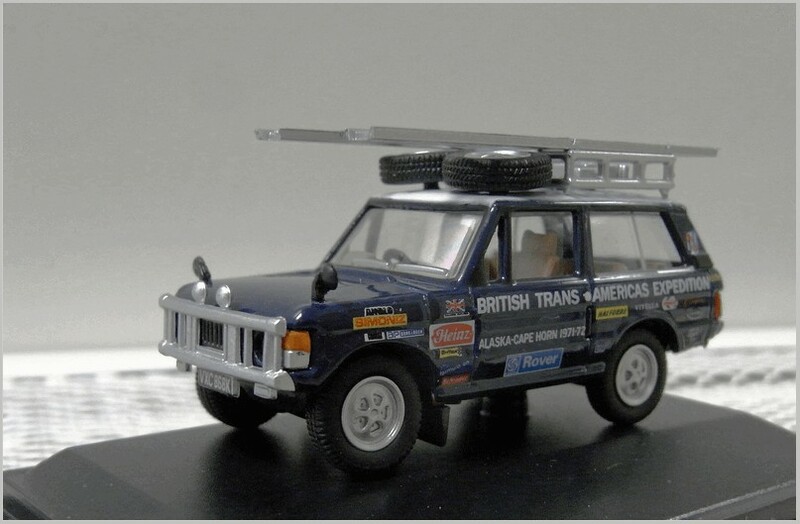 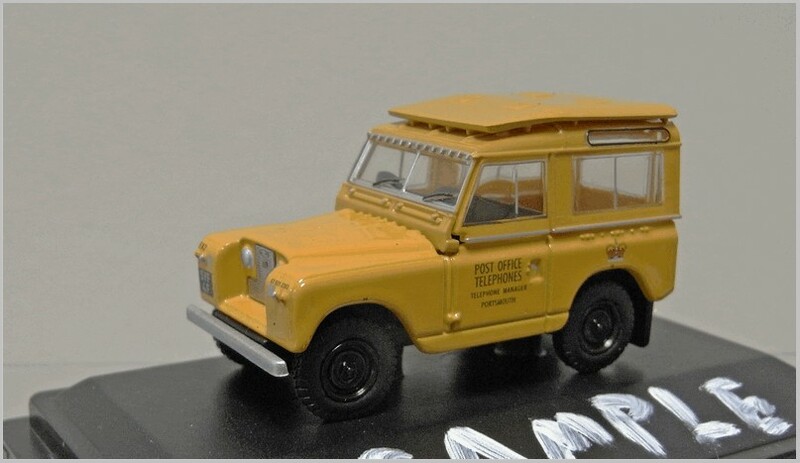 This is one of the limited number of new castings in 1:43 scale being introduced by Oxford Diecast in 2018. 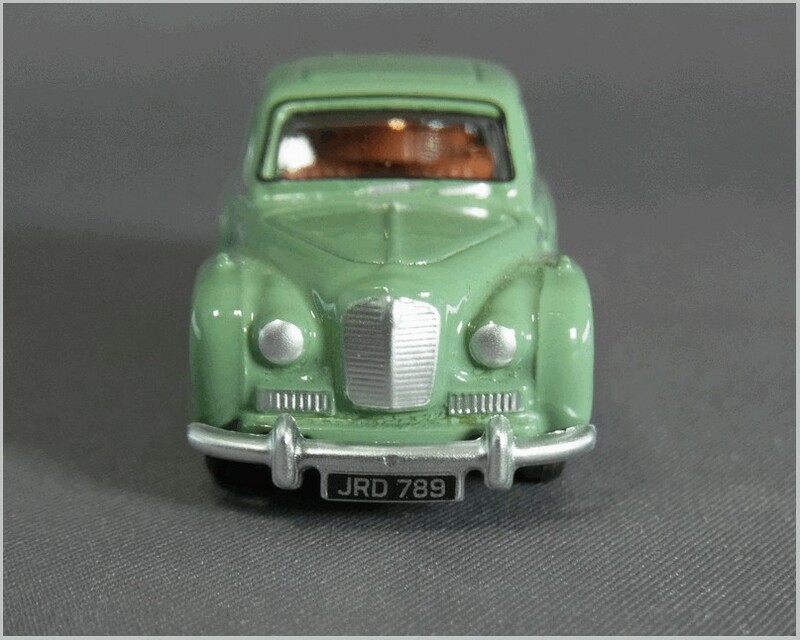 The Jowett Jupiter was made by Jowett Cars based near Bradford in the UK. 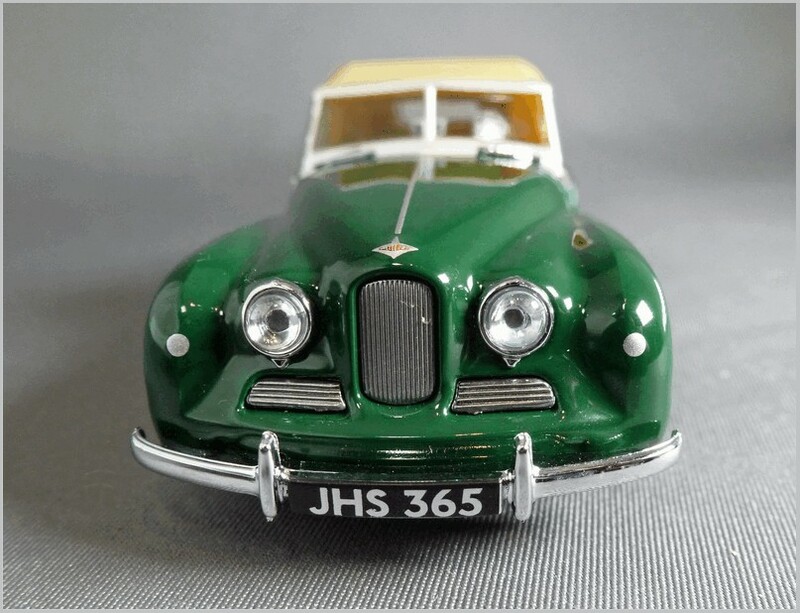 It was a sports body mounted on the chassis of the Jowett Javelin. 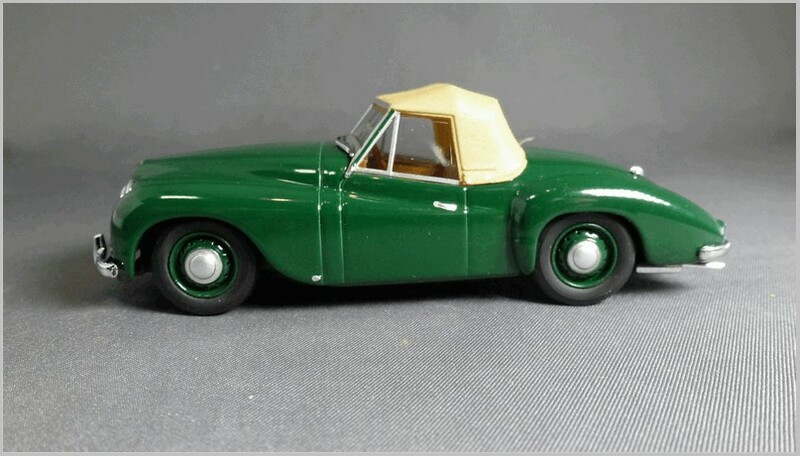 The car was aimed at winning foreign sales which would allow Jowett access to a larger supply of rationed steel. 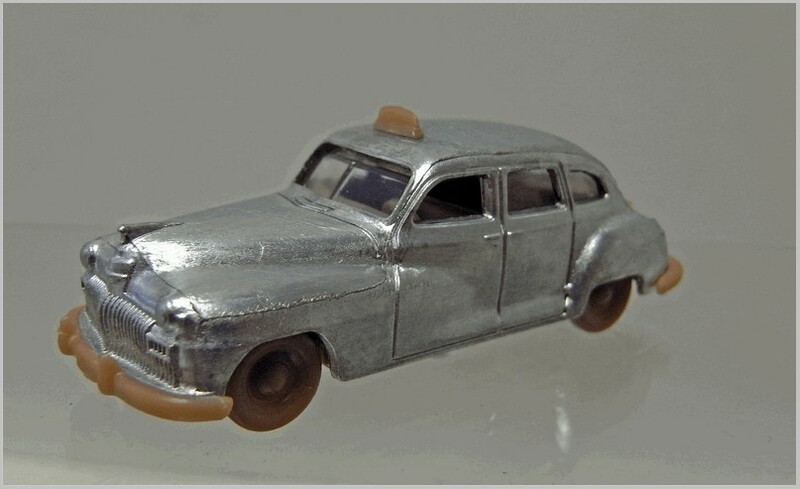 The complete car was shown for the first time in New York in 1950. 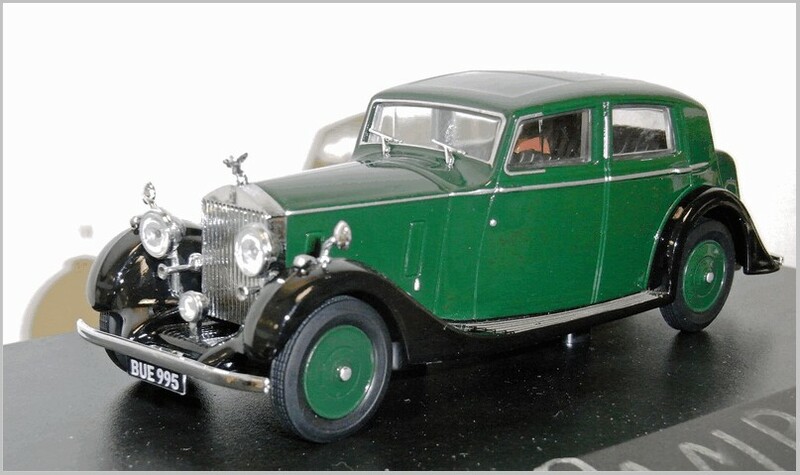 Production lasted only four years and about 900 were made making them very scarce today. 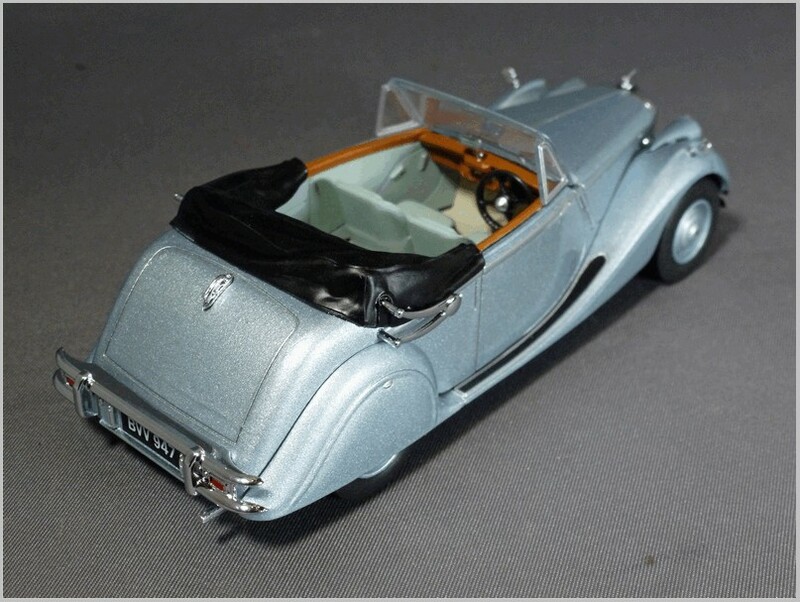 A class win at Le Mans in 1950 was followed by first and second in class at the Monte Carlo rally the following year. 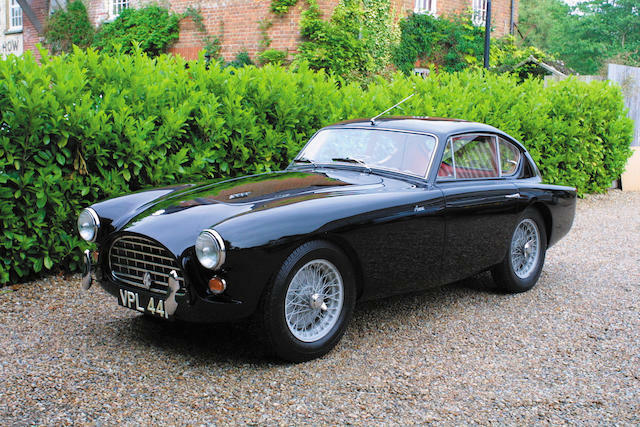 Class wins came again at Le Mans in 1951 and 1952. 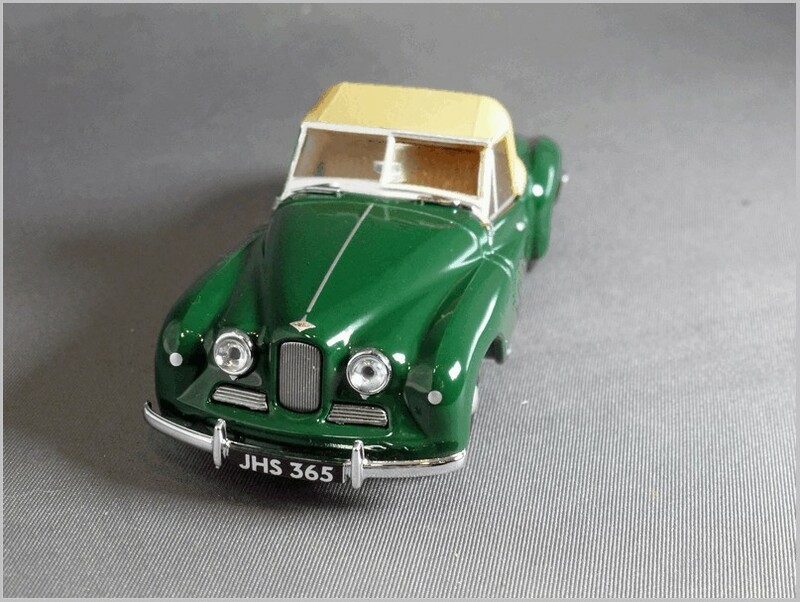 Jowett closed in 1955. 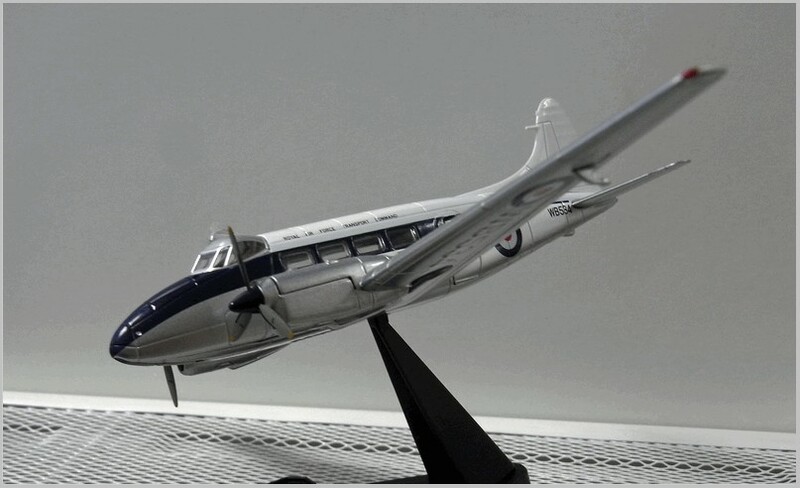 The Oxford model is a fine one with a lot of detail incorporated and the only things suggesting this is a budget model are the silver printed lights on the front wings which are just a blob of paint without even a shape moulded into the casting, the printed door handles and oversize printed blob for the door lock. 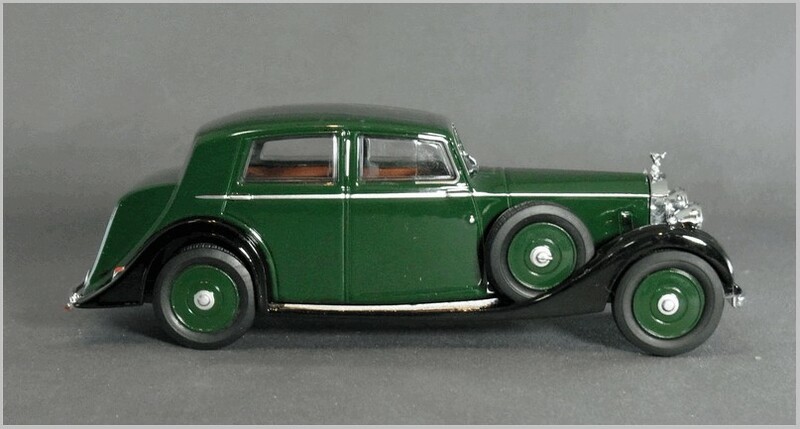 Looking at the photographs on the Internet of the real car the green paintwork seems a little dark but that may be a trick of the light or the way the photograph has reproduced. 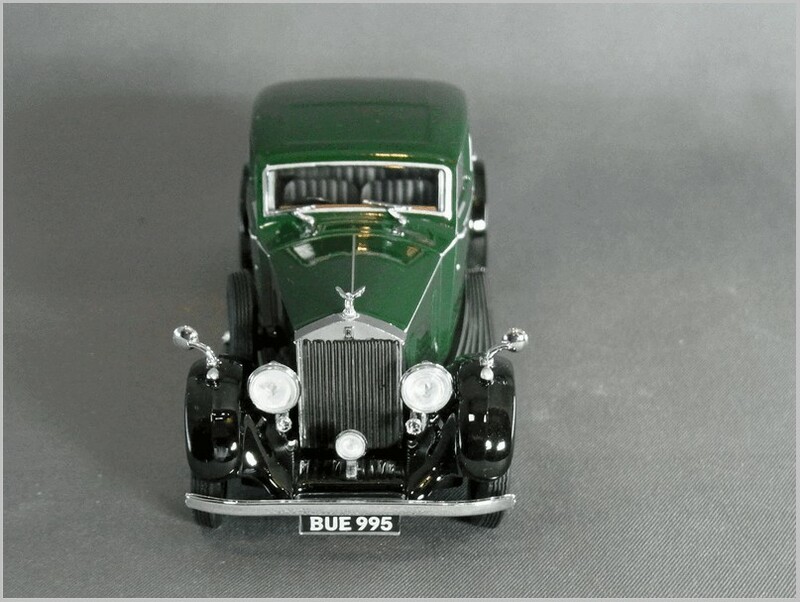 A good set of grilles and nice Jowett badging help lift the model as do the number plates and bumpers. 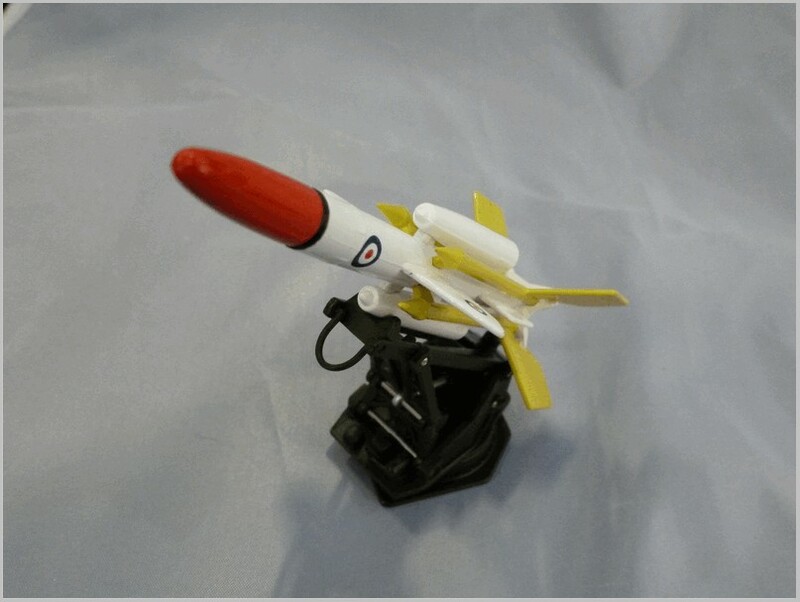 Yet again Quality Control had failed to deal with at least one issue. 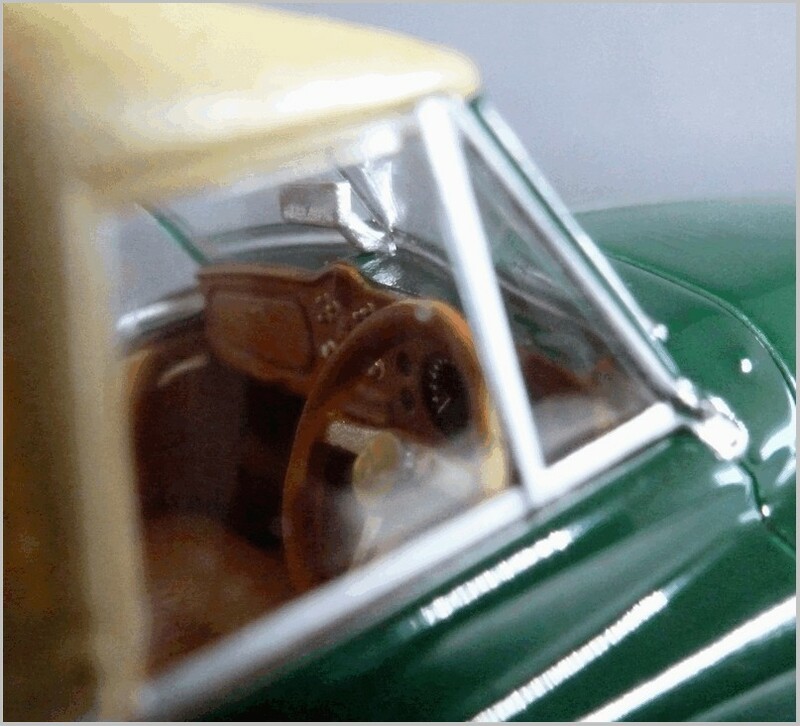 The photograph above shows a tag of plastic held in by the hood. 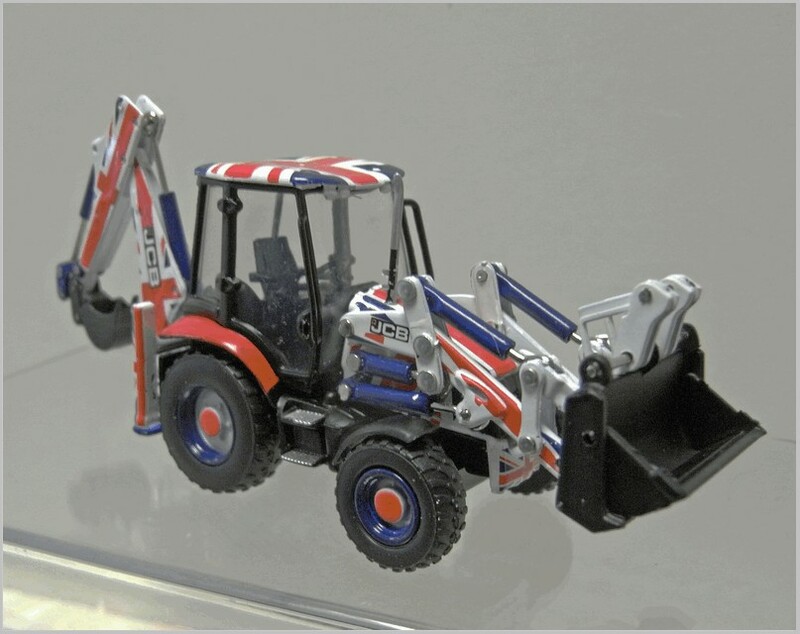 Luckily it was a simple matter to cut away but I would expect the factory to do so. 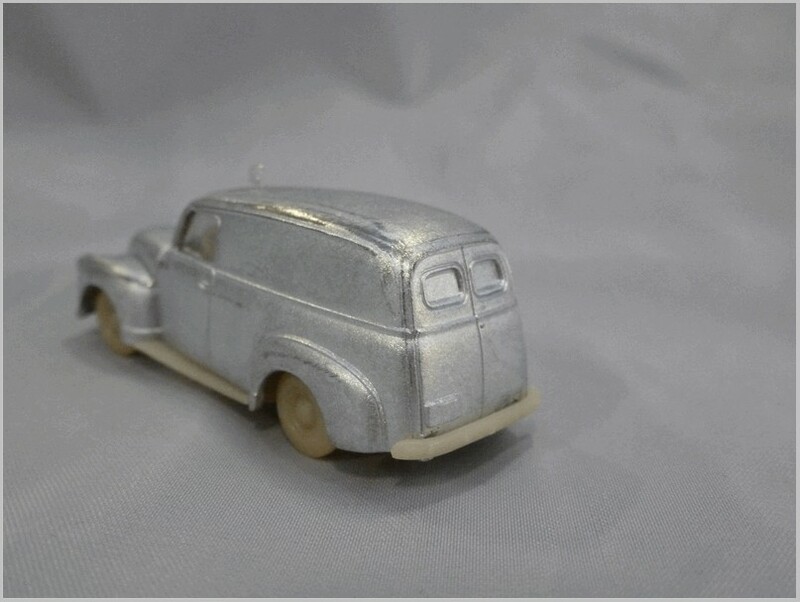 Again the silver printed studs on the hood show that no stud shape is moulded in and that they are just printed on lacking a little finesse. 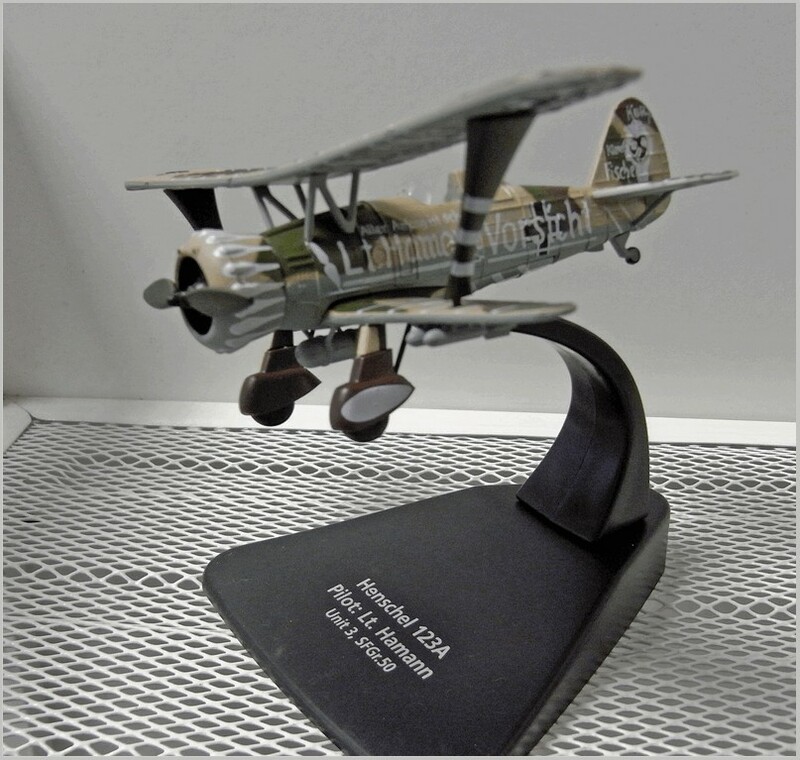 However, looking at the model it has really caught the original well. 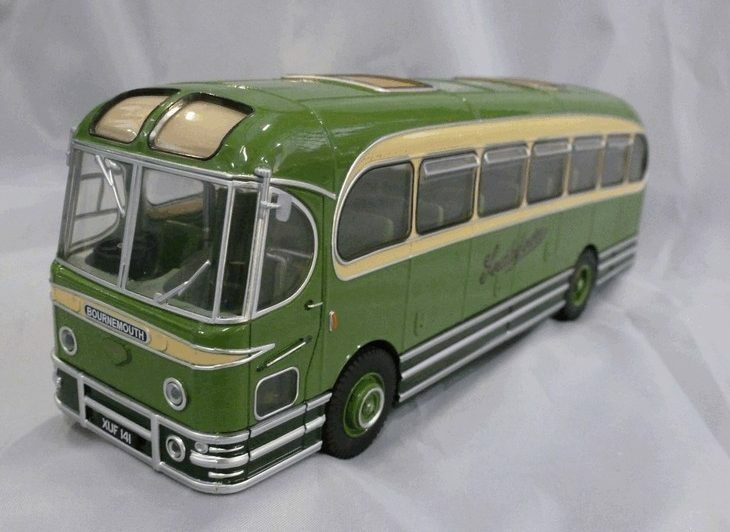 It makes one wonder if Oxford might risk a Javelin in 1:43 since they already make one in 1:76 scale which would sit well alongside this. 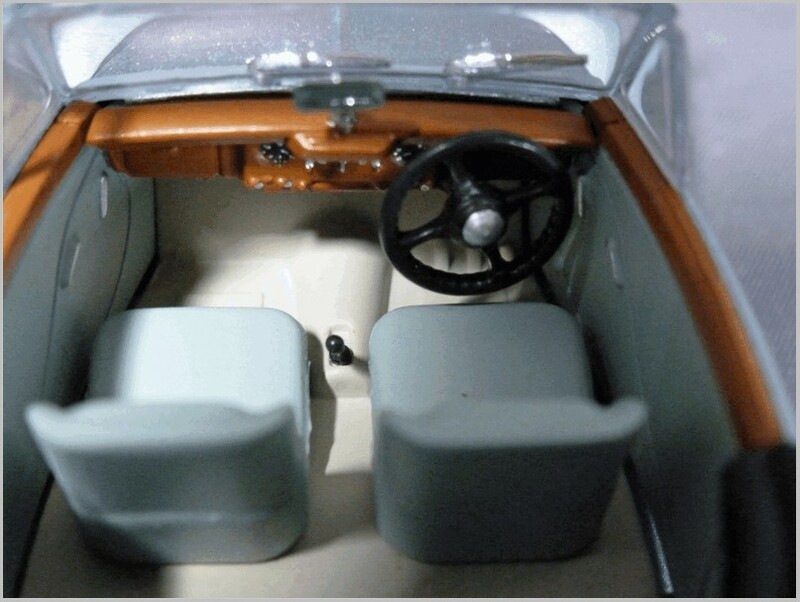 The interior shown above is impressive, with wood effect dashboard and lots of instruments moulded and printed, as well as a nicely created wood and stainless steel effect steering wheel. 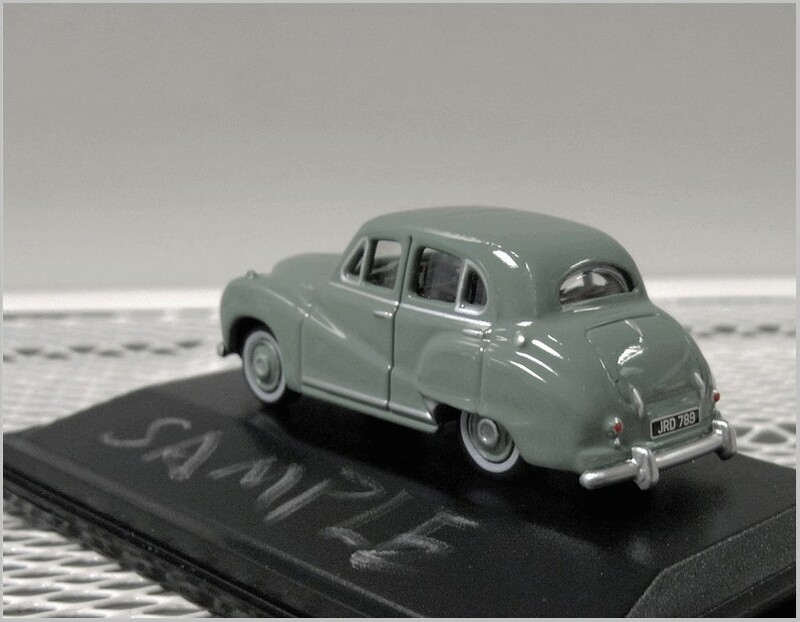 The bench seat looks like tan ‘leather’ and the moulded door cards also have printed handles. 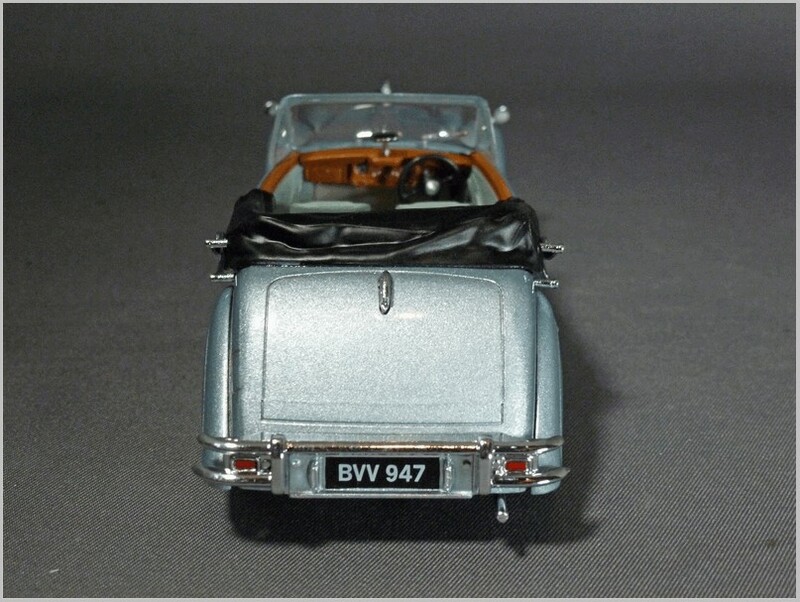 The low and sleek lines are somewhat disrupted by the hood which was always a far from sleek ‘pram hood’. 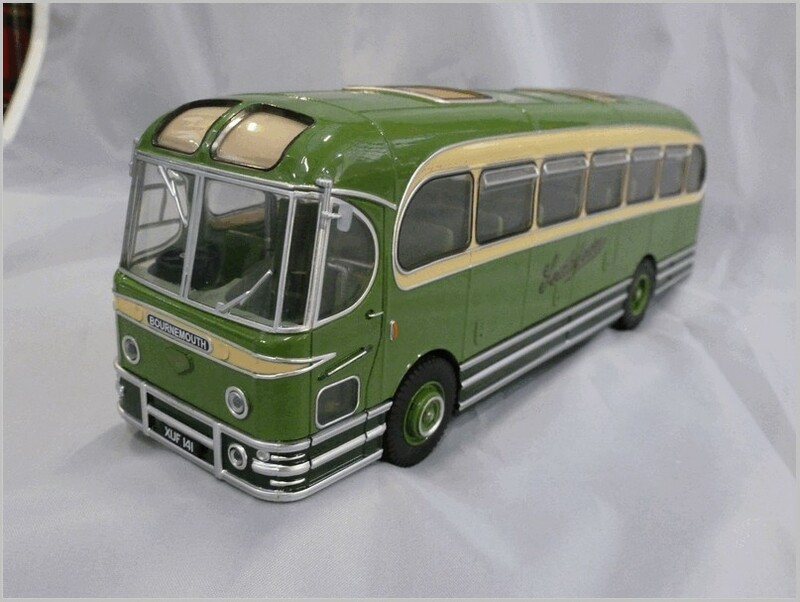 The hood and screen seem to use construction techniques seen originally on the 1:76 bus range with the upper component of hood and screen outlines being moulded in one part and then printed with hood in matt effect tan colour paint and the metal parts of the screen and door glass areas printed silver. 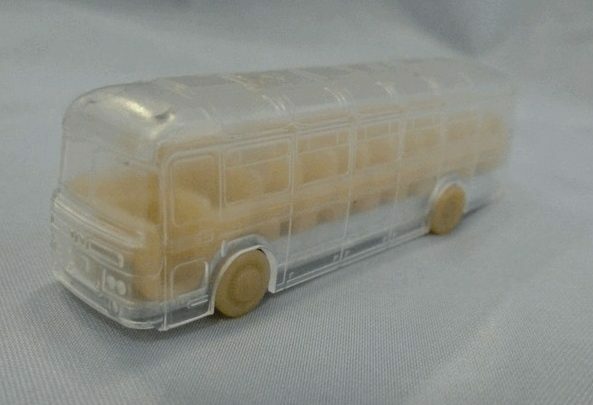 This is very effective. 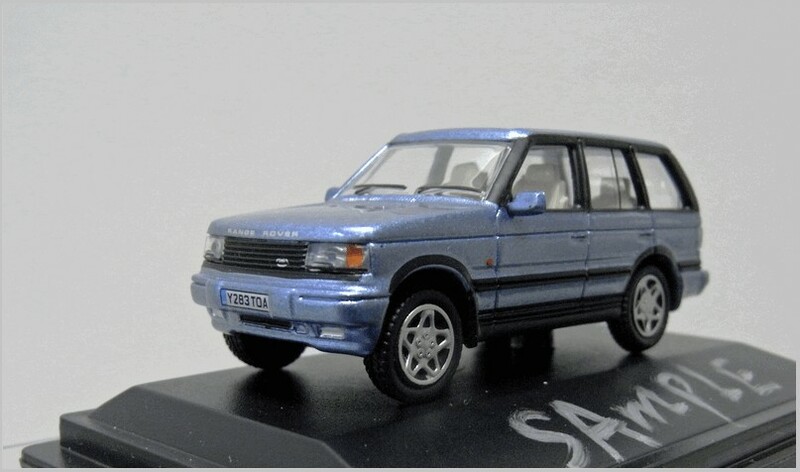 Wheels, hub caps and tyres are also very nicely done. 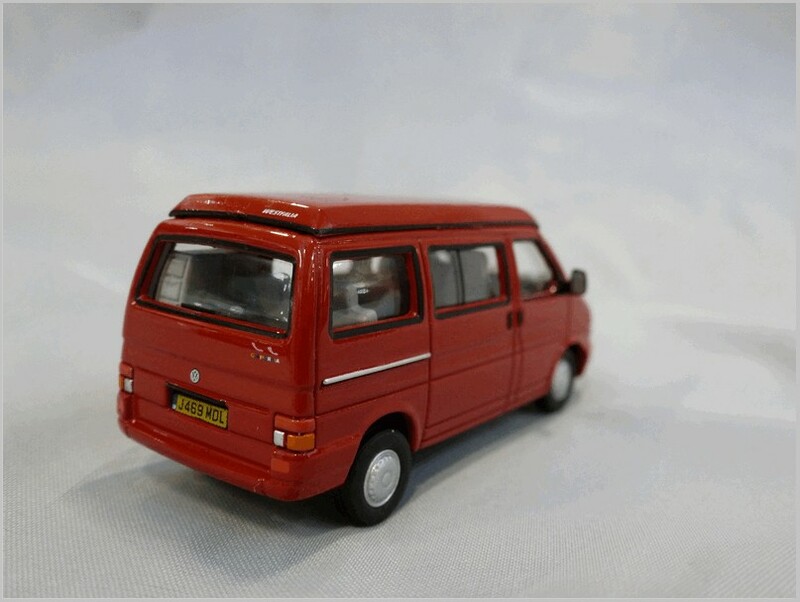 Oxford has already shown an open car at the London Toyfair so I look forward to that being made in due course, though the next release will be another hood up car in red. 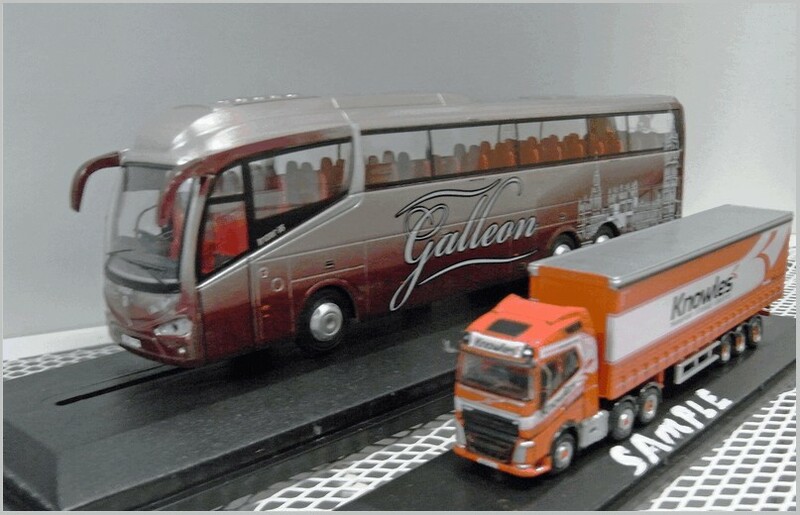 It will also perhaps appear next year in 1:76 scale, as many 1:43 scale cars have made that migration, and it will sit nicely next to their 1:76 scale Jupiter. 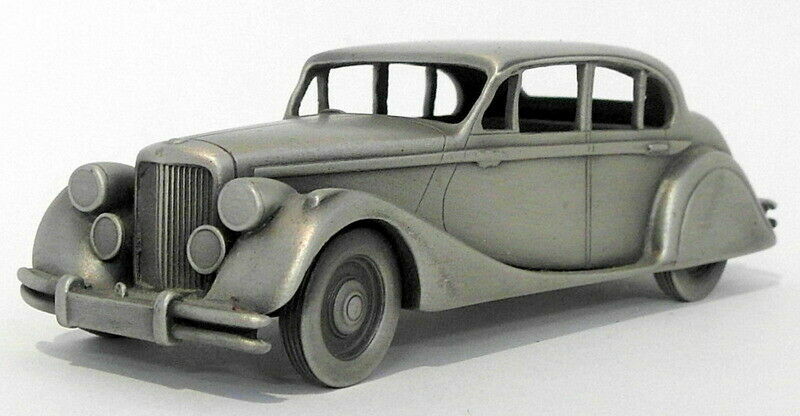 All in all a nice model of a subject which has been produced in white metal by Mikansue, ODGI Toys, Pathfinder, and Brooklin. 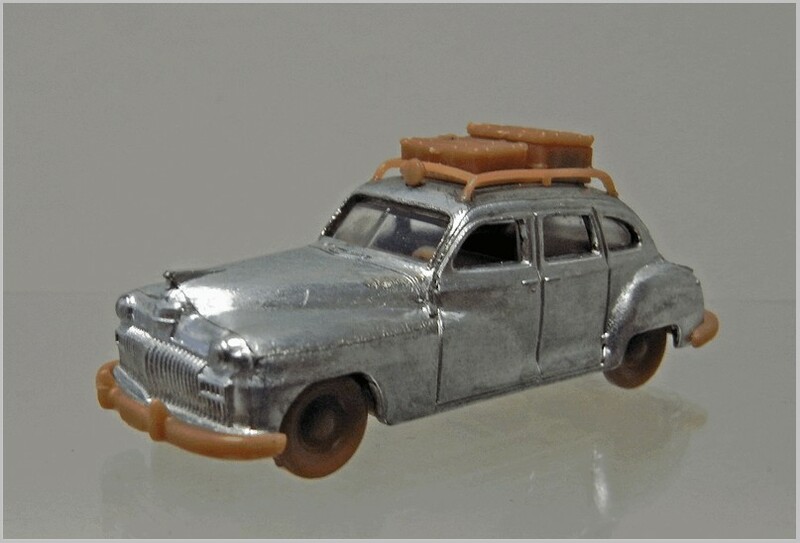 But this is its first appearance in an affordable mainsteam range. 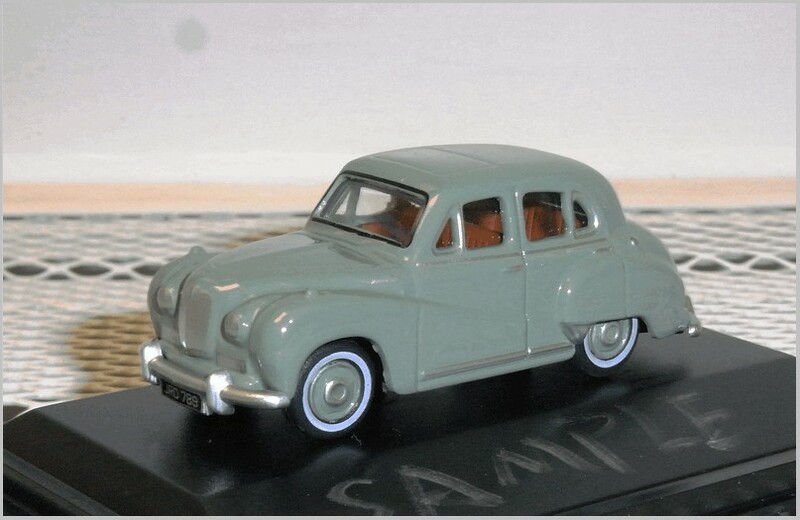 The Austin A40 Somerset was made for only two years replacing the more traditional A40 Devon and was in turn replaced by the much more up to date unibody A40 Cambridge. 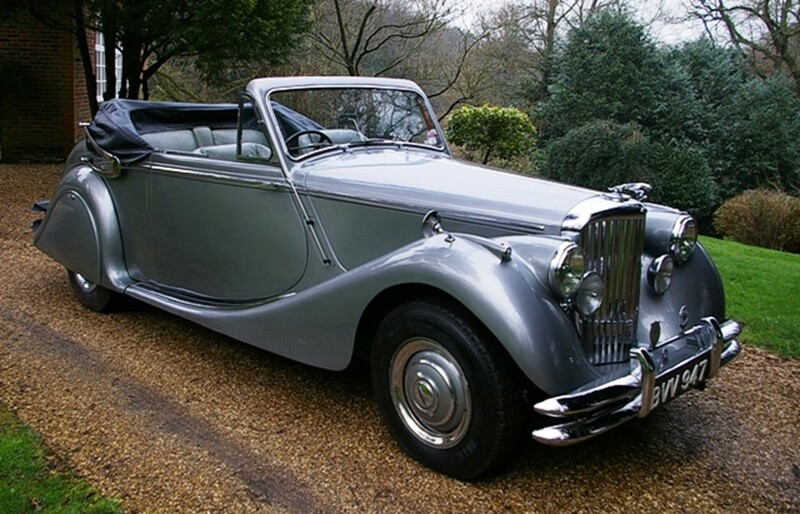 In essence the Somerset was a re-bodied Devon with a more highly tuned engine and styling similar to that of the larger A70 Hereford supposed to appeal to the American buyer as the UK was trying to export as much as possible to help it pay off its war debt. 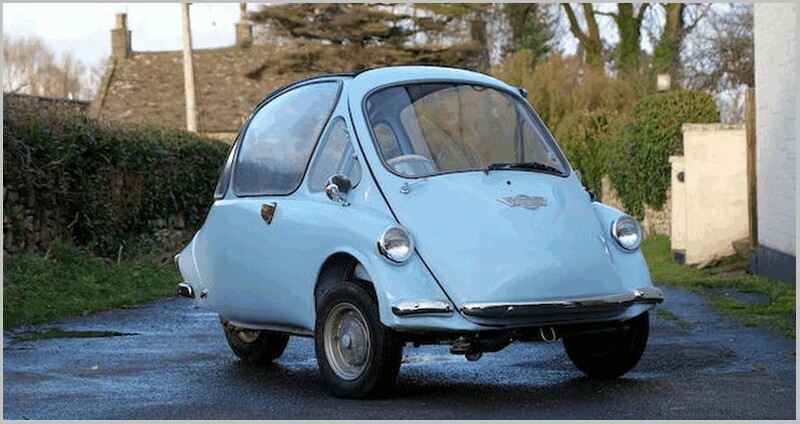 Powered by a 1.2 litre engine it could just reach 70mph. 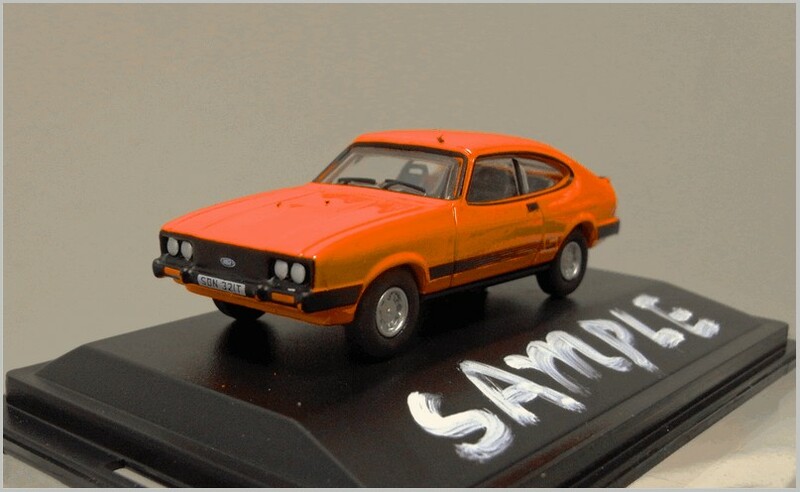 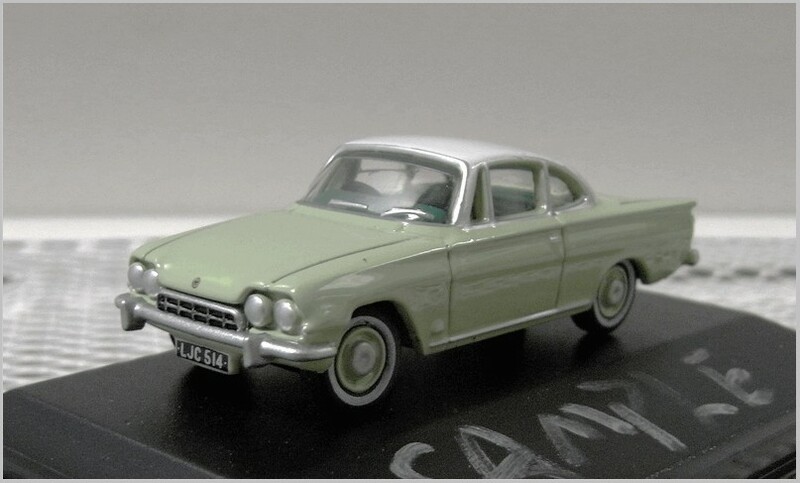 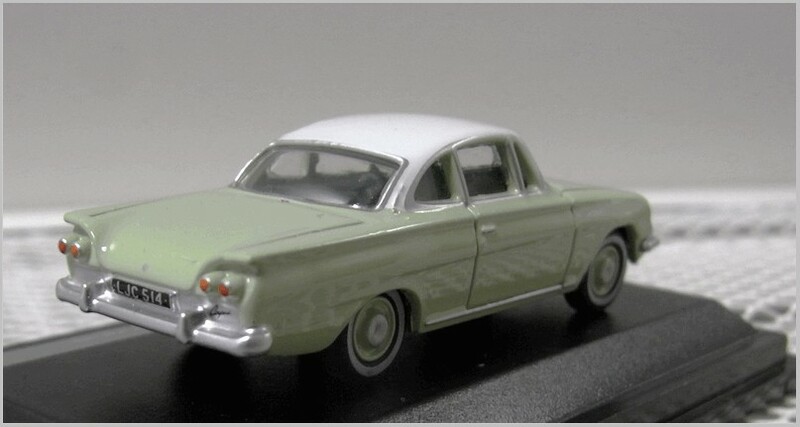 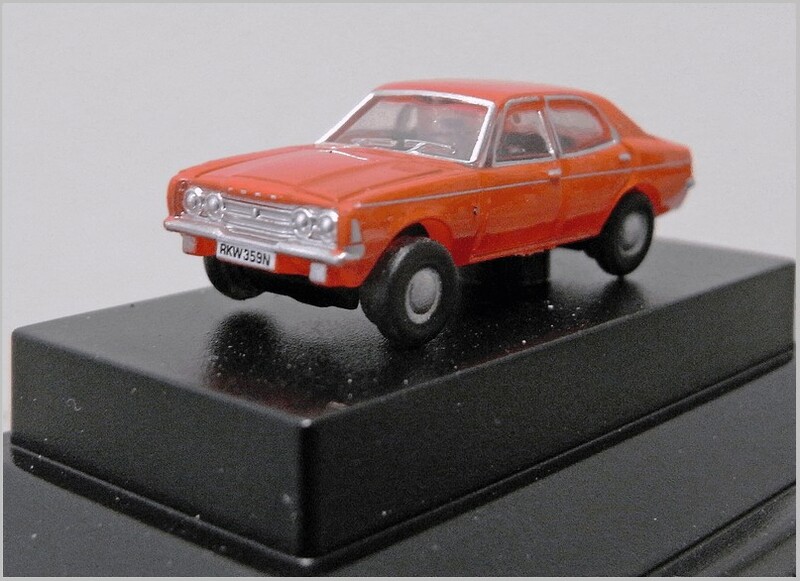 The Devon was modelled in the Classix range to 1:76 scale in two and four door forms and was a very good model of that car, better in some respects than this more recent Oxford Diecast. 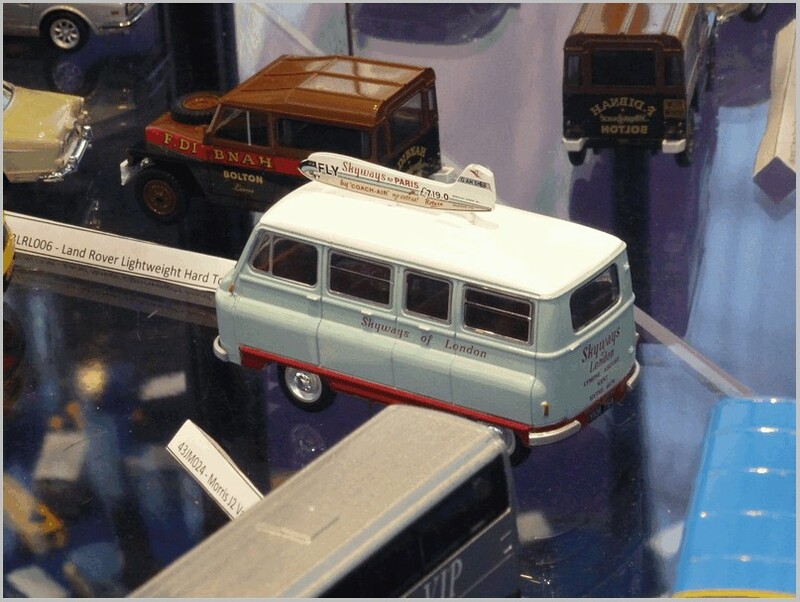 Most readers will be familiar with the contemporary Dinky Somerset #161 and the more recent Lansdowne in 1:43 scale. 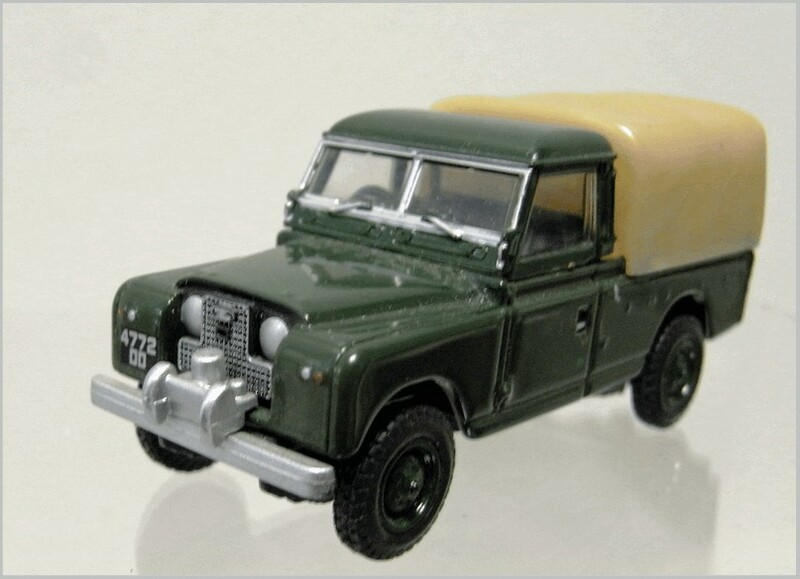 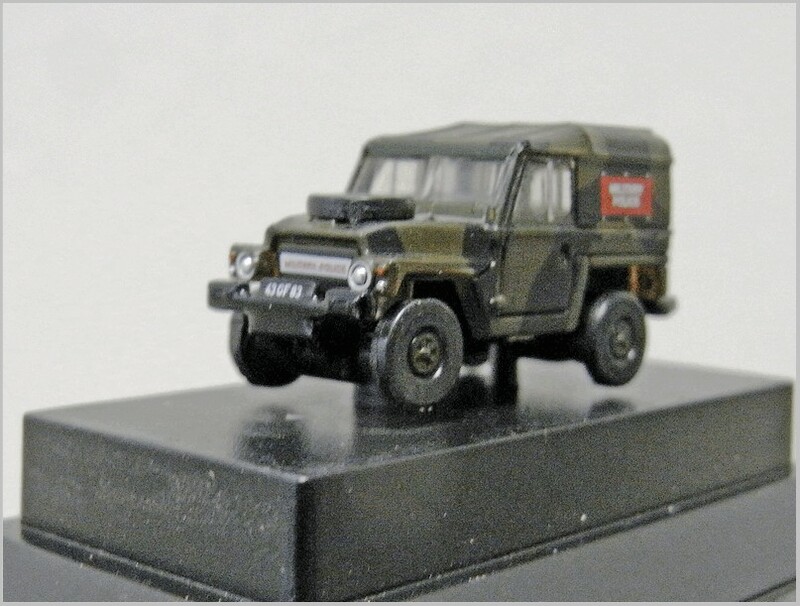 As far as I am aware no contemporary small scale model was made and although John Day Vehicle Scenics made the A70 I don’t think any other modern 1:76 scale model of the Somerset has been made. 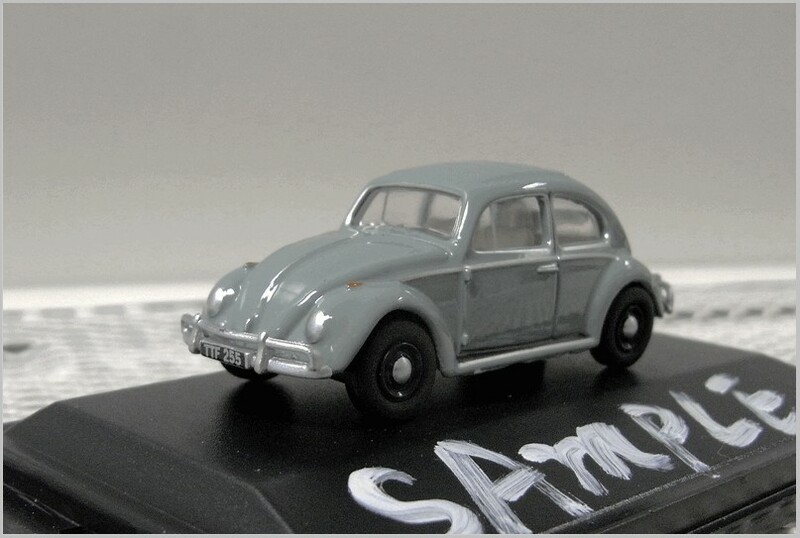 These models have been long awaited and have certainly caught the rounded shape and flowing lines of the original well. 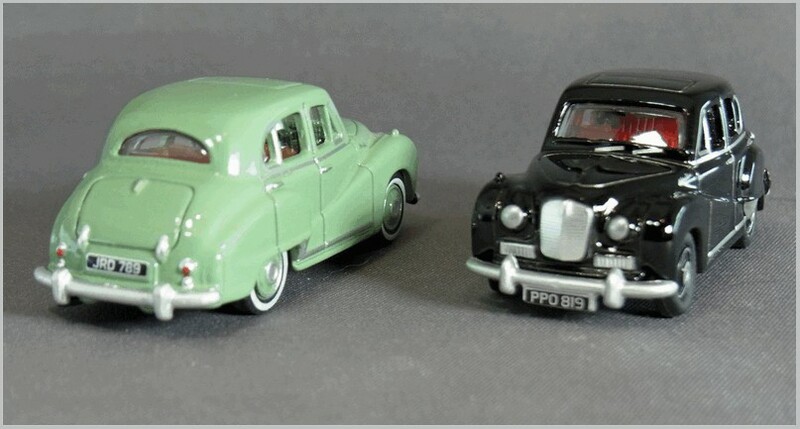 Viewed from the type of distance we usually look at them they are good models, certainly for their price. 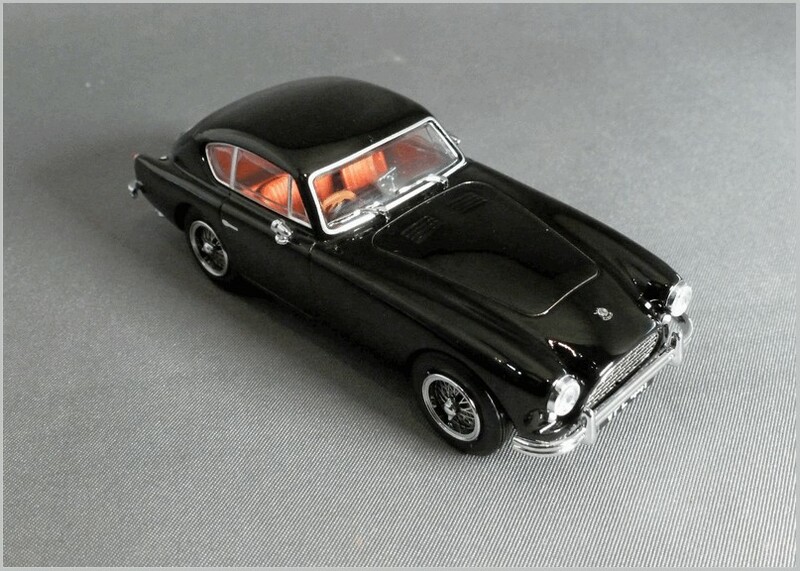 The black model was issued first and is typical of most of these cars, In a sombre colour with normal tyres. 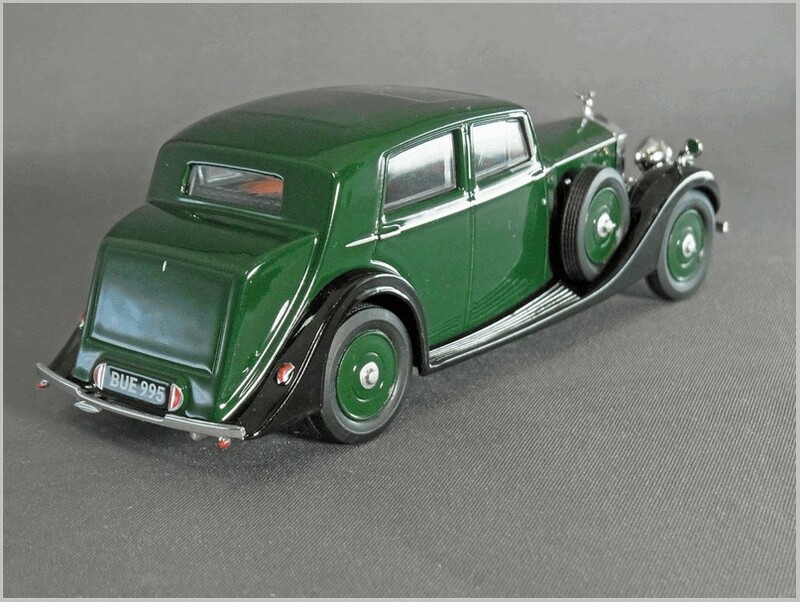 The green model has fancy white walls which would not have been common at the time though are entirely accurate for the car carrying that registration plate although it lacks the headlight peak accessories fitted to that car. 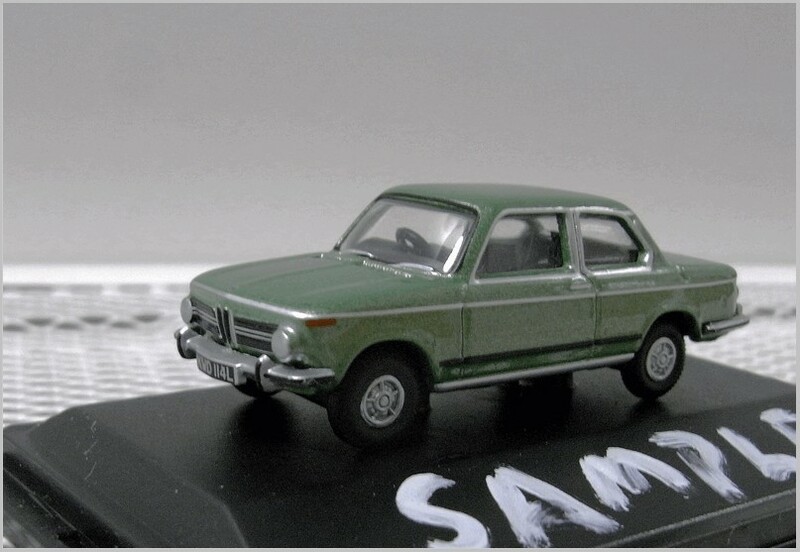 The green car’s printed black screen surround merely emphasises the thickness of the casting and would have been better left off altogether. 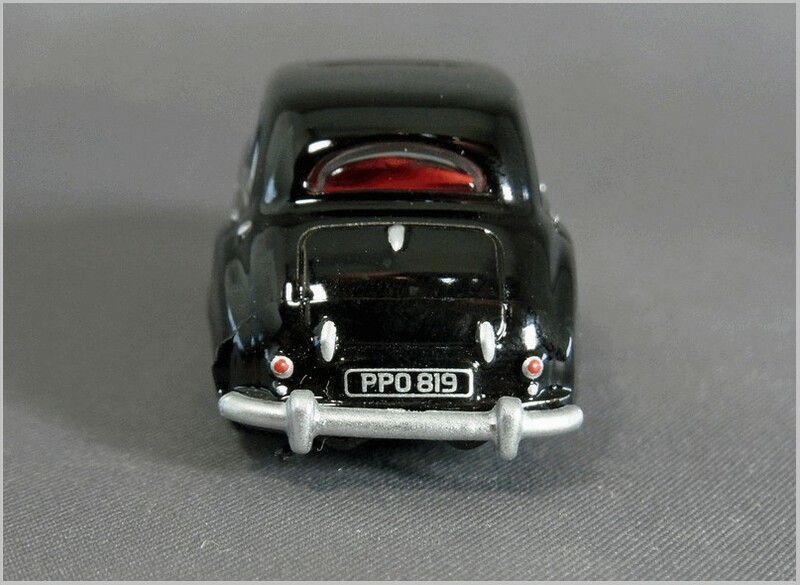 One puzzle is the rear lights where the lower light appears to be a red reflector on real cars and not a silver disk as printed on the model. 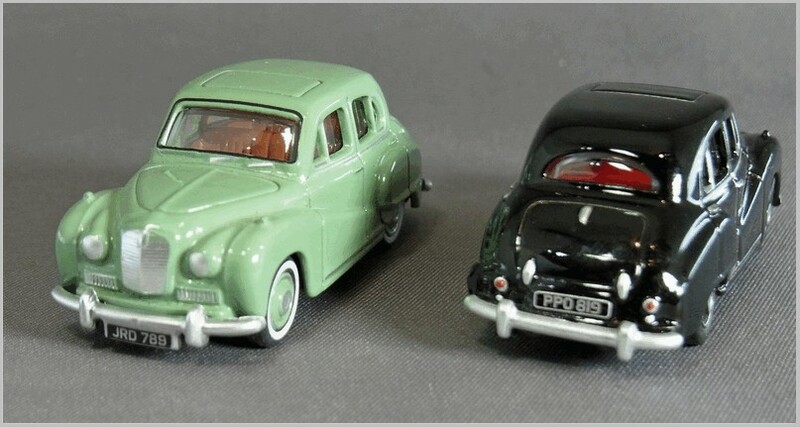 The interior is simply moulded in red for the black car and brown for the green car. 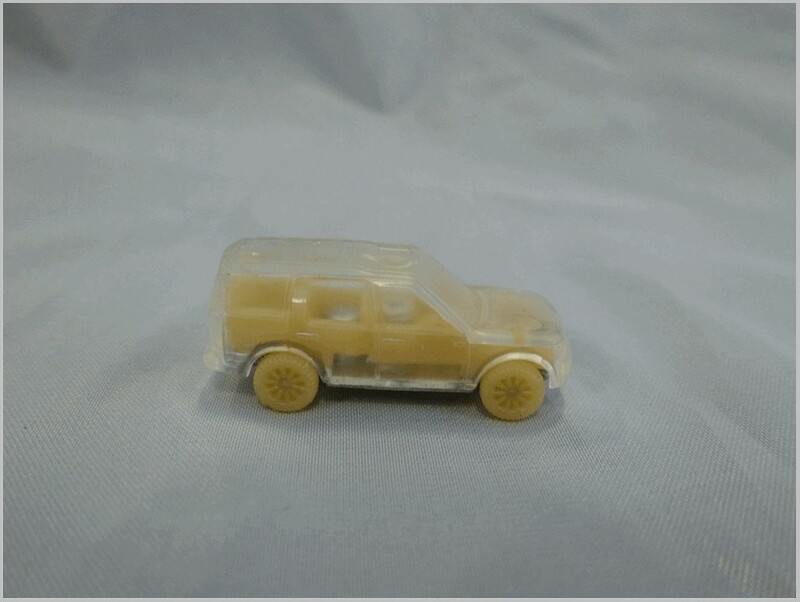 Door cards are included but seem to lack any moulded in fittings. 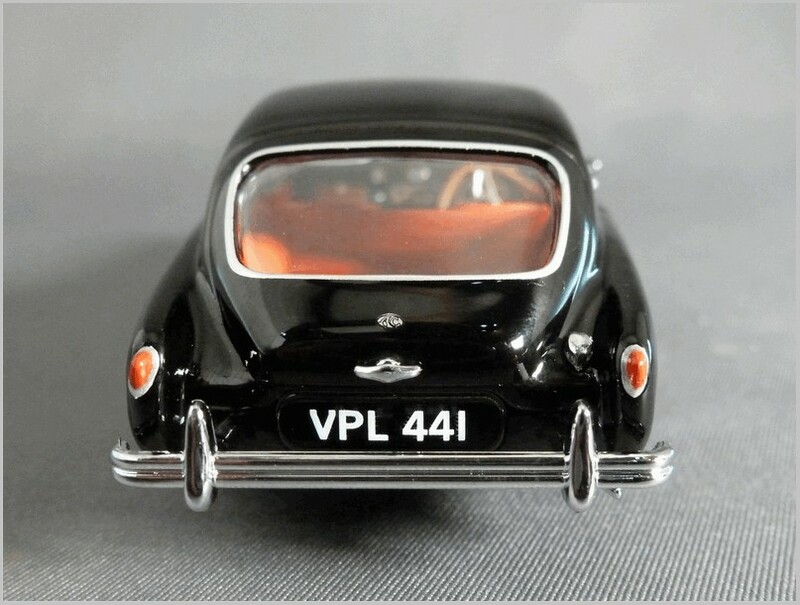 The dashboard has limited moulded details but adequate for this scale. 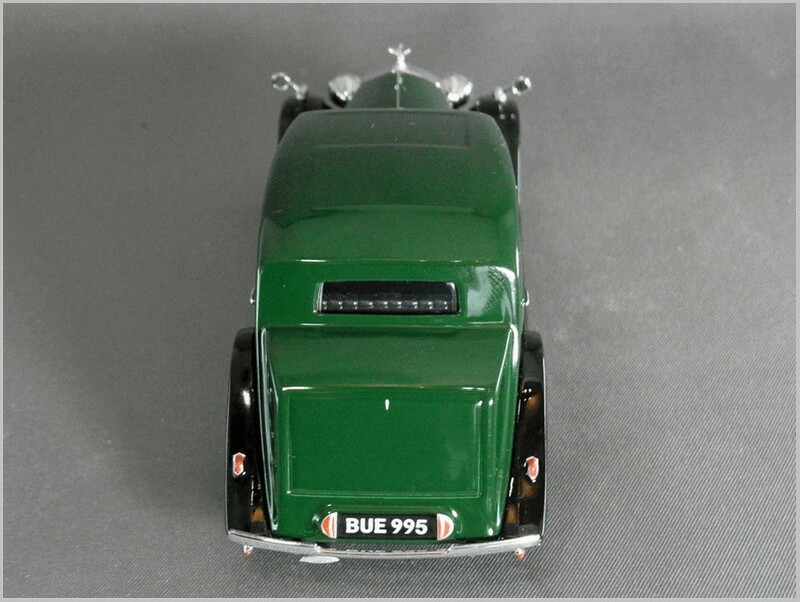 Frustratingly the Austin of England script along the bonnet side is not printed straight on my models and keeps catching my eye. 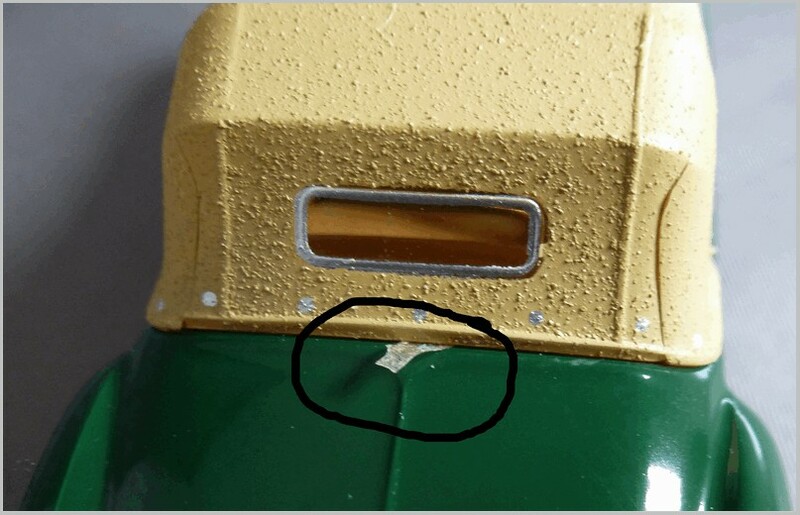 Another issue is the large vertical mould mark on the rear wing which can be seen on the model above. 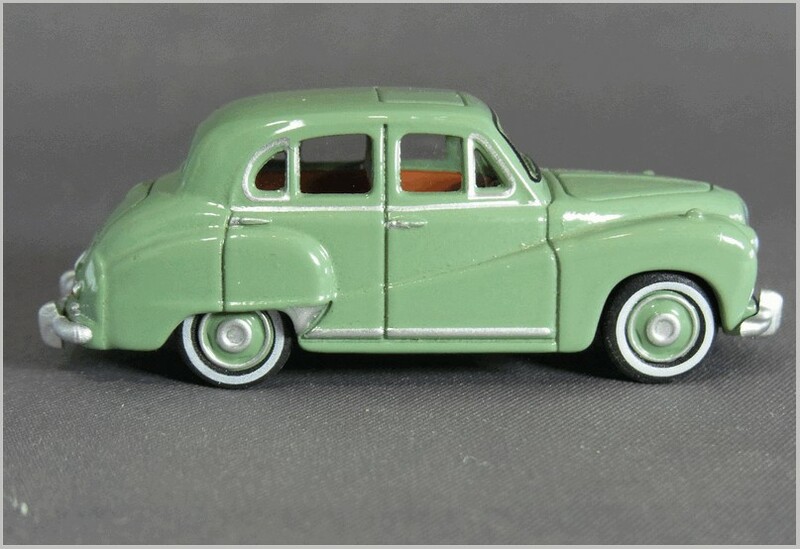 This is only the case on the driver’s side and appears on both the green and black cars. 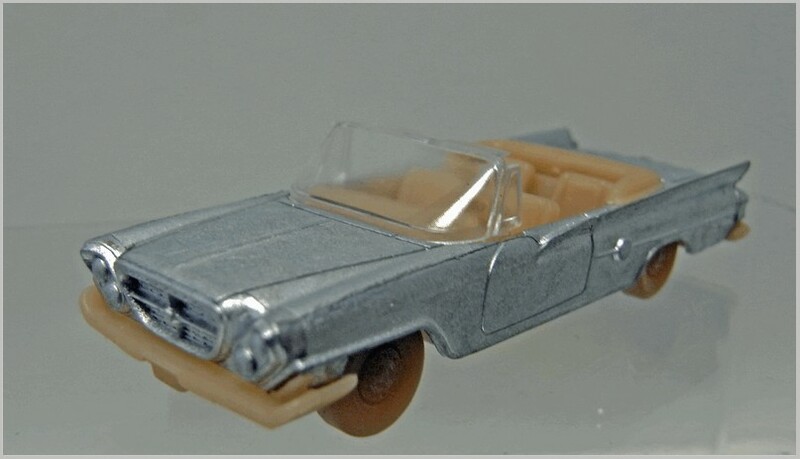 There is a silver printed side chrome strip and quarter lights. 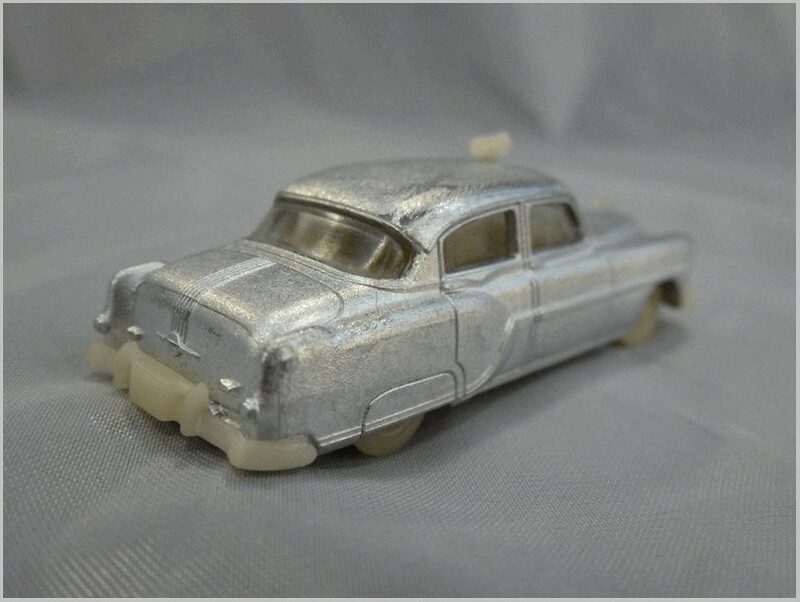 Again the printed quarter lights emphasis the depth of the casting and might have been better left off. 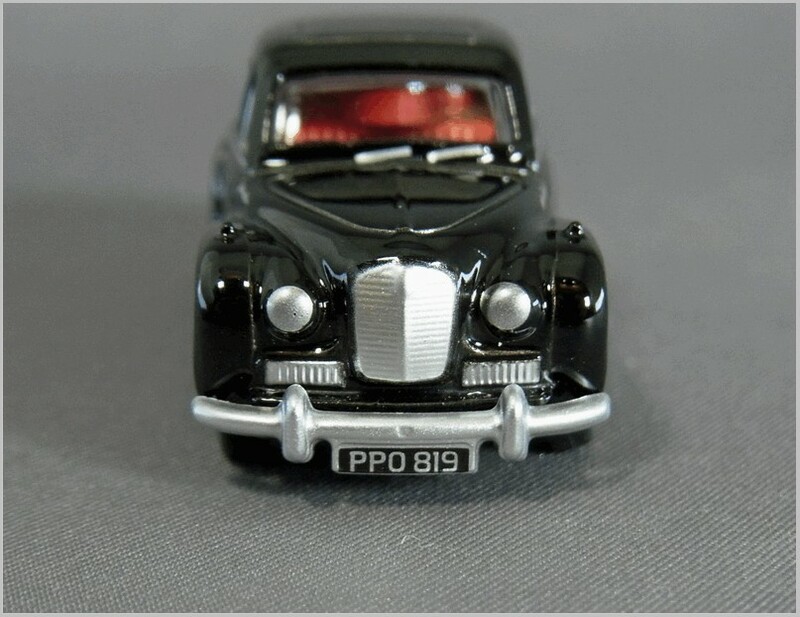 The front end captures the car very well but the Austin badge is missing off the grill centre which would have broken up the large expanse of silver and there is no attempt to model the flying ‘A’ mascot on the bonnet. 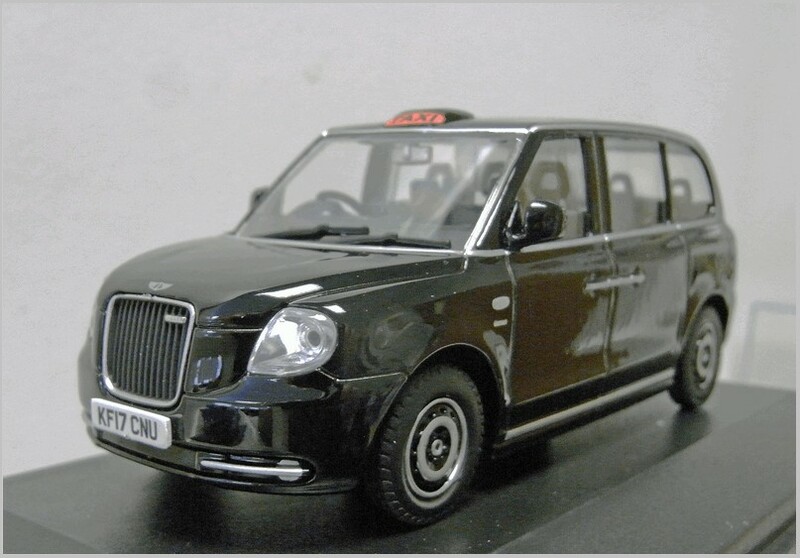 The grille could also do with a black wash but at this price point that is perhaps too much to expect. 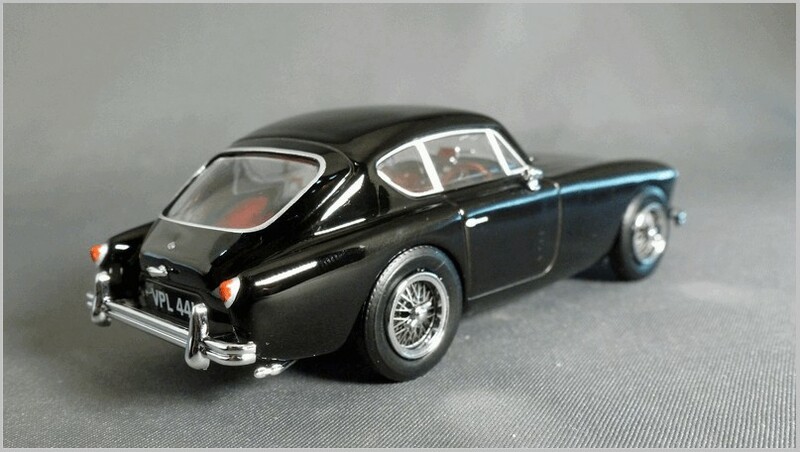 Another view of the rear showing the neat number plate, but also the substantially overscale boot hinges. 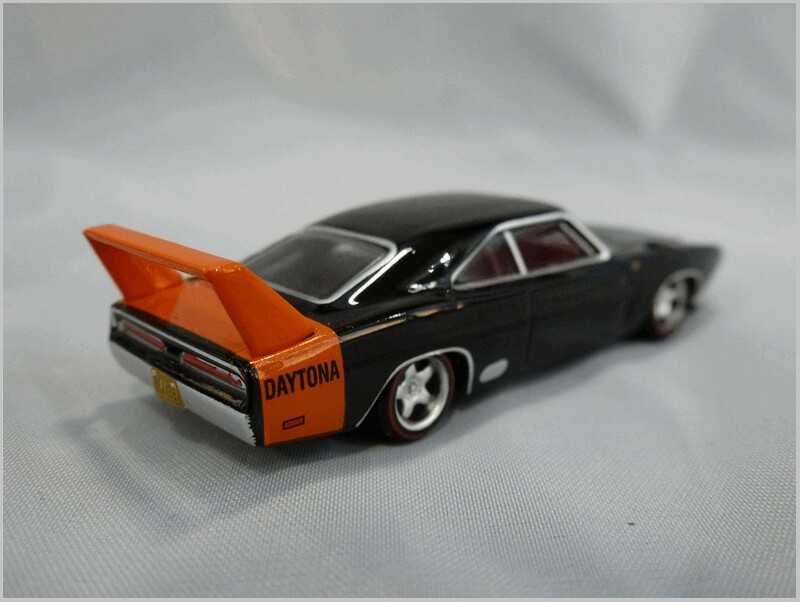 The front of the Black version has higher contrast and looks better though it is more noticeable that the sidelights on the wing tops are left unpainted whereas on the original car they were silver. 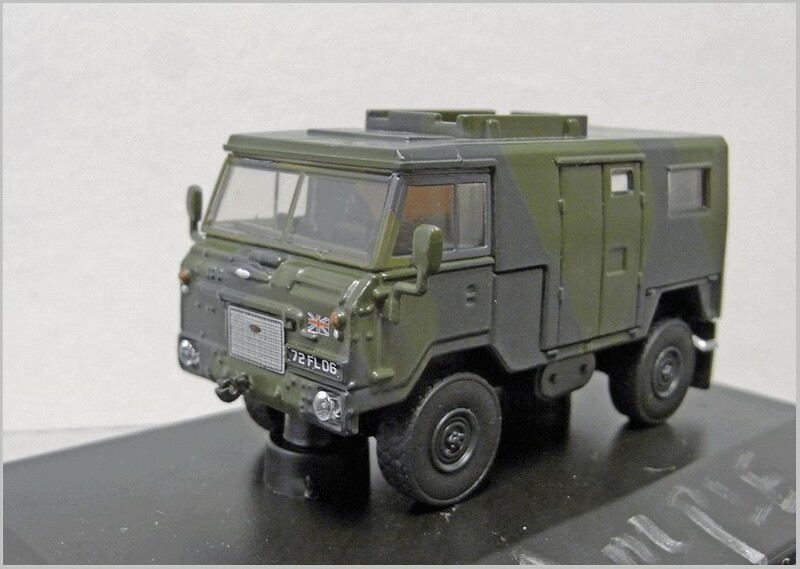 Again the boot hinges look much too large on the black version. 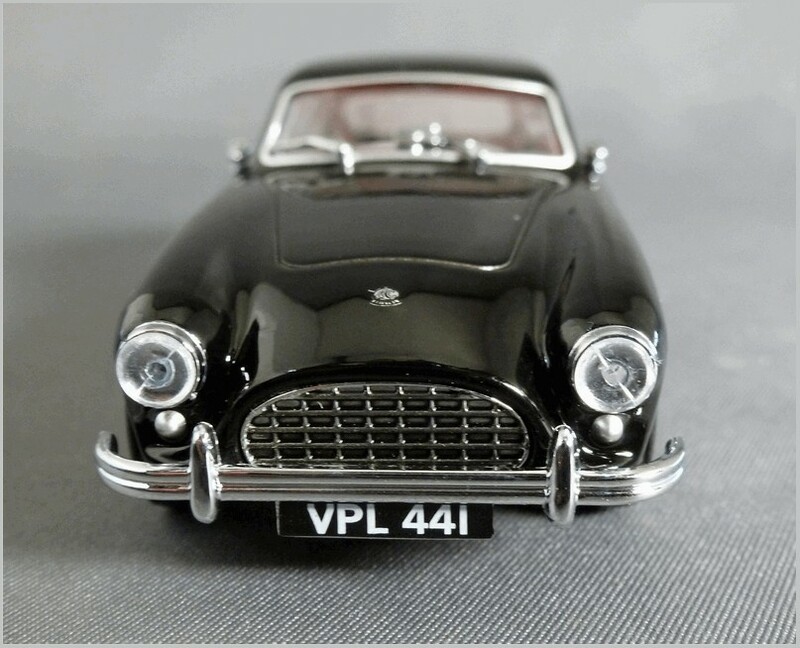 Searching the web using the number plates shows the real cars exist and that these models capture the originals well and show most of their features if not all. 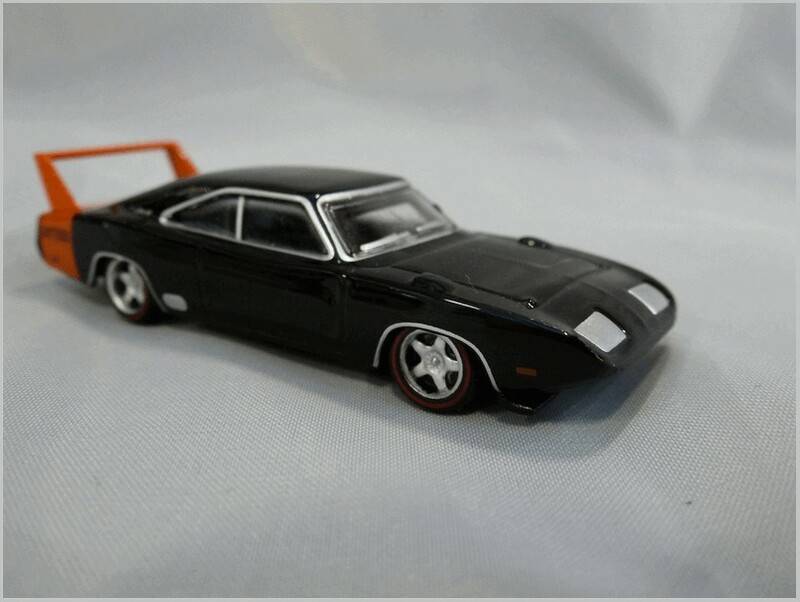 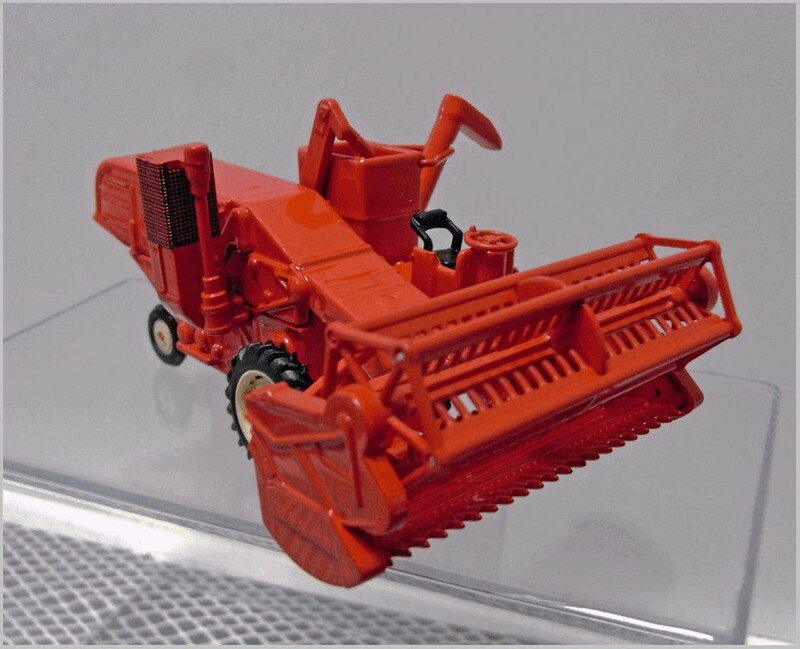 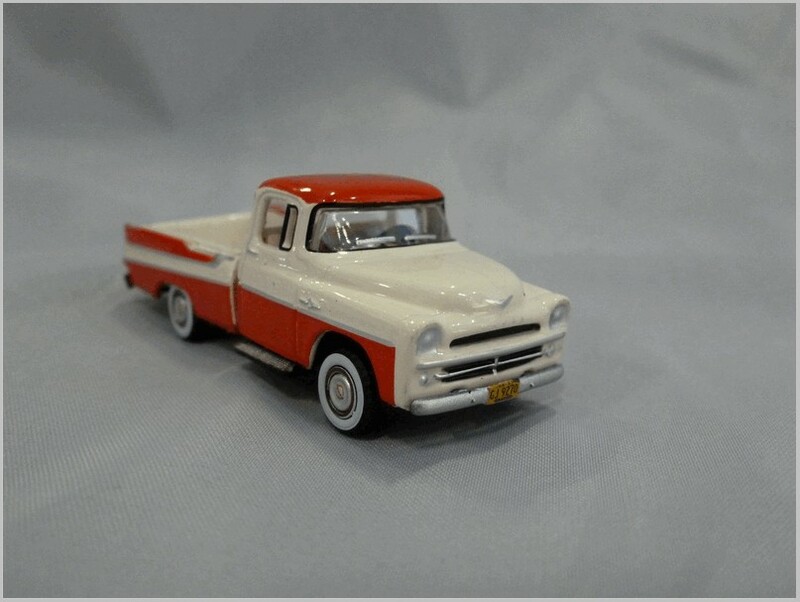 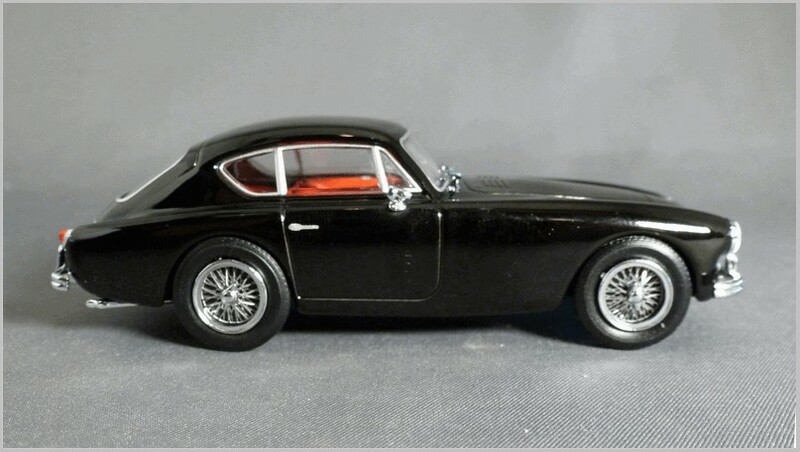 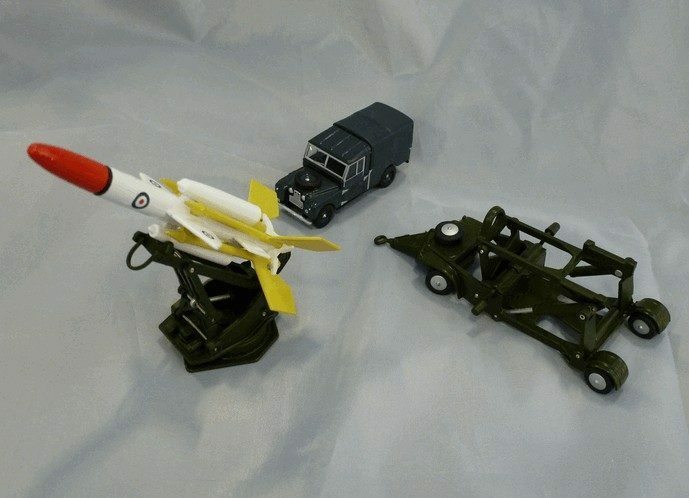 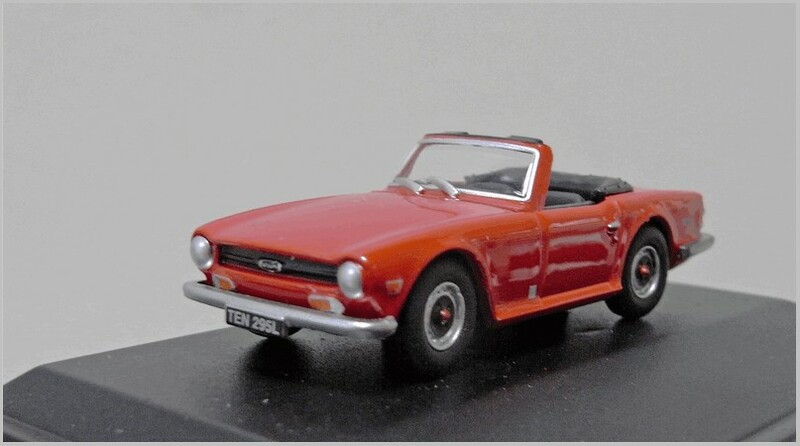 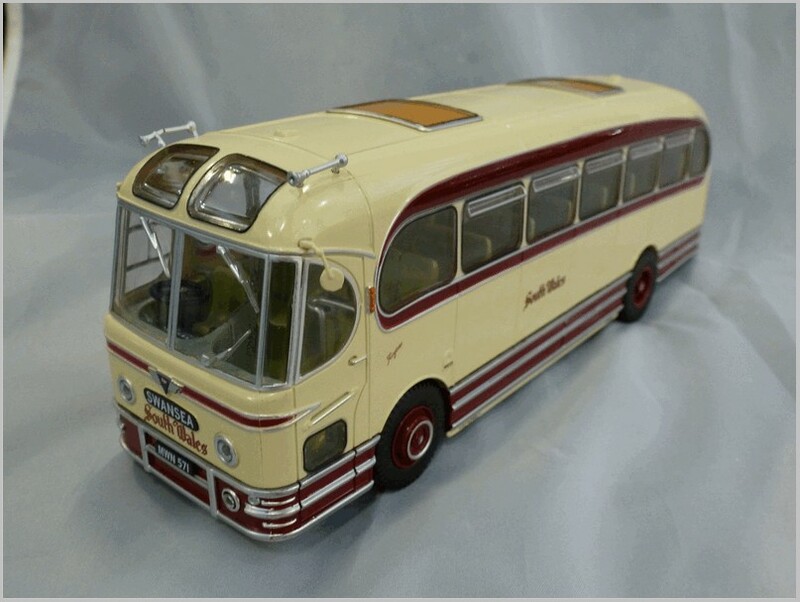 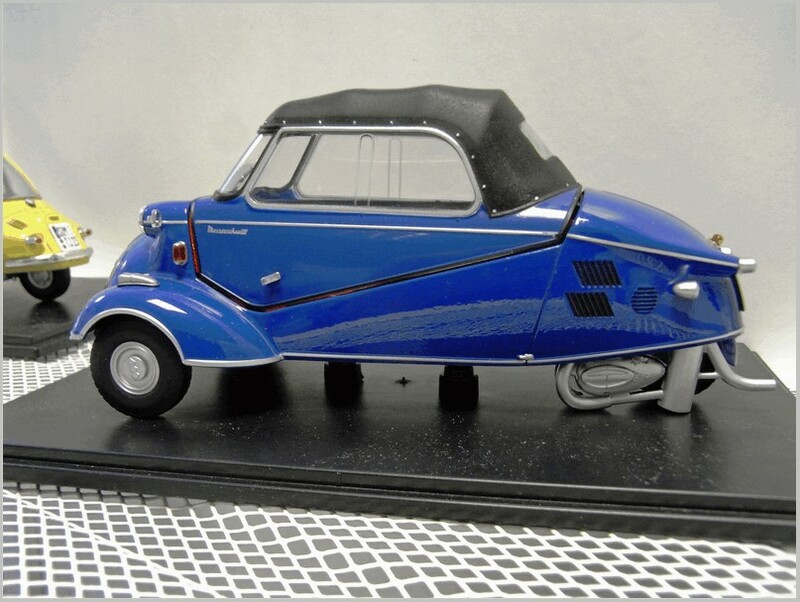 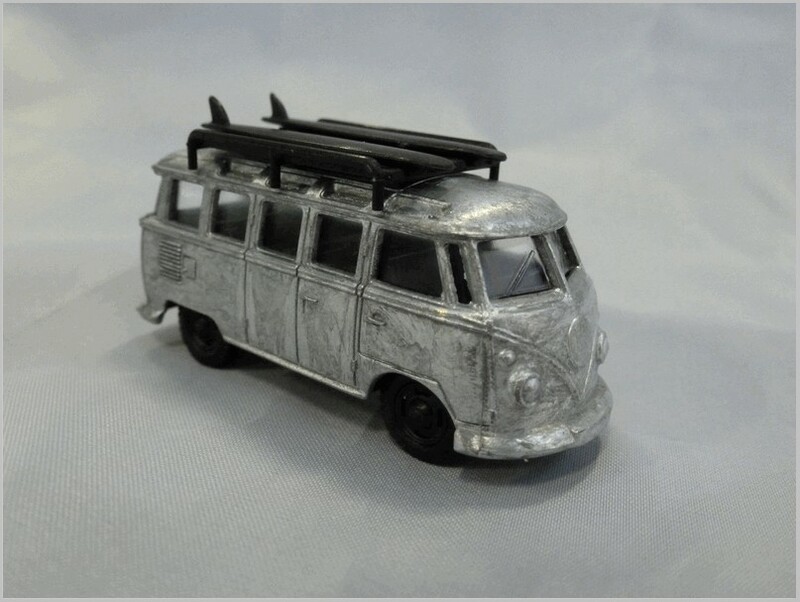 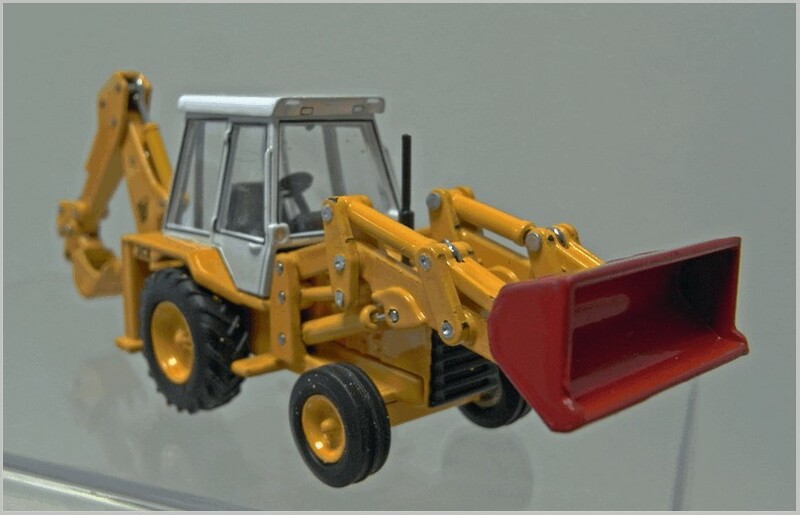 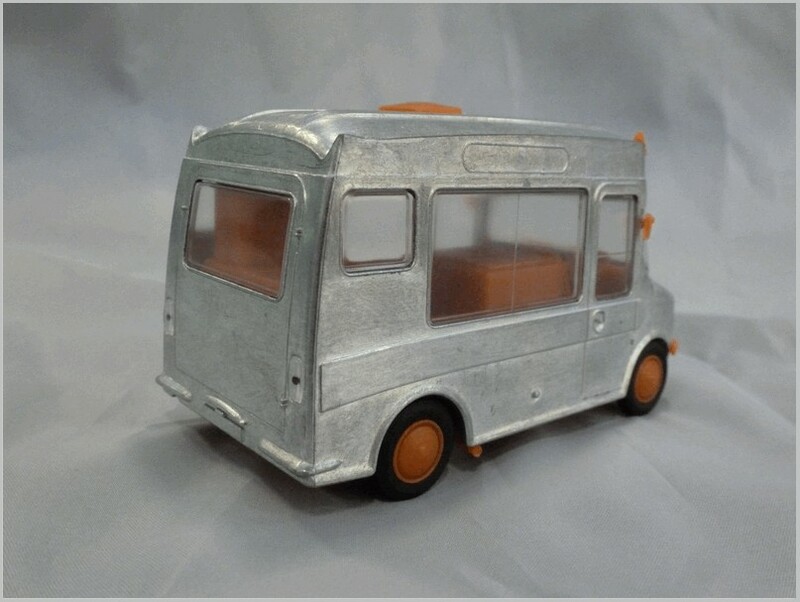 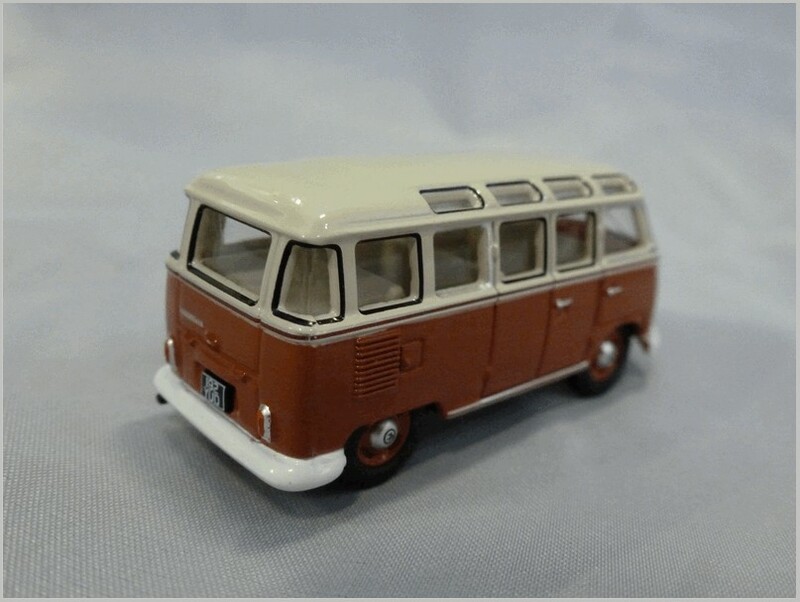 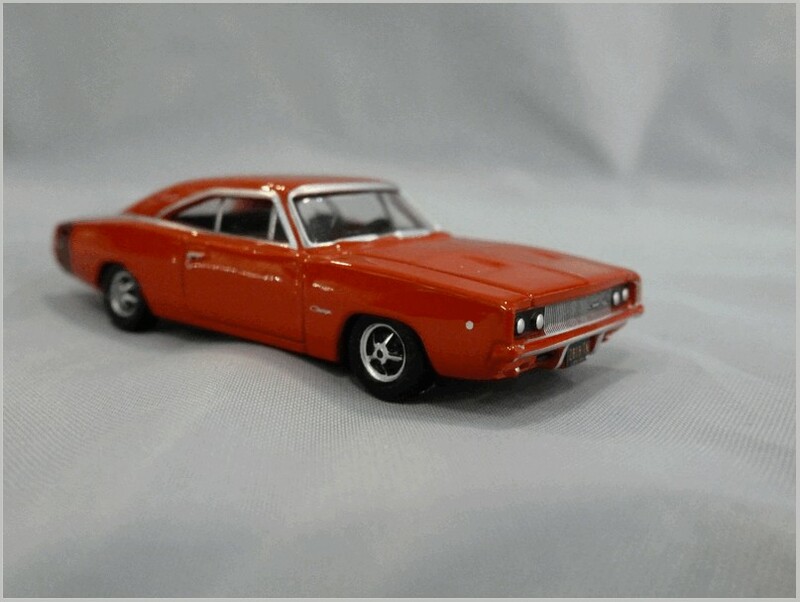 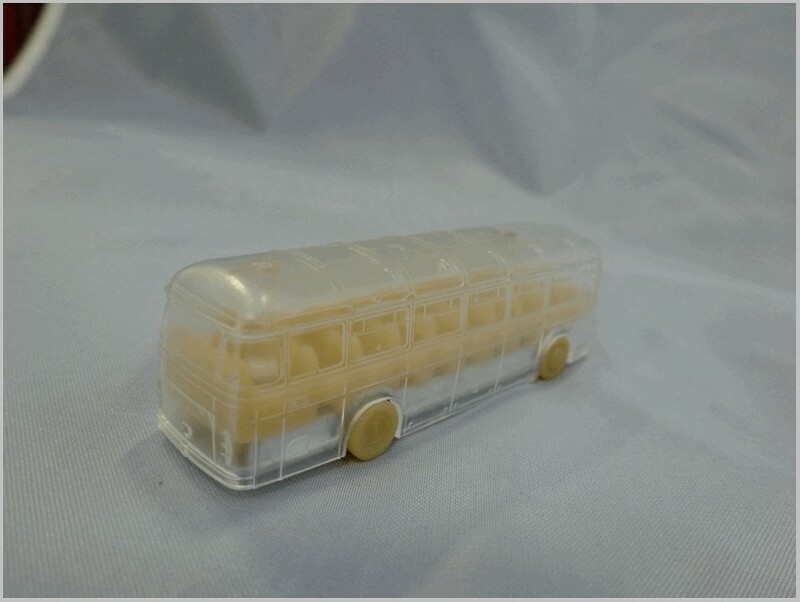 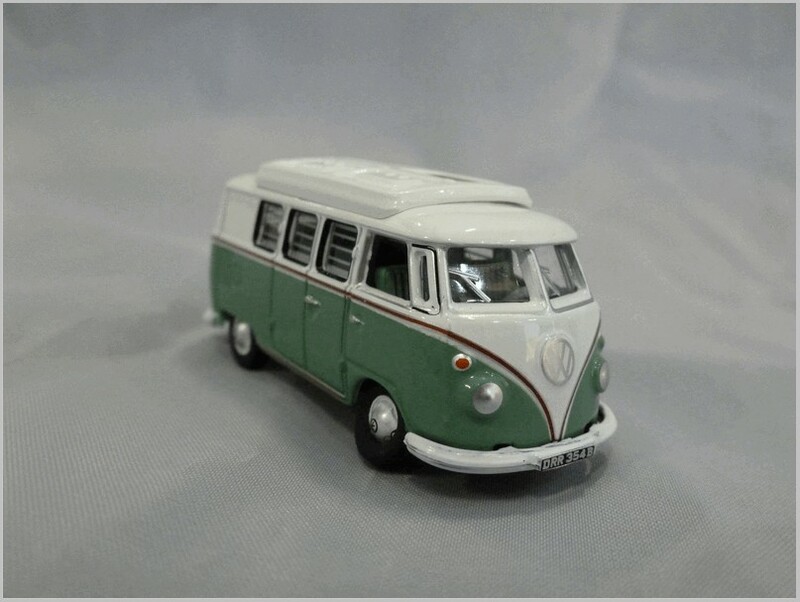 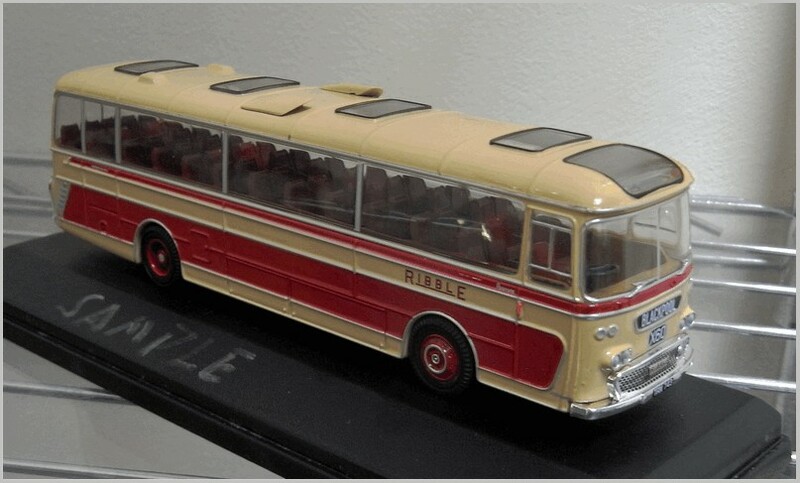 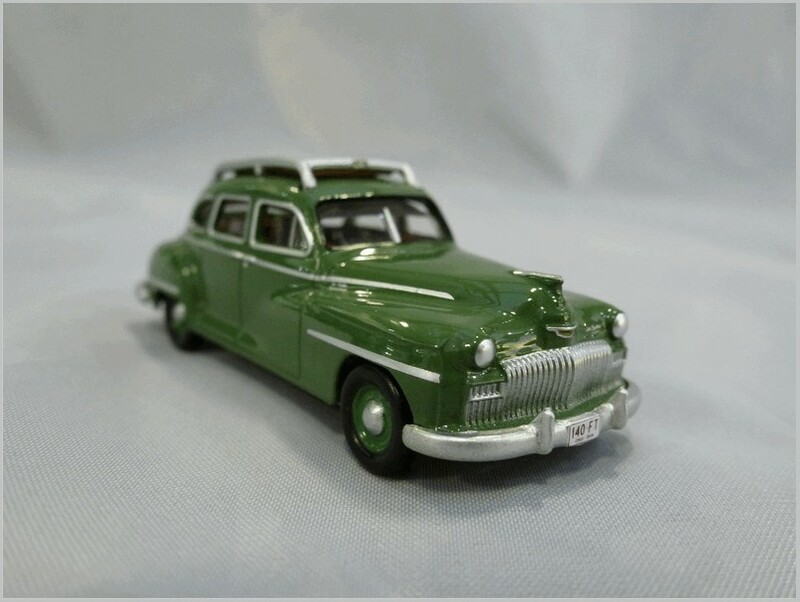 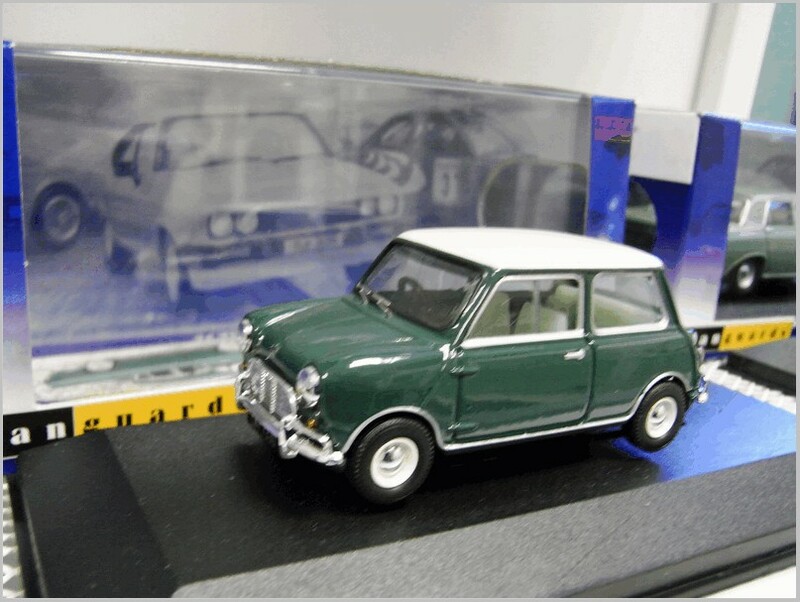 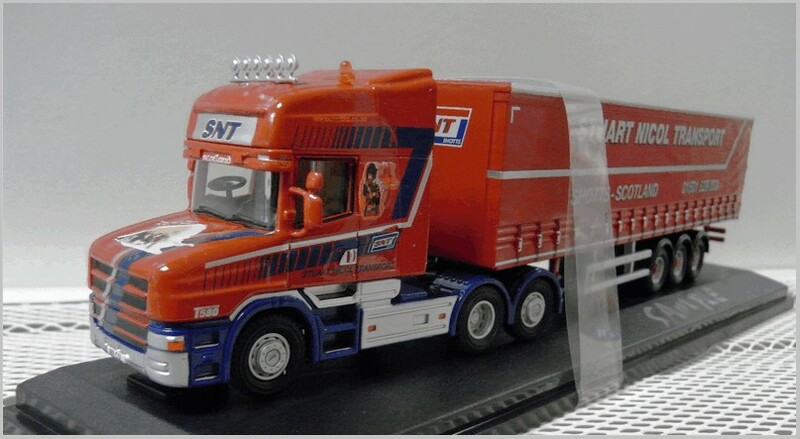 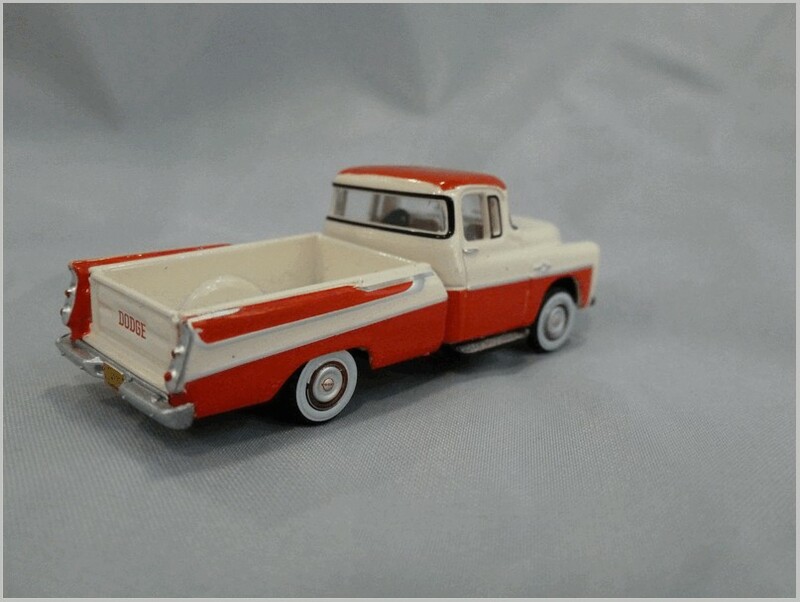 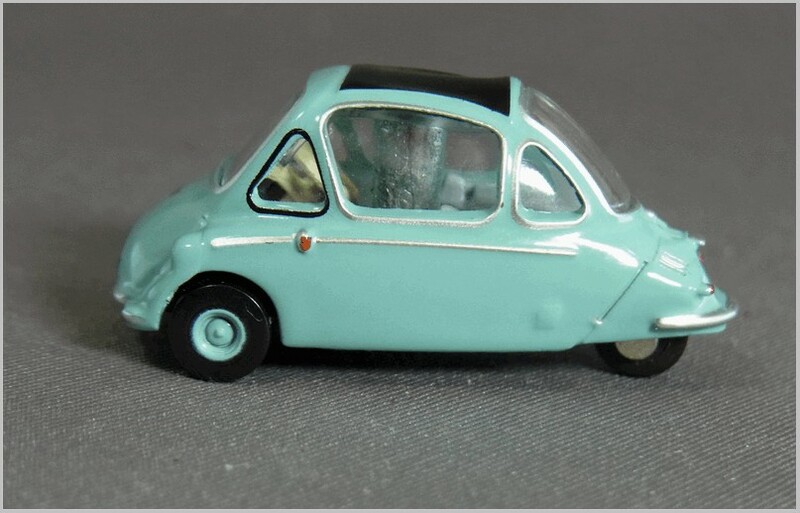 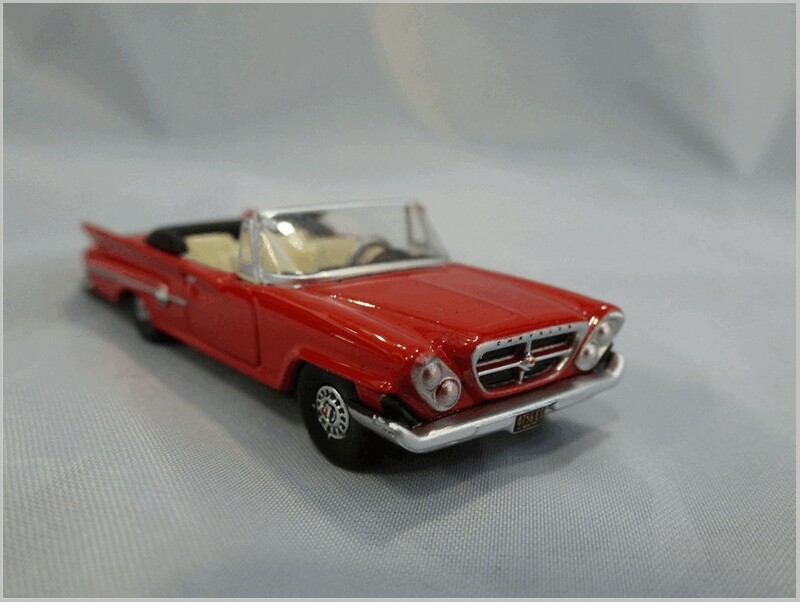 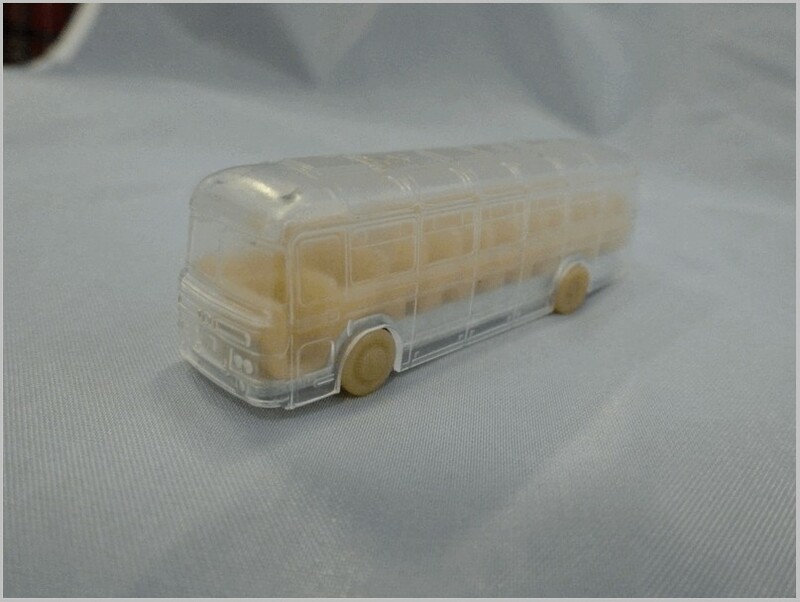 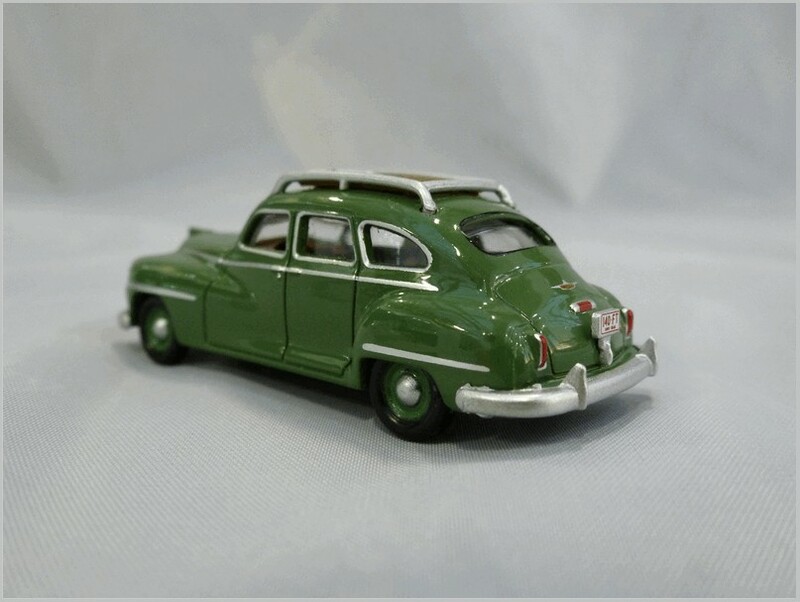 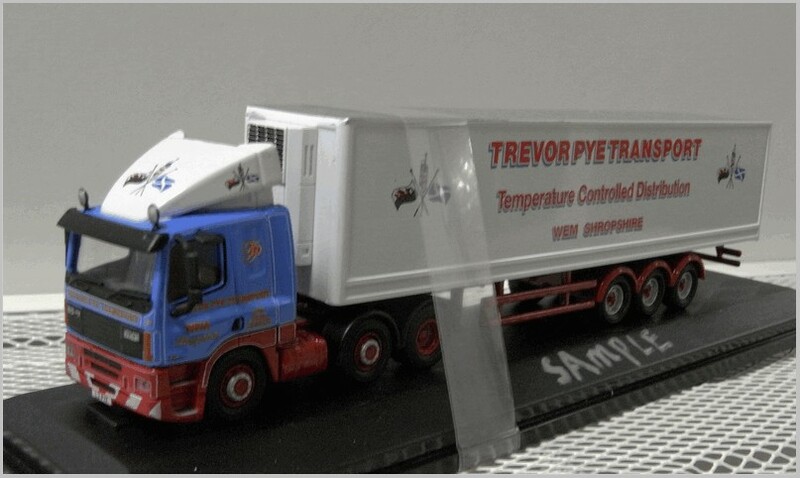 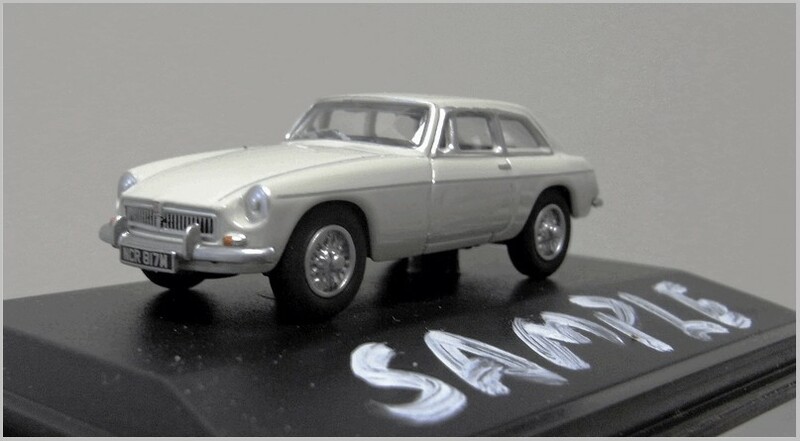 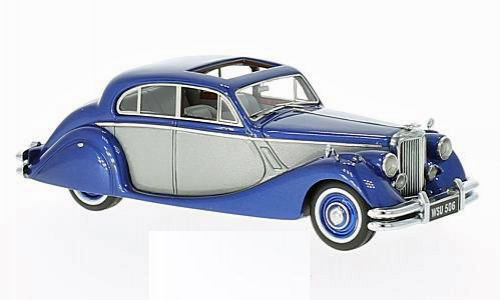 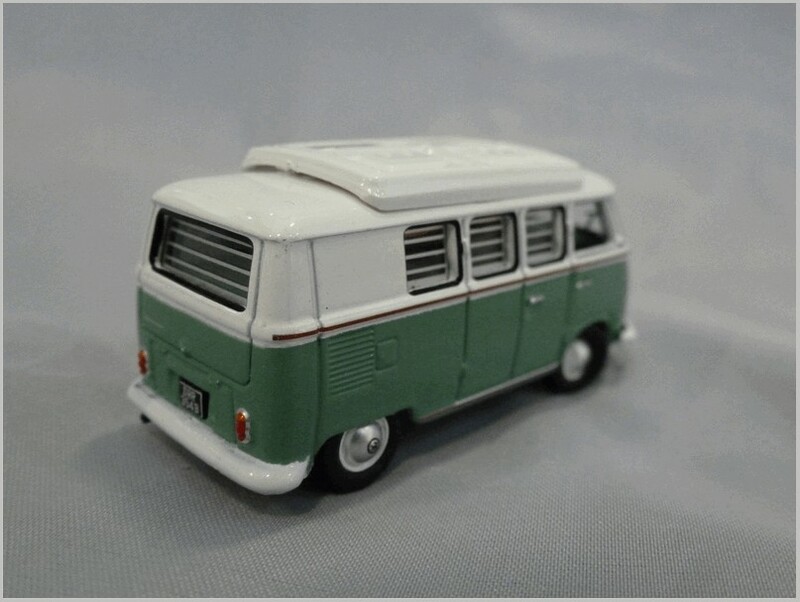 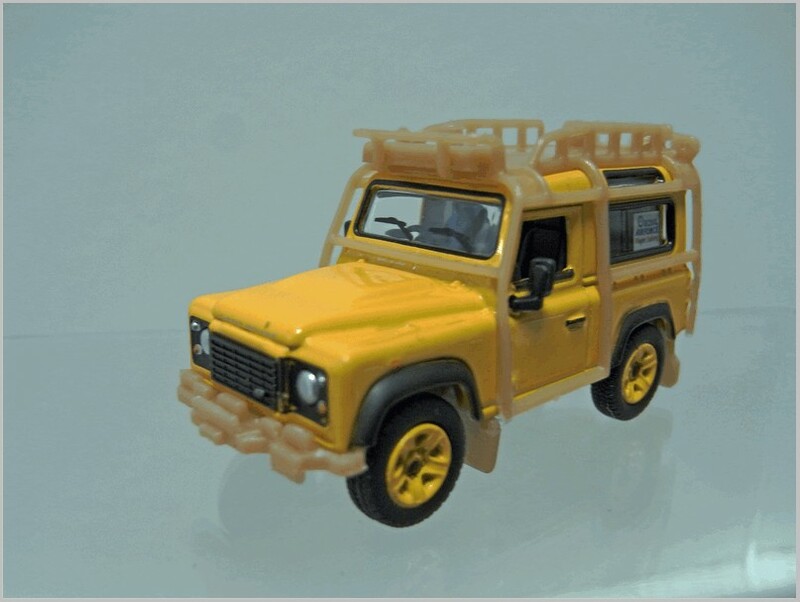 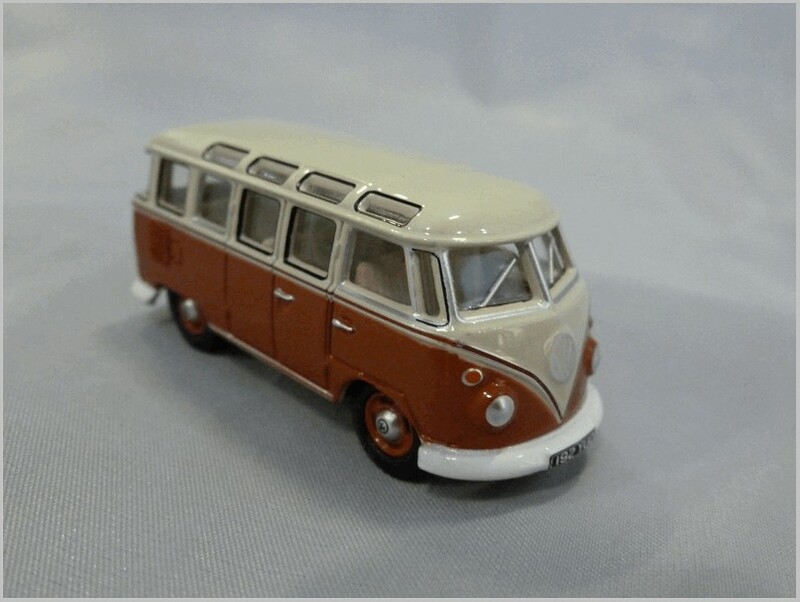 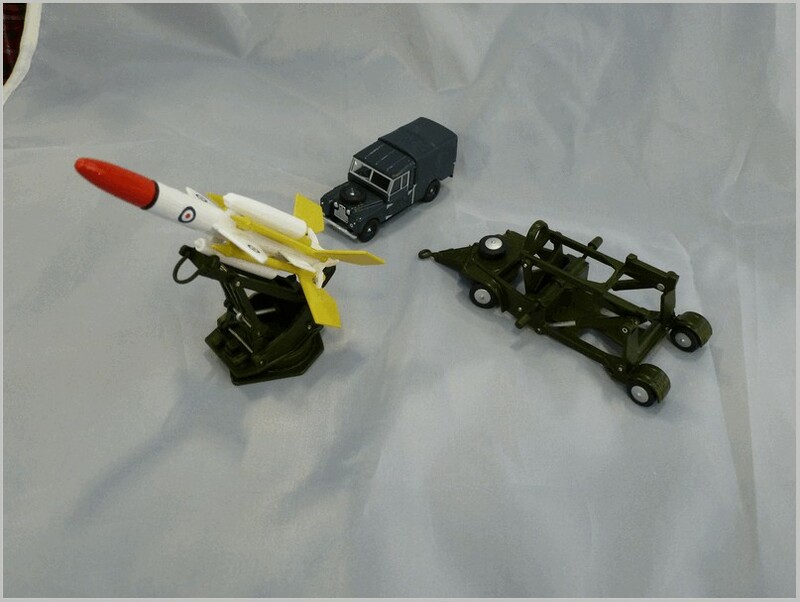 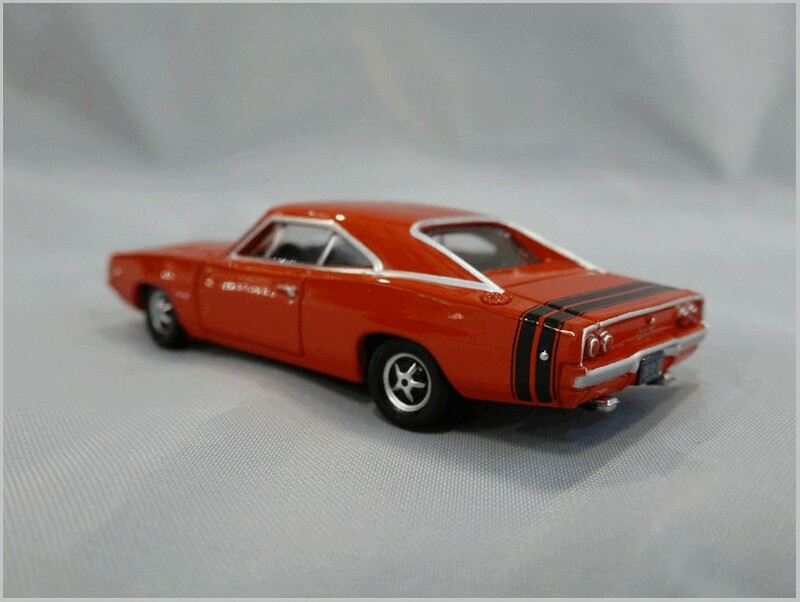 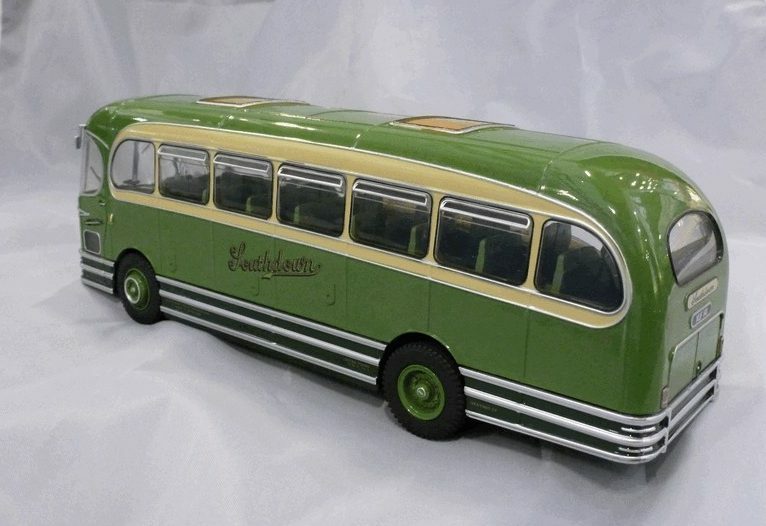 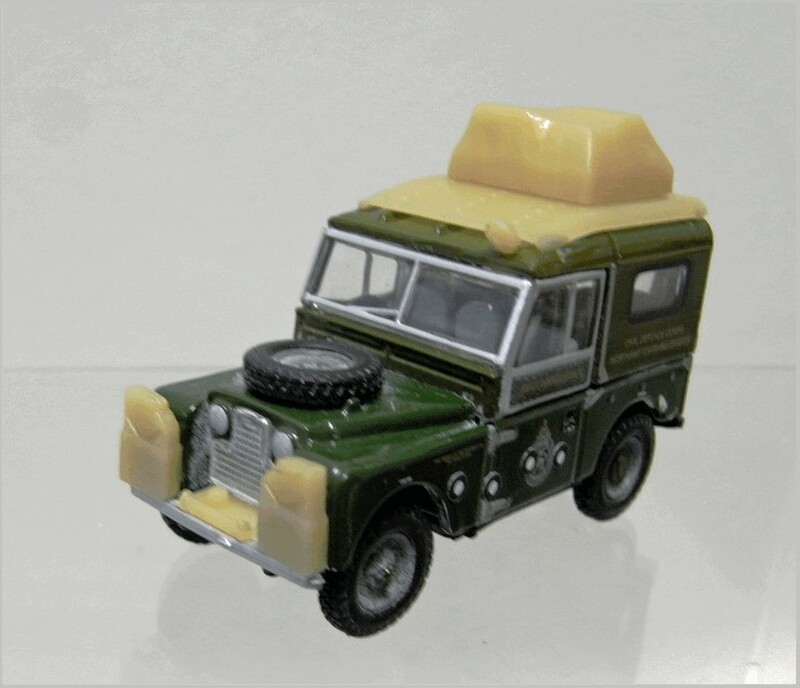 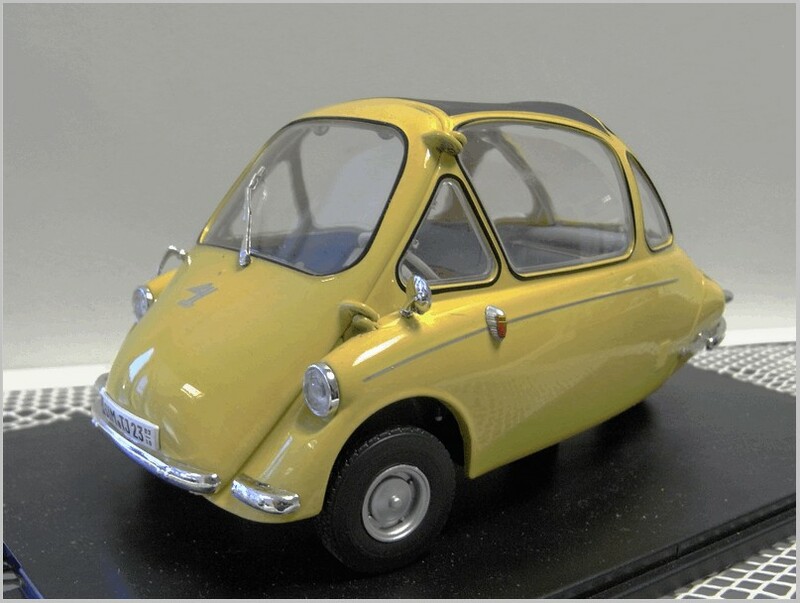 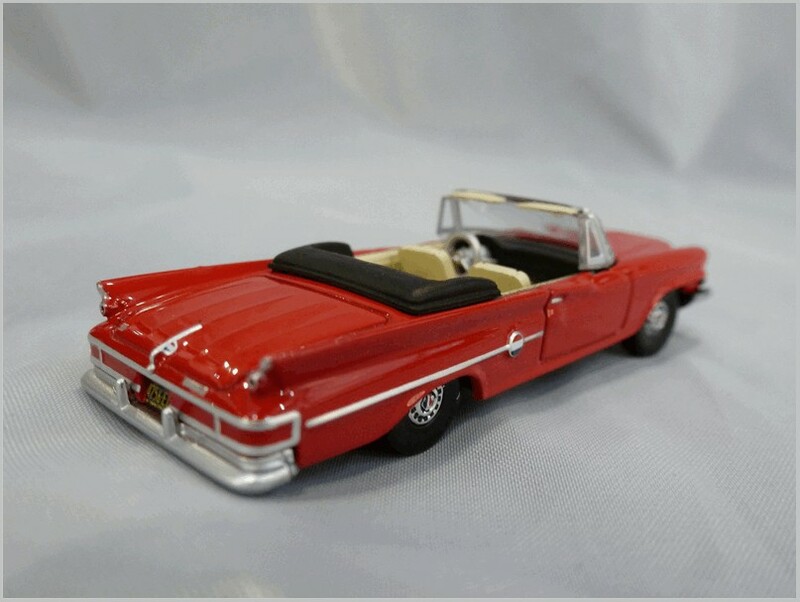 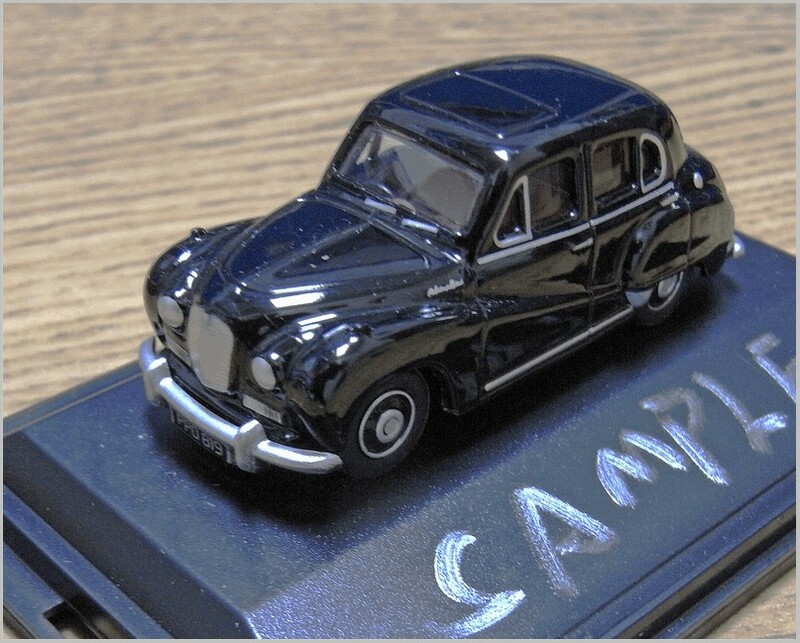 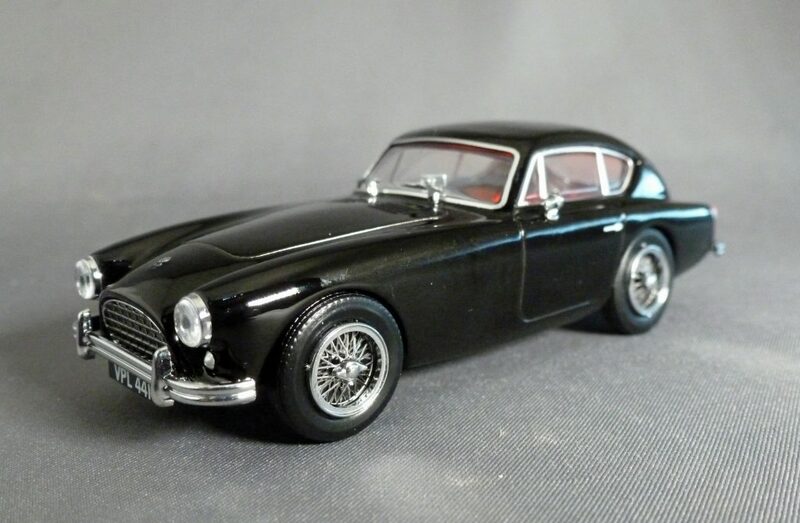 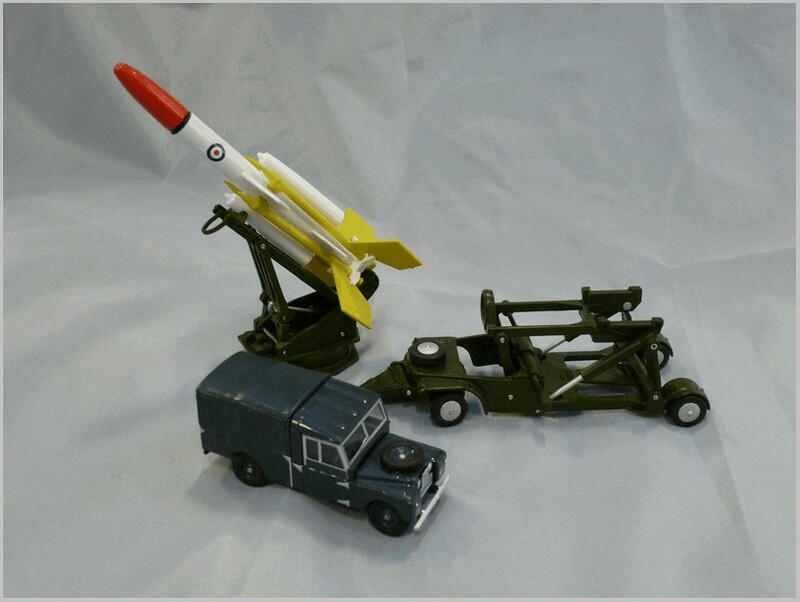 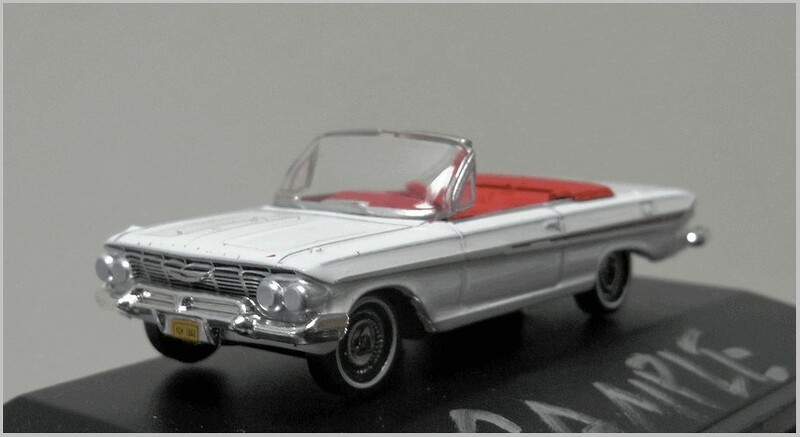 As seems to be typical of Oxford Diecast models recently there are quite a few minor faults which reduce the accuracy of these models but I am sure that most collectors will not be as critical as I am. 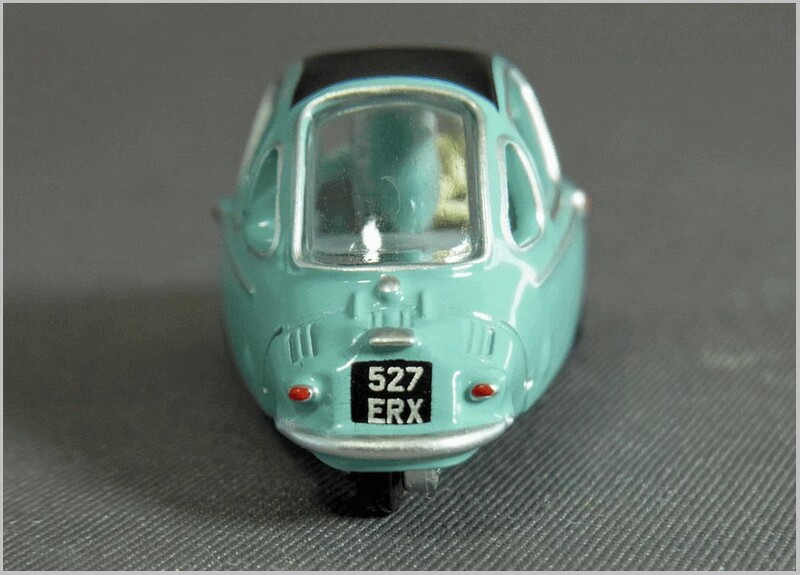 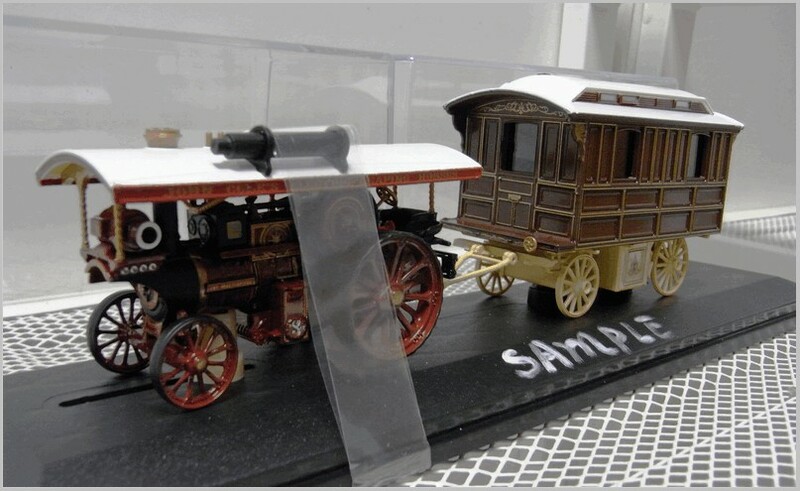 The railway modelling fraternity with early British Rail dioramas will leap to buy these as will the growing number of 1:76 scale car collectors. 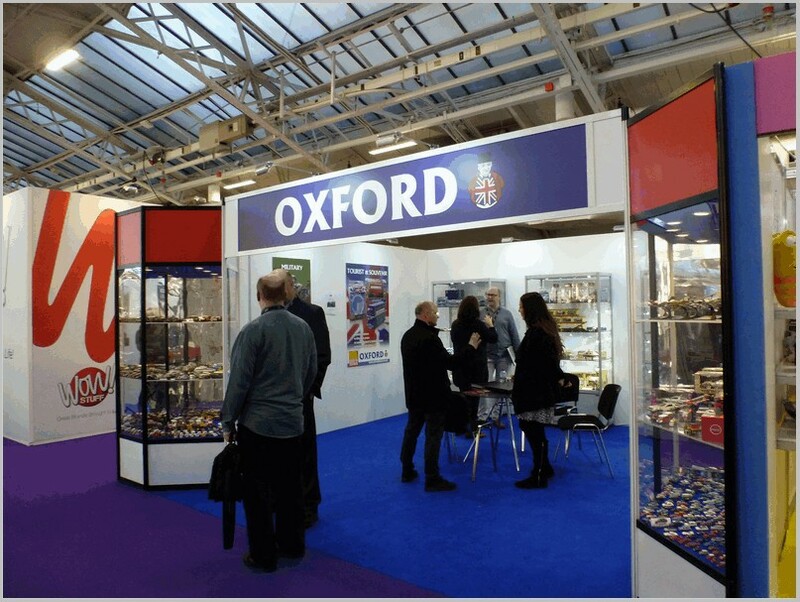 Oxford have recently announced release three for this year and the inevitable has happened – there are much fewer new castings released this time. 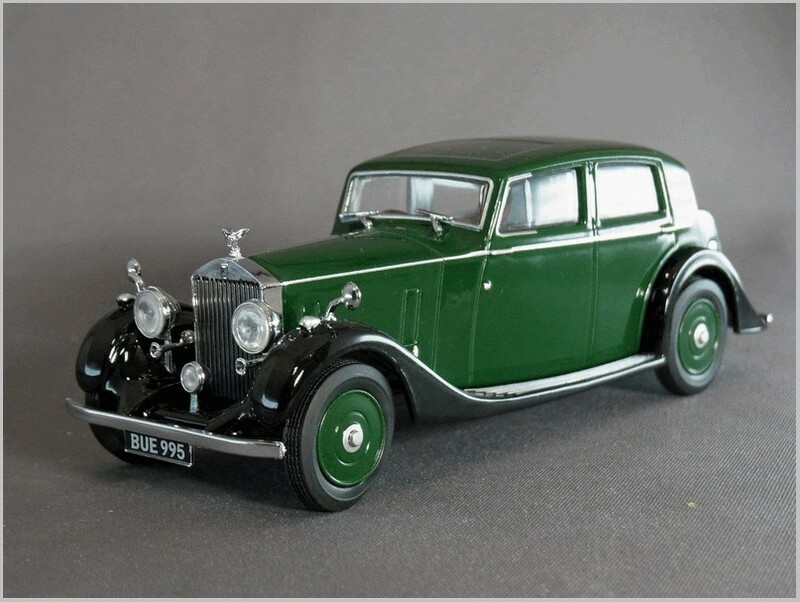 Now the range is so large much of the production capacity is being taken by the profitable second and subsequent releases leaving less production capacity to produce the expensive new models. 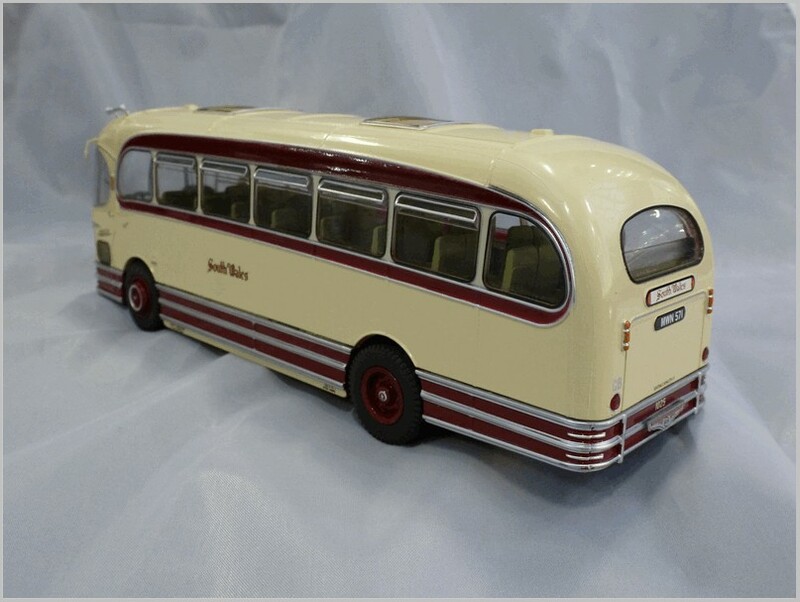 Oxford have confirmed that many of the models from release two of 2018 will be with us in the final quarter of this year and that many newly announced liveries and recolours of current castings will be appearing over the next two quarters.